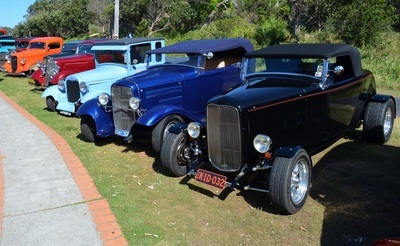 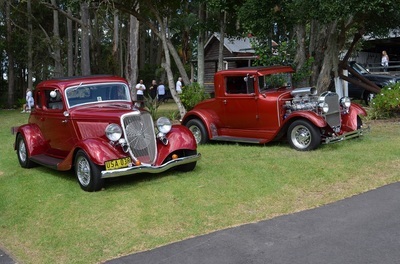 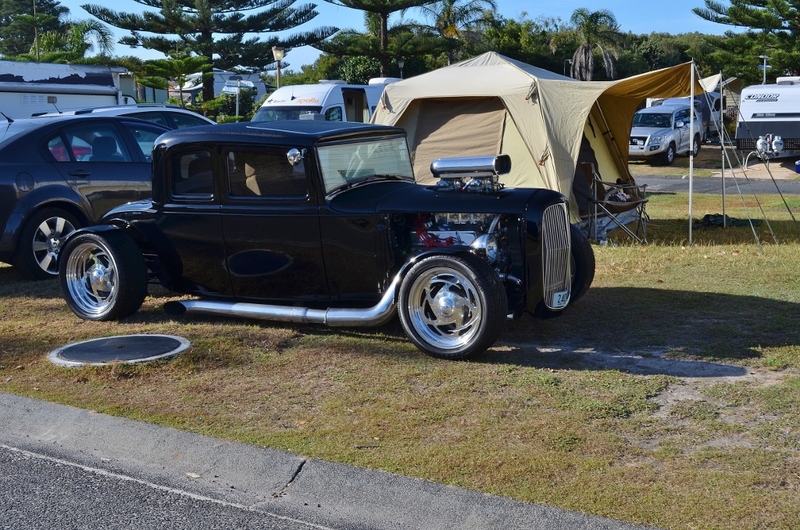 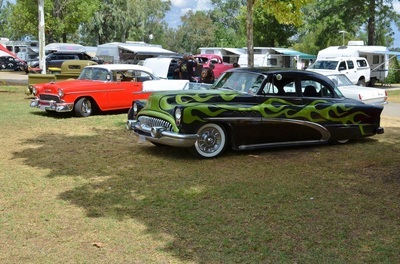 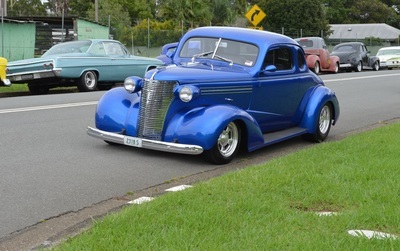 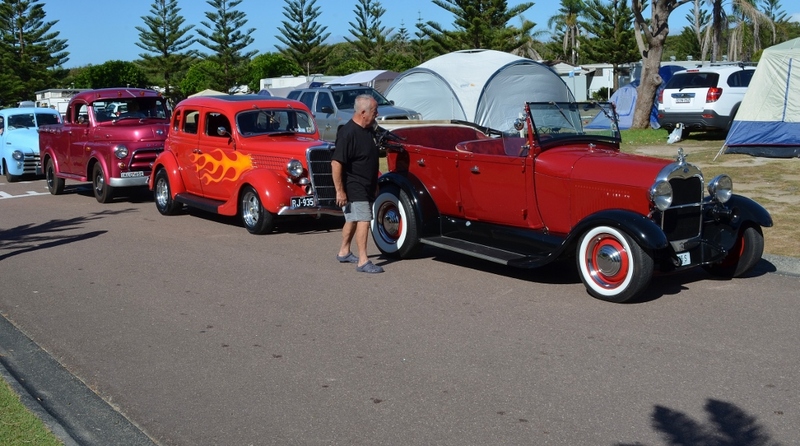 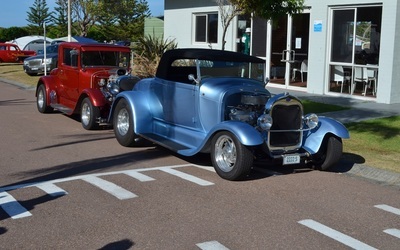 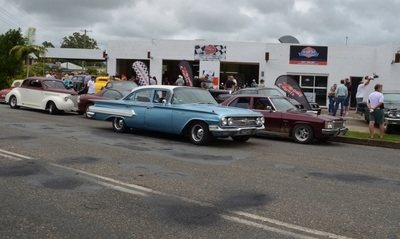 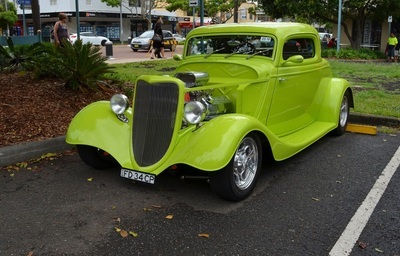 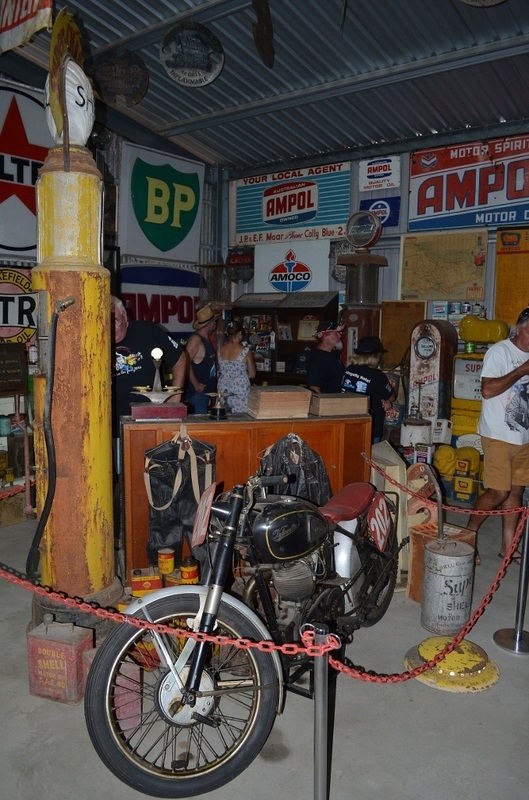 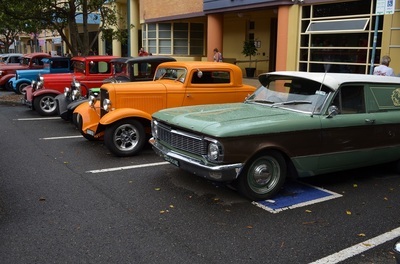 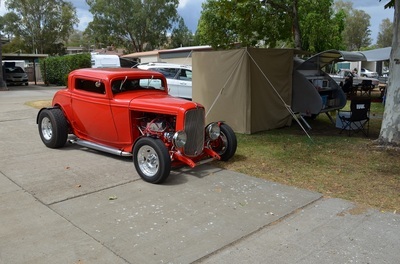 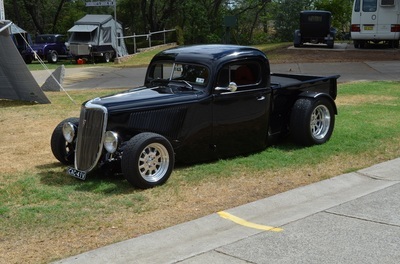 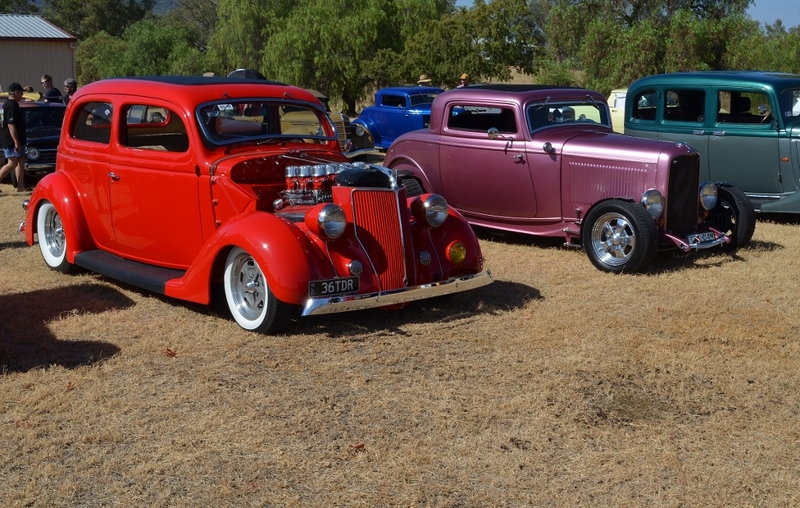 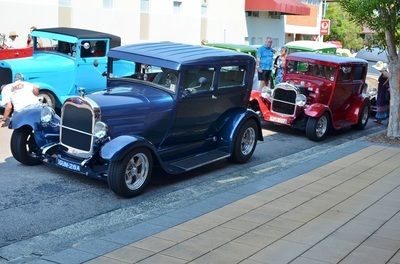 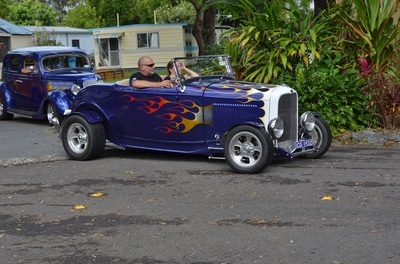 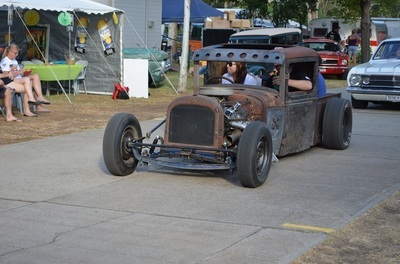 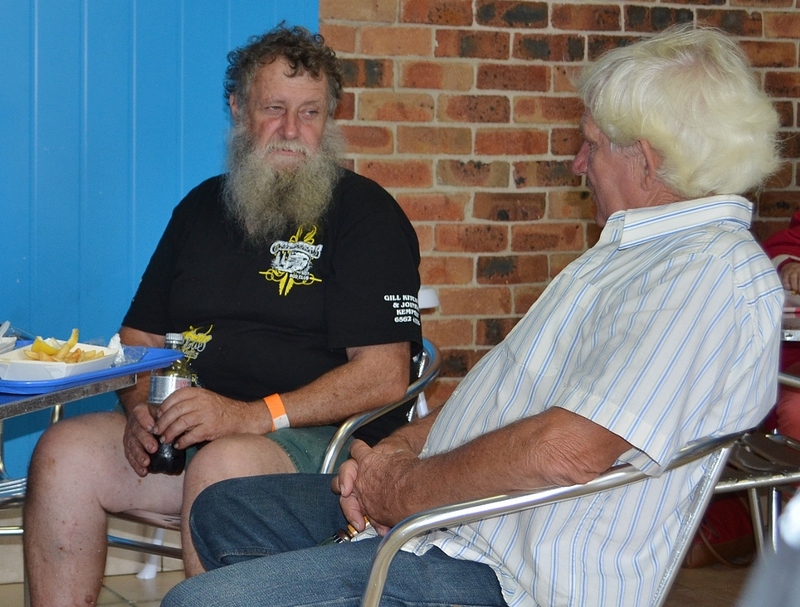 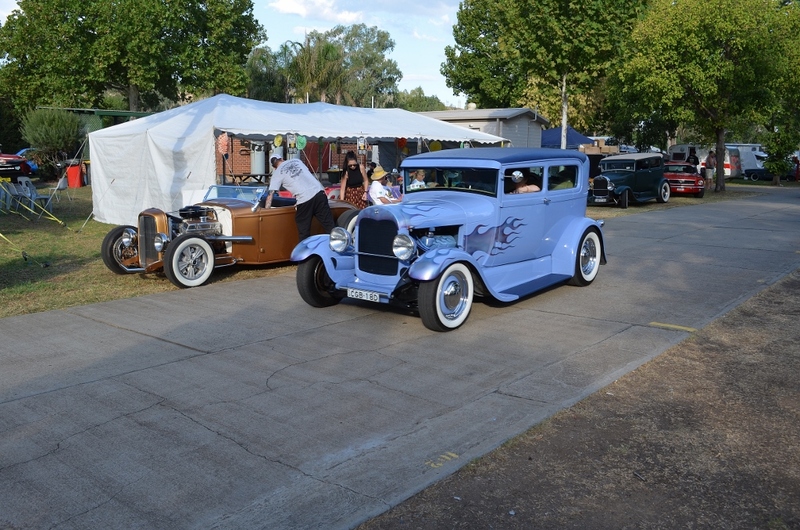 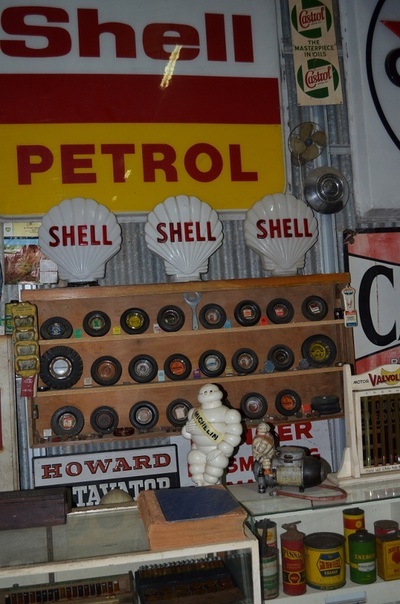 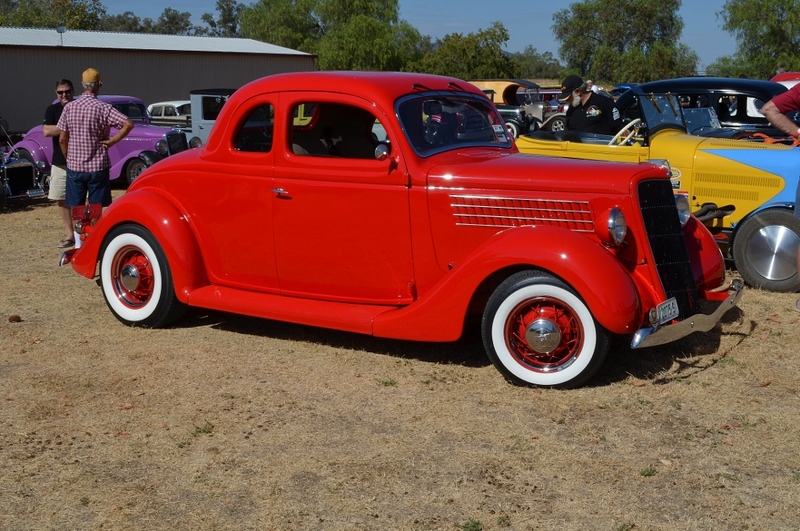 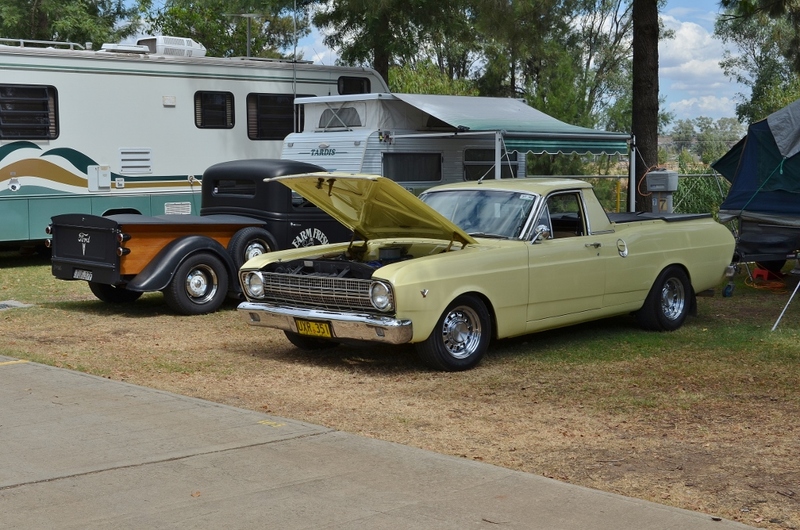 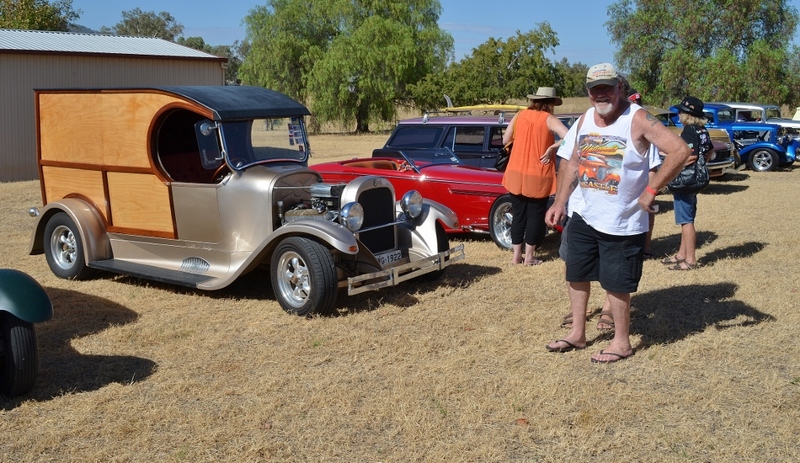 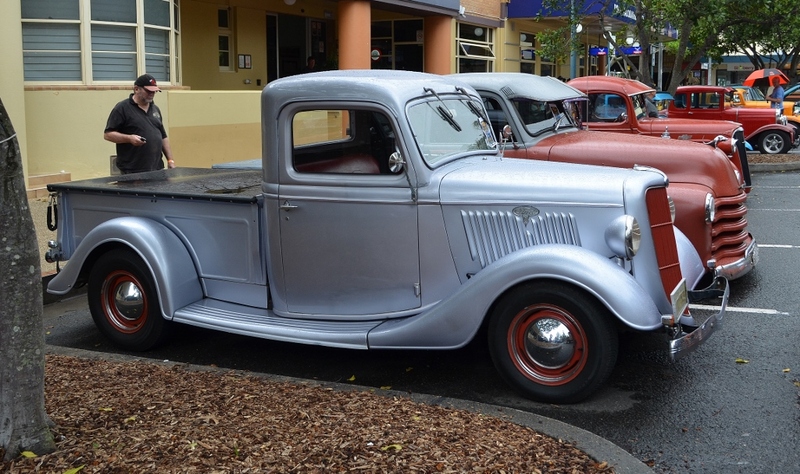 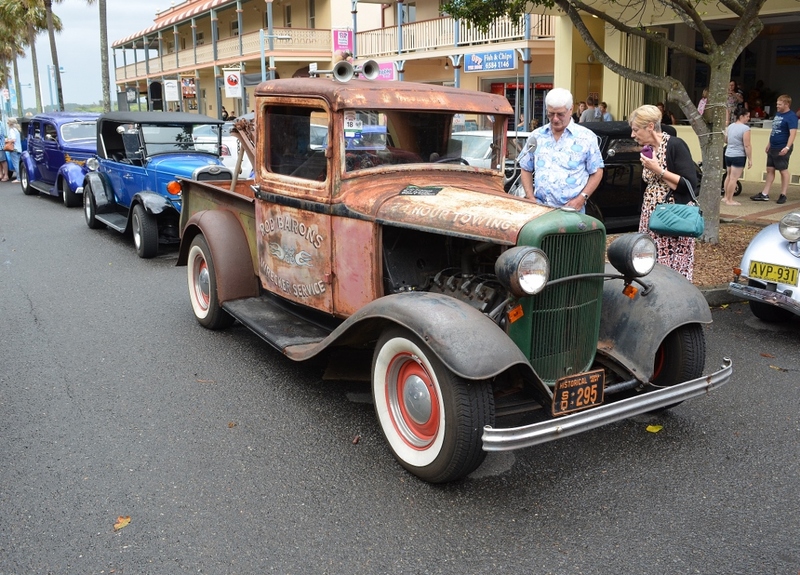 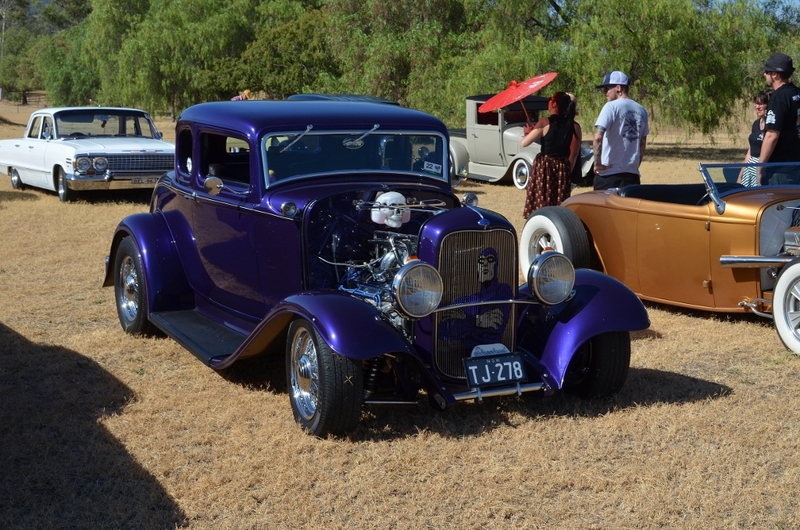 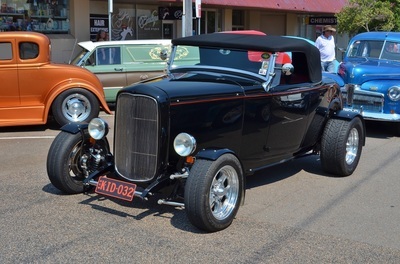 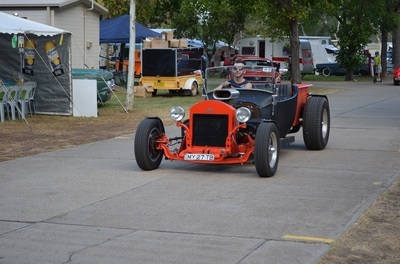 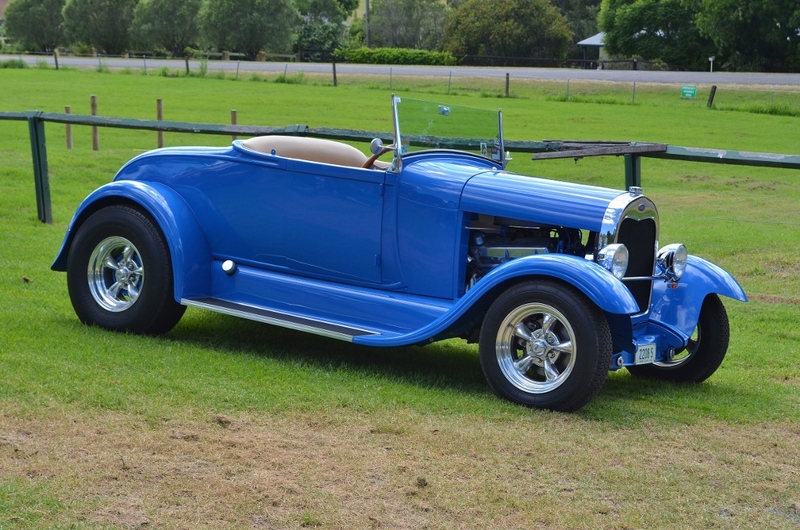 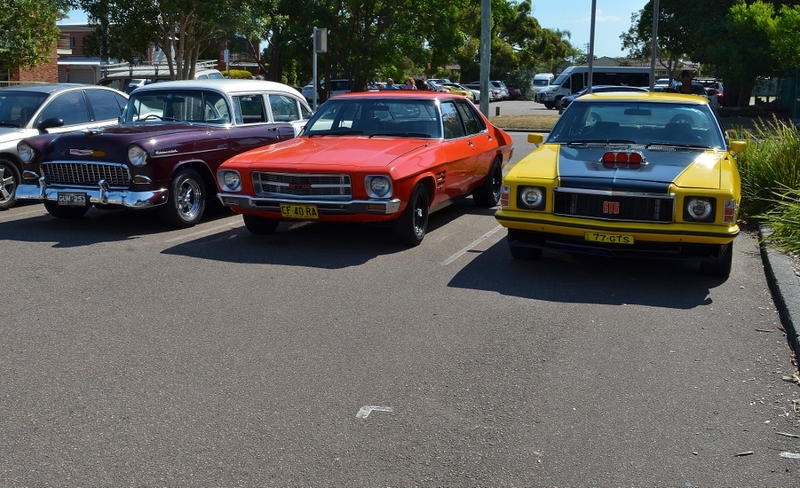 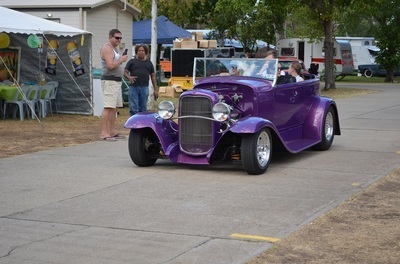 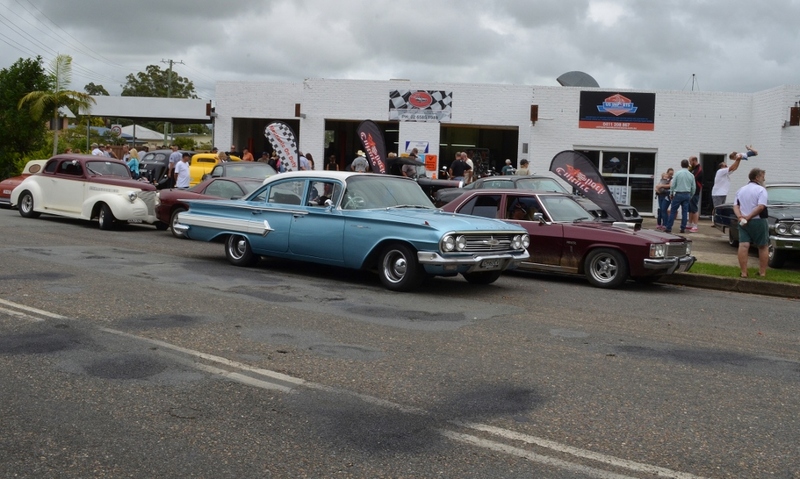 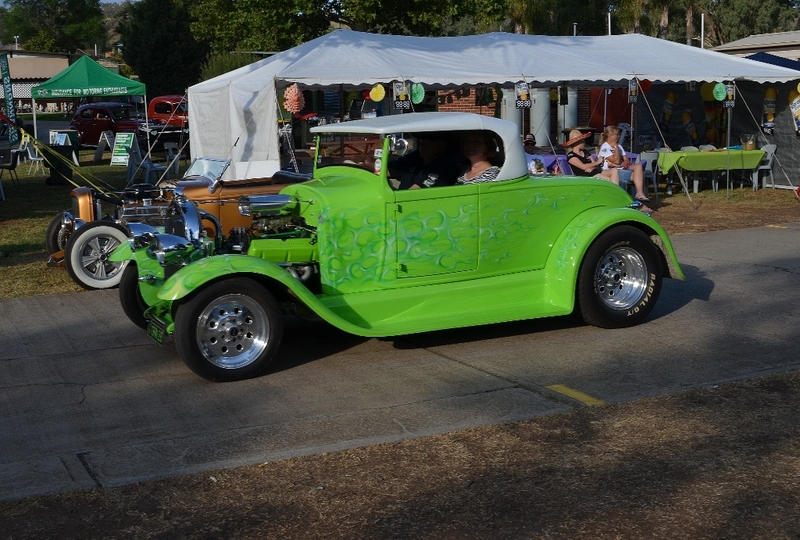 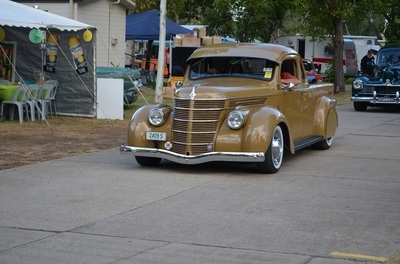 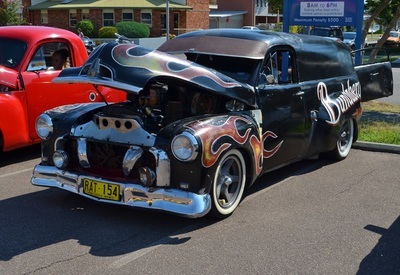 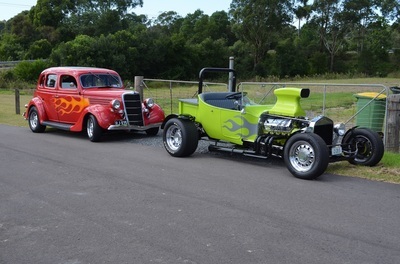 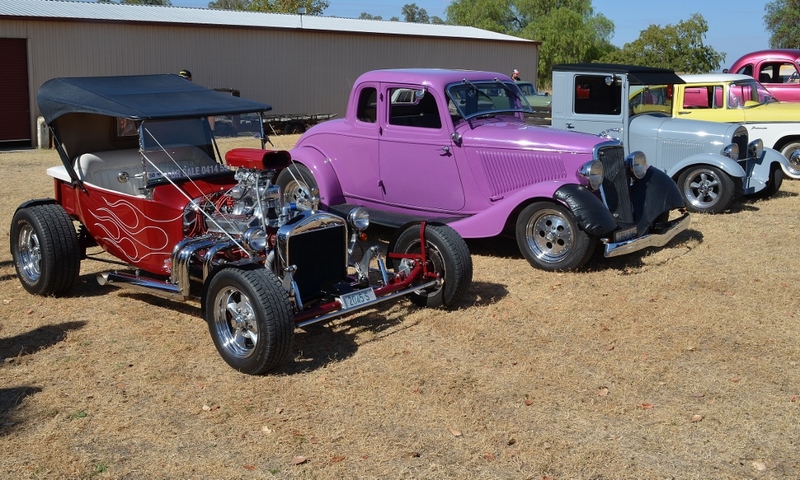 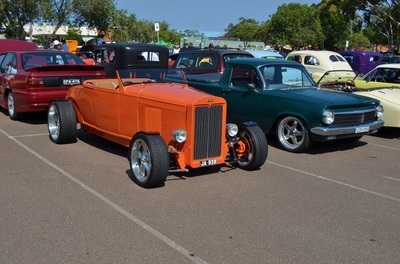 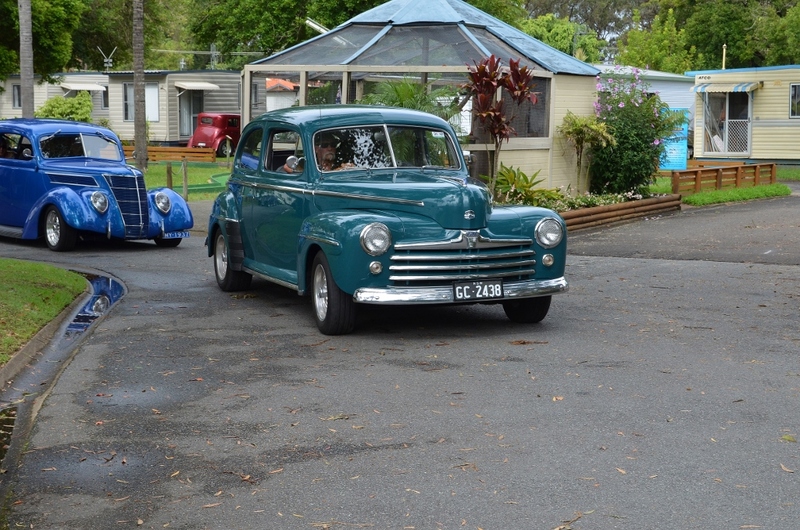 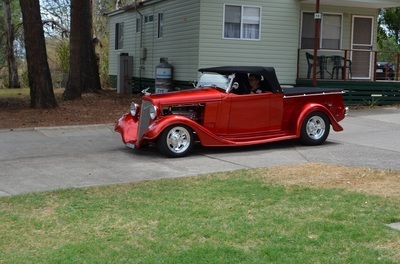 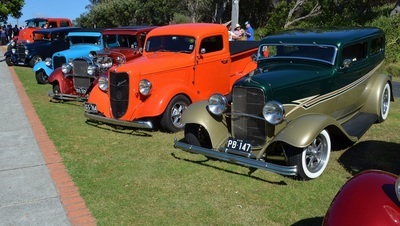 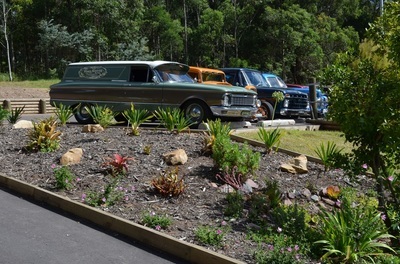 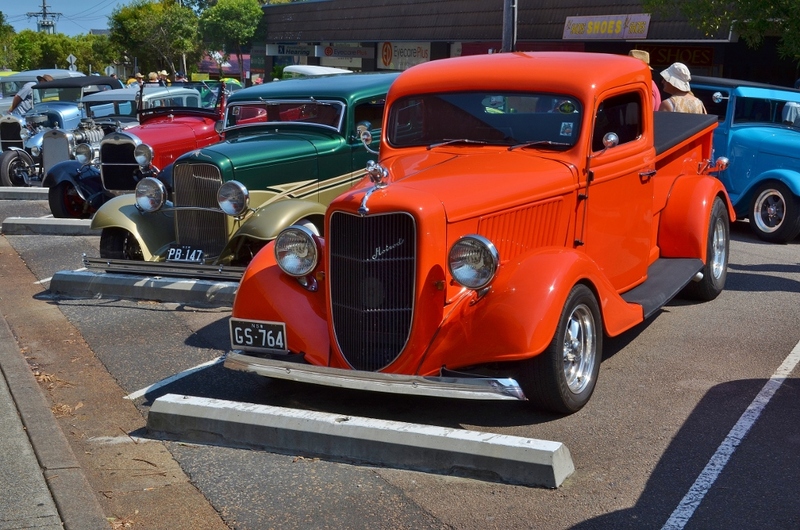 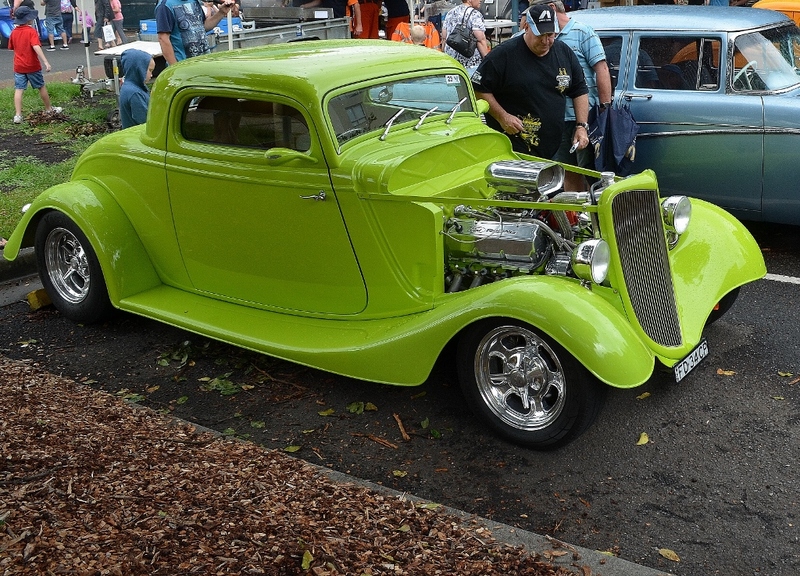 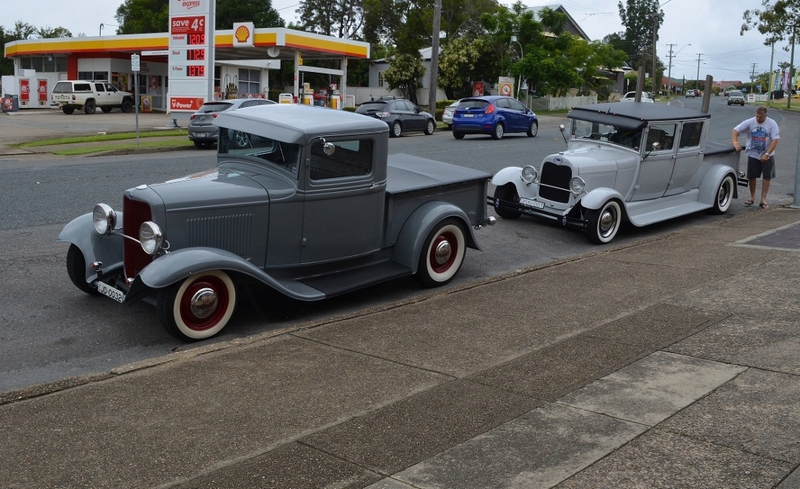 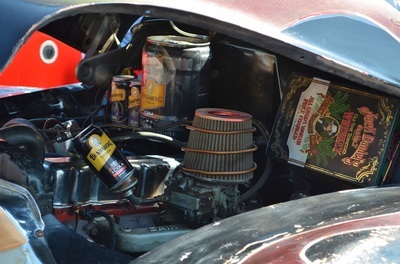 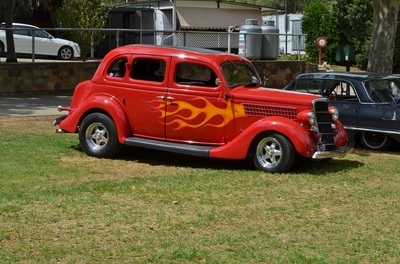 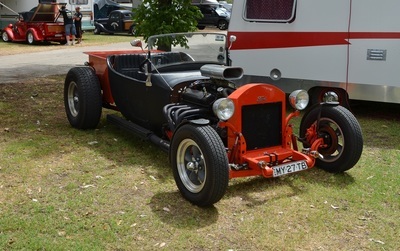 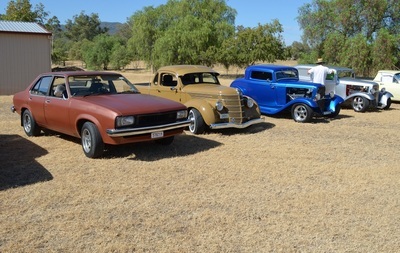 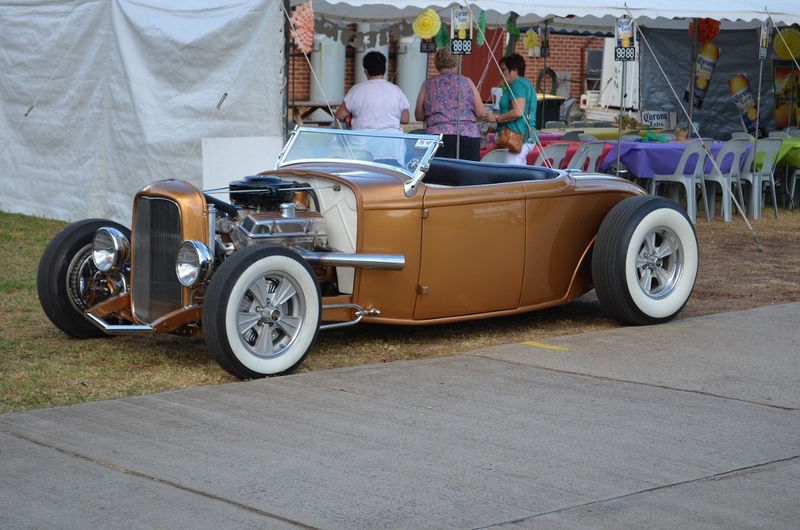 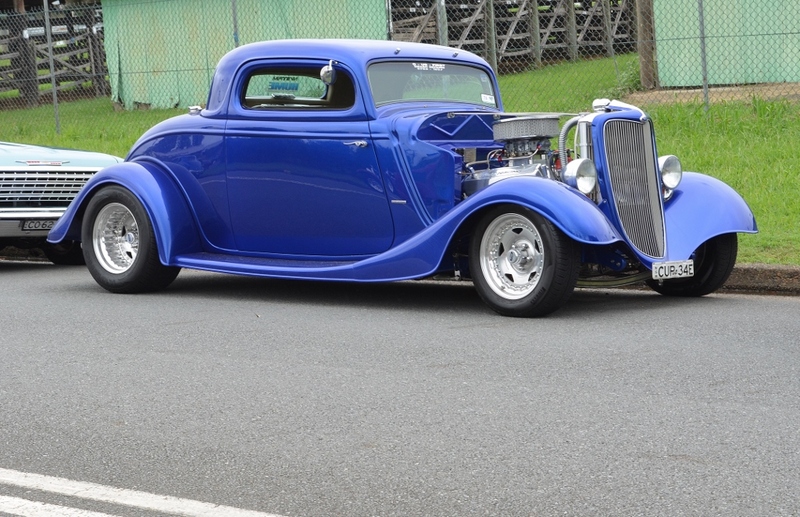 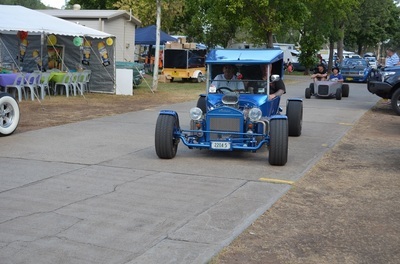 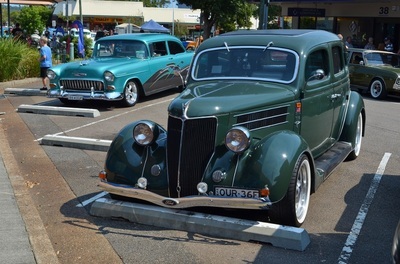 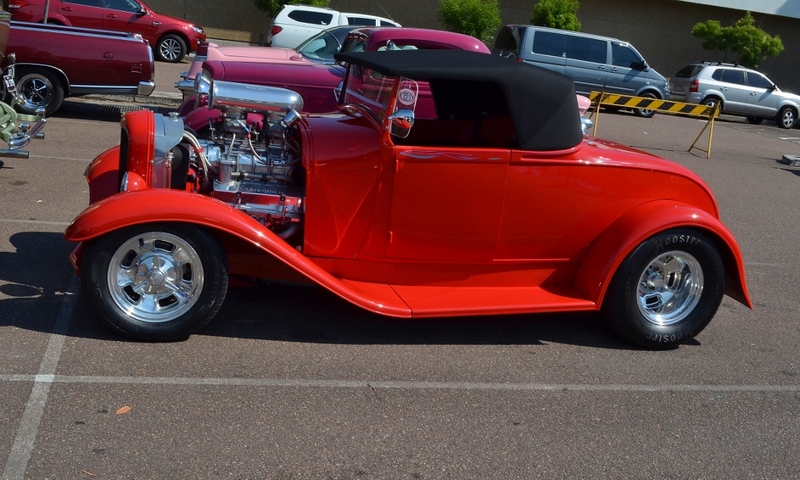 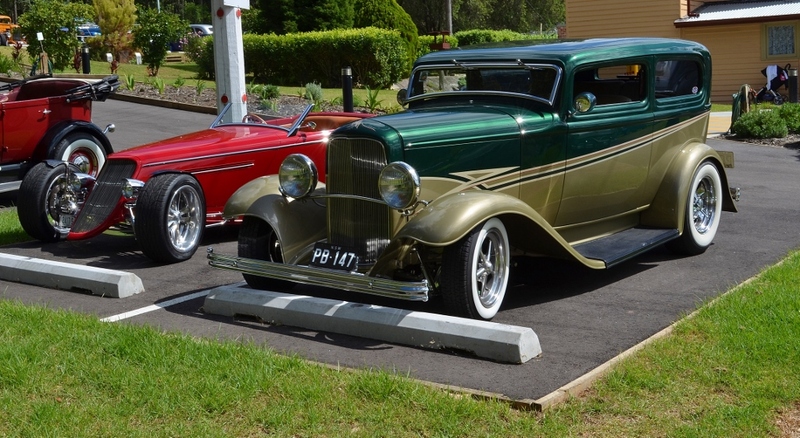 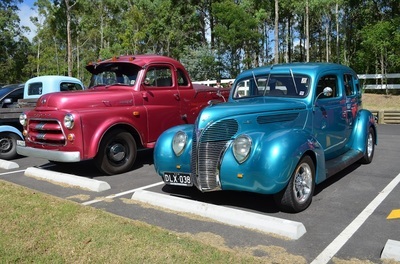 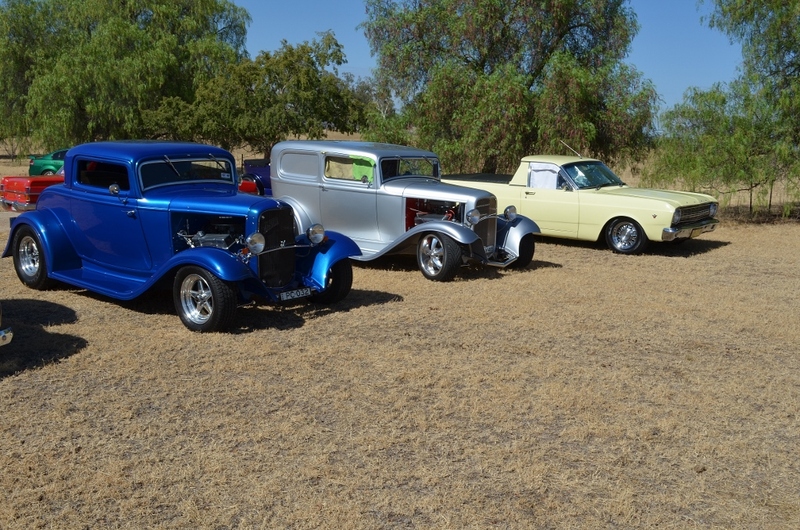 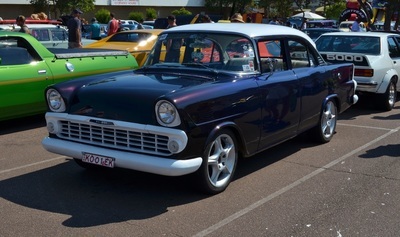 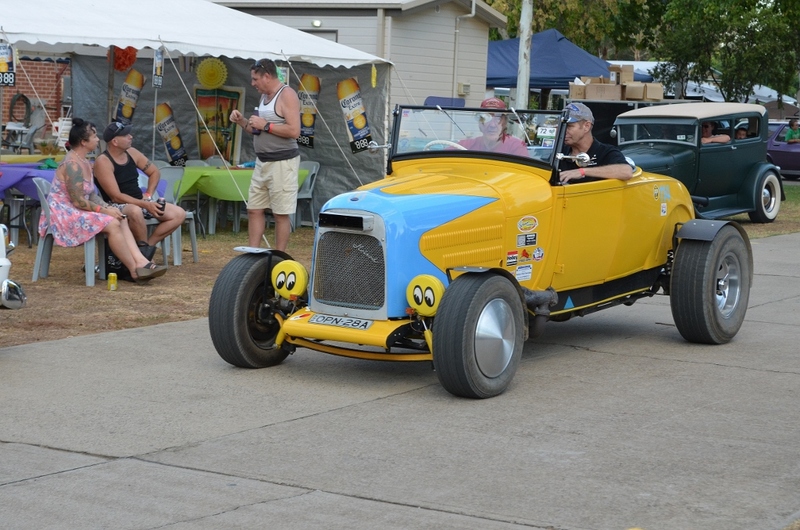 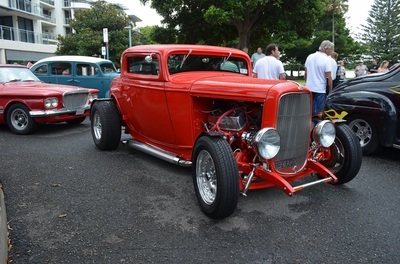 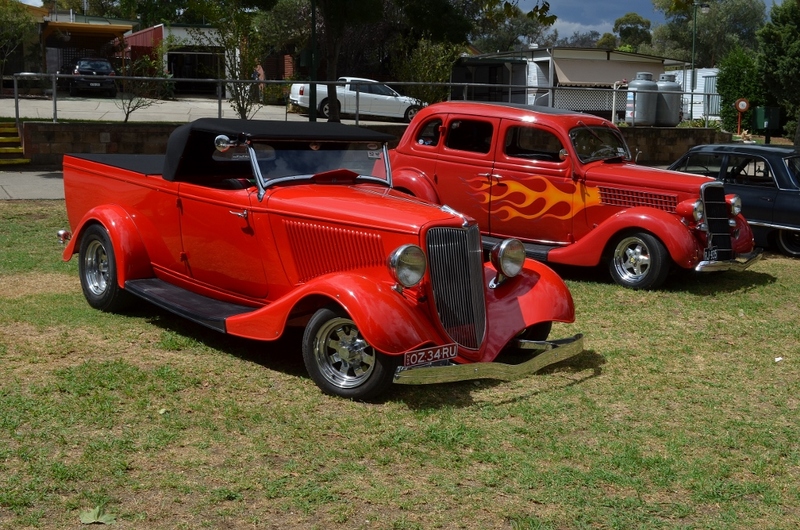 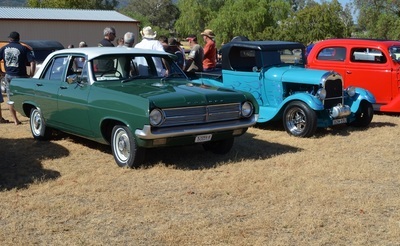 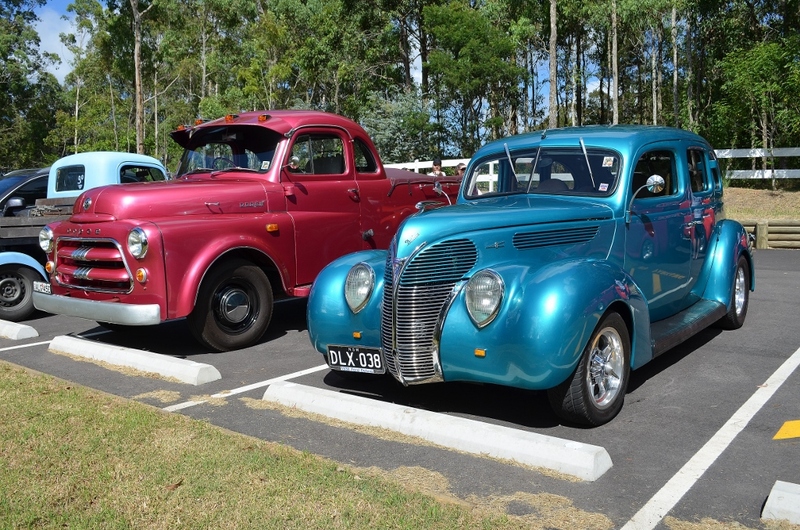 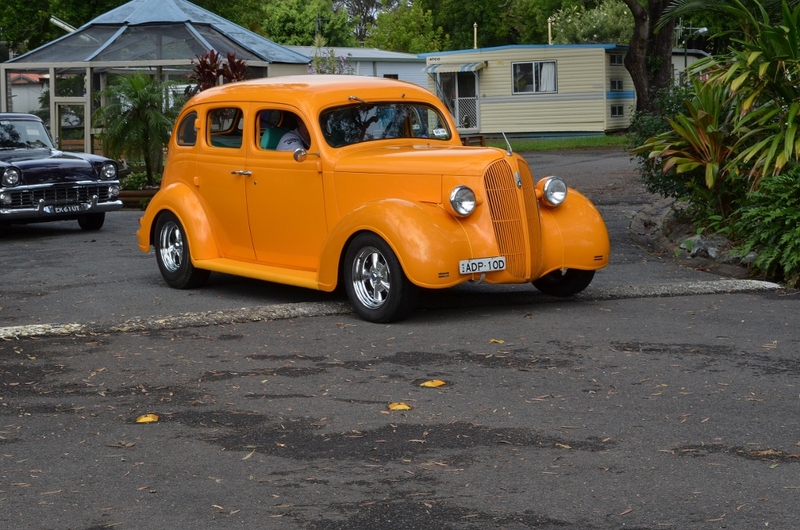 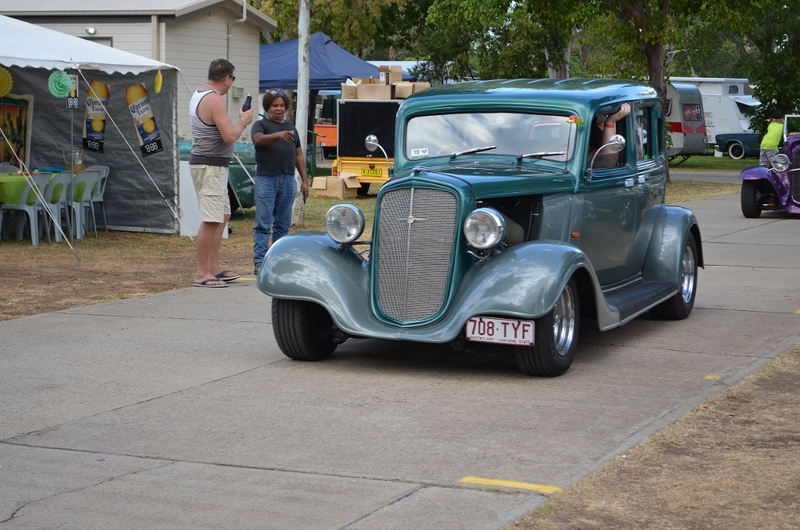 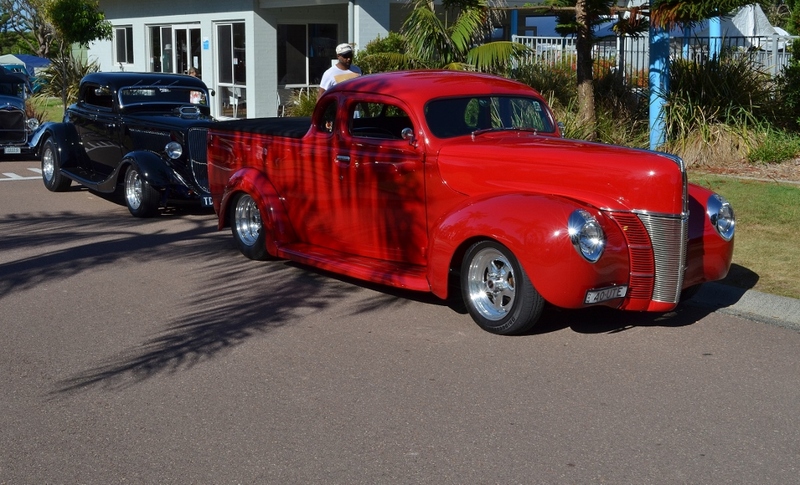 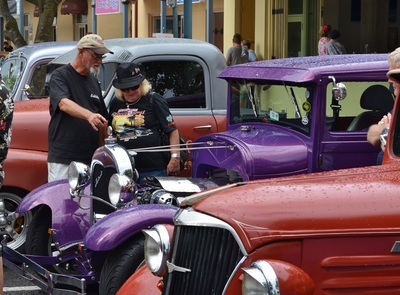 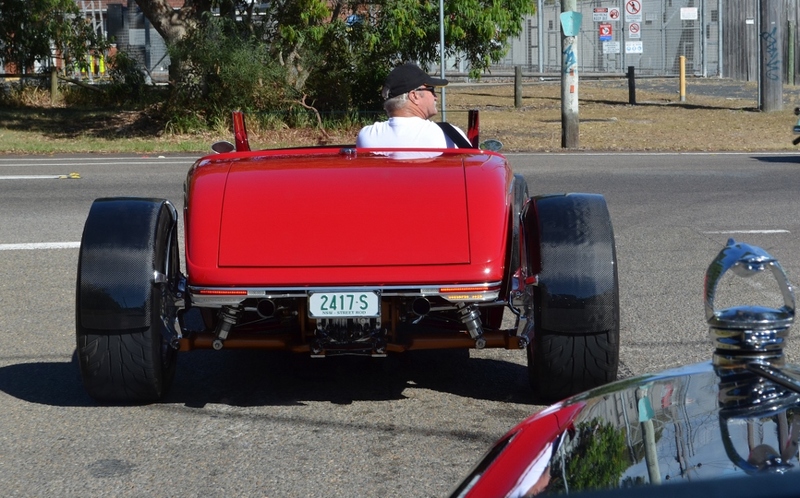 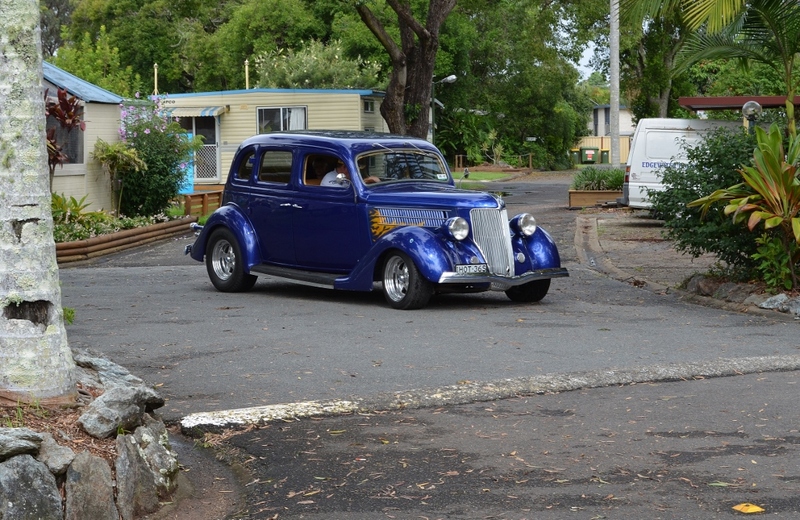 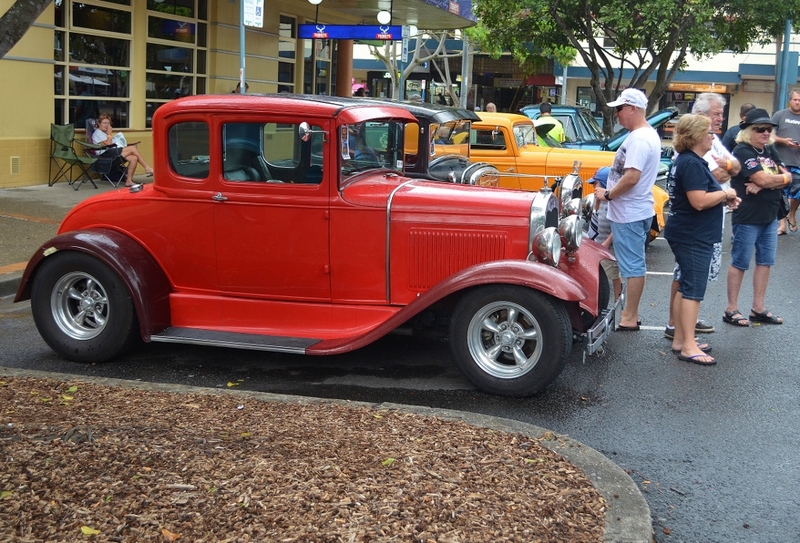 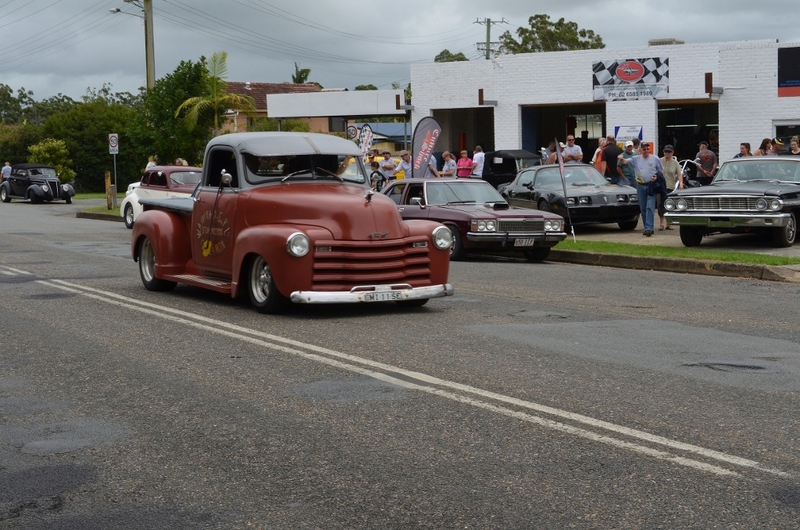 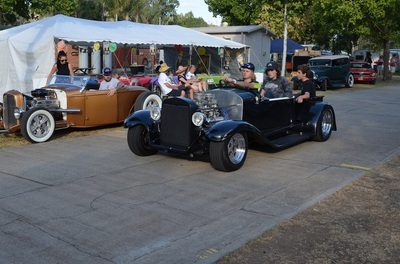 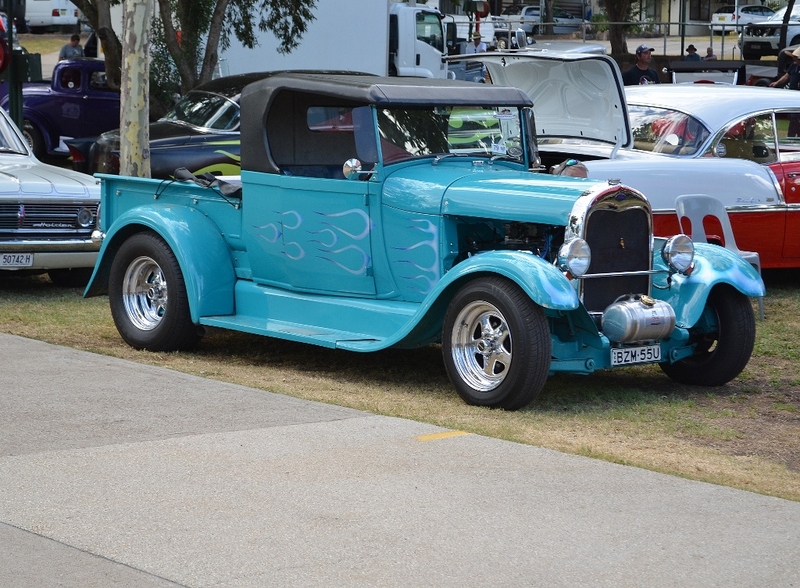 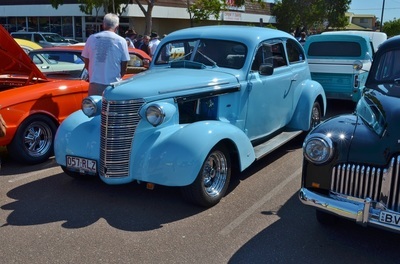 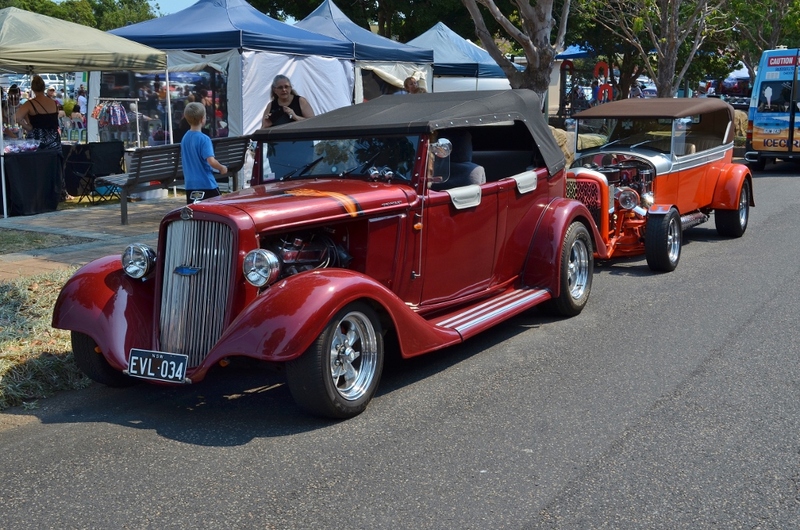 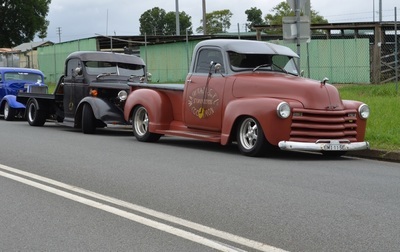 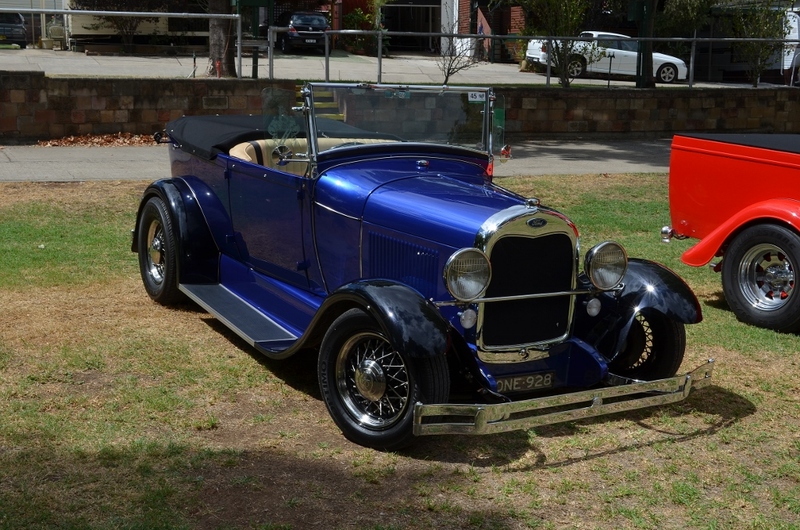 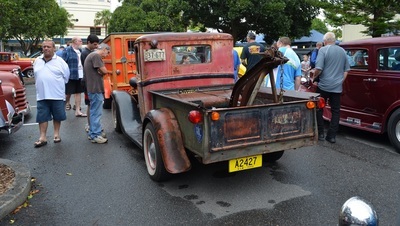 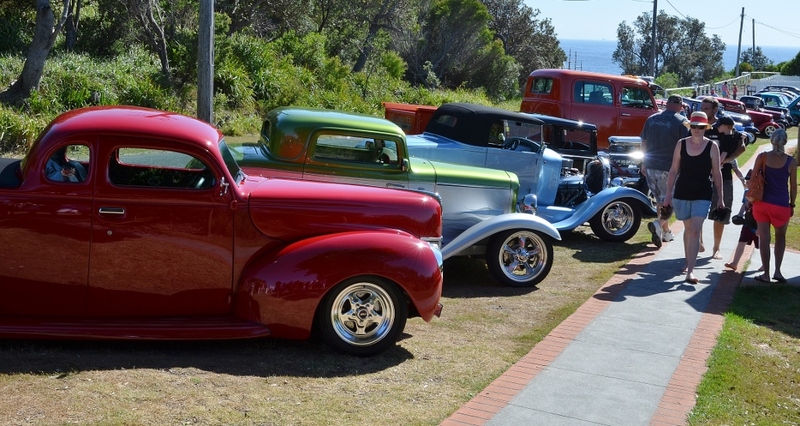 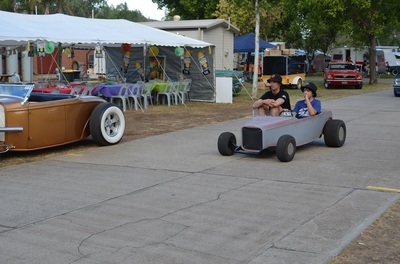 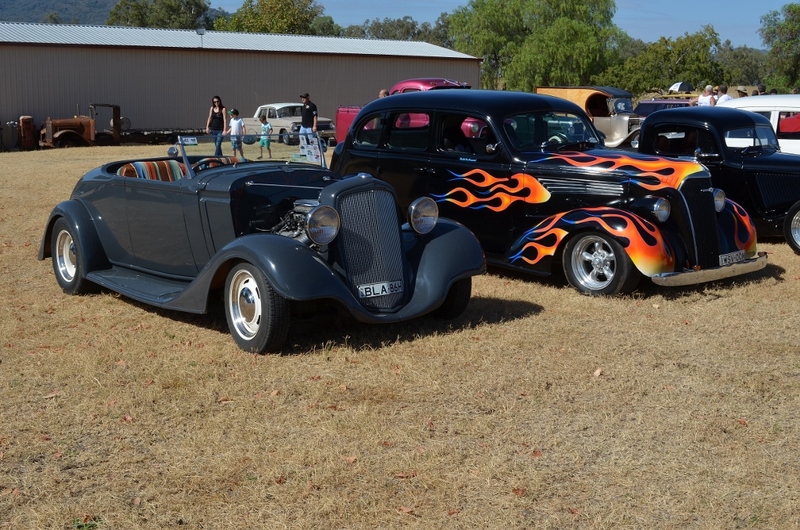 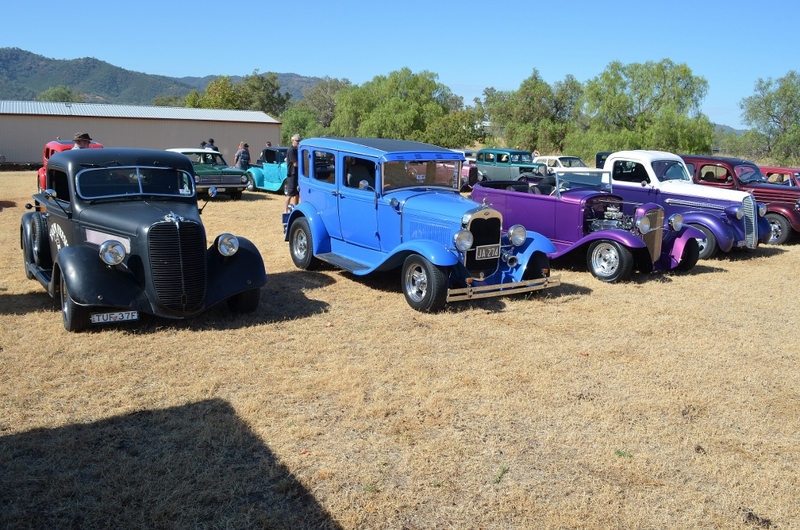 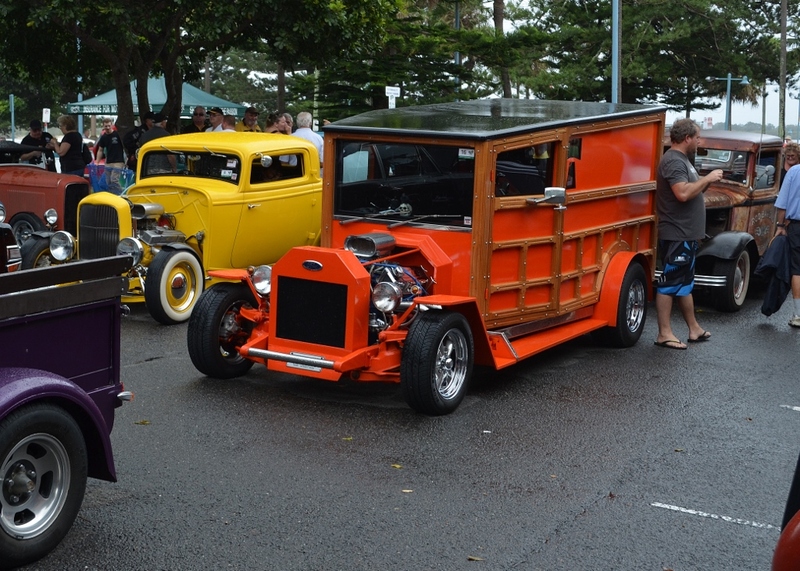 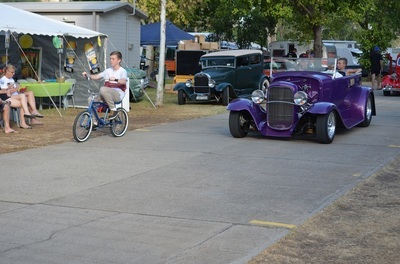 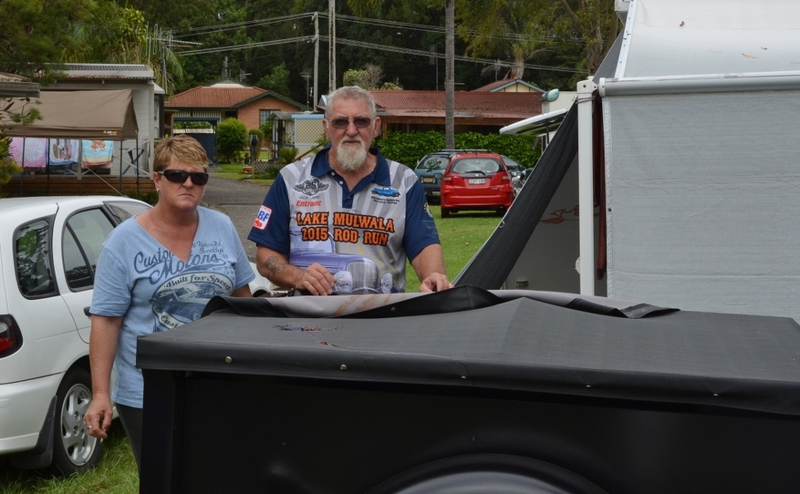 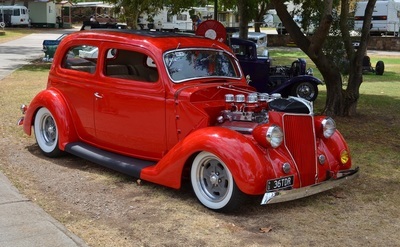 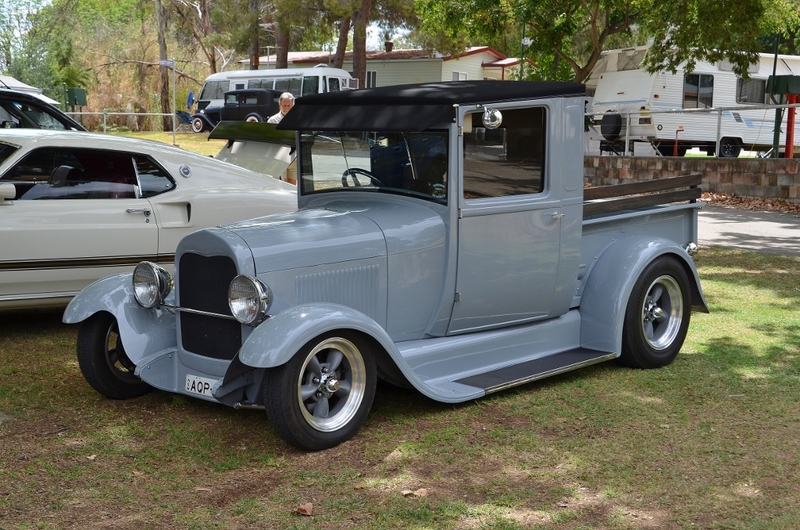 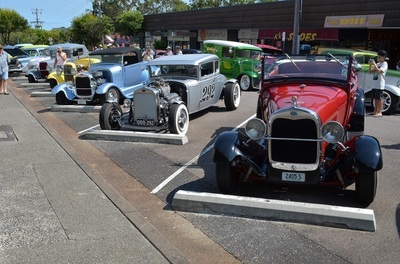 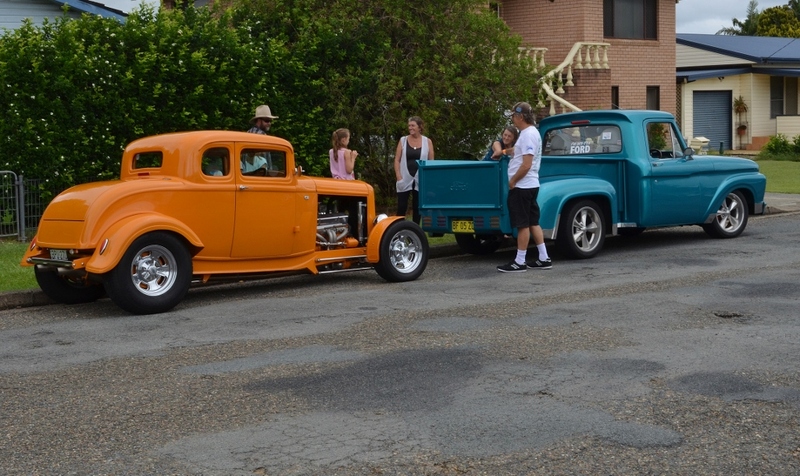 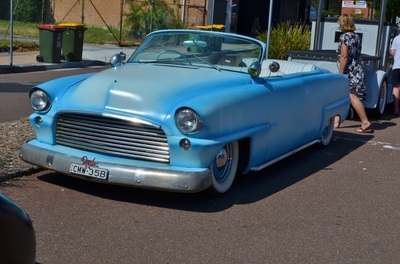 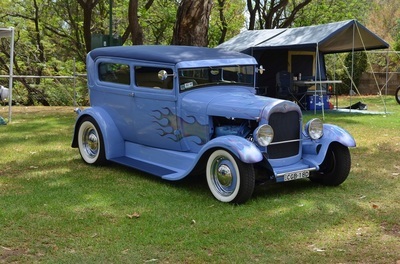 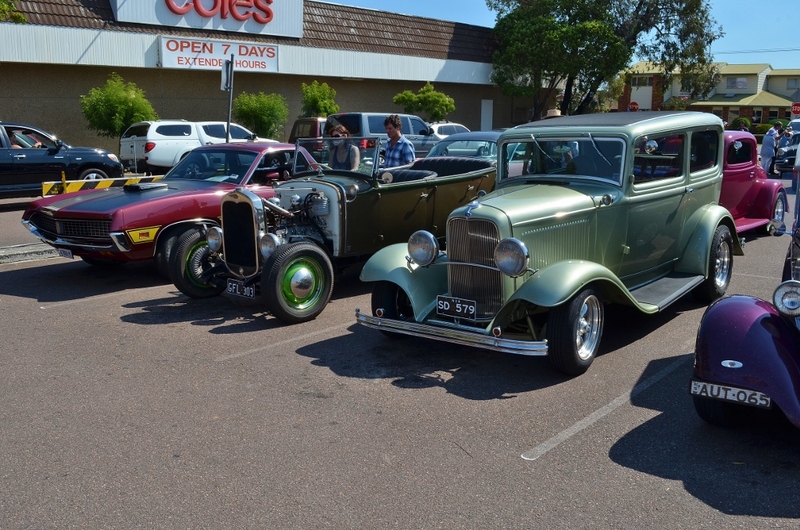 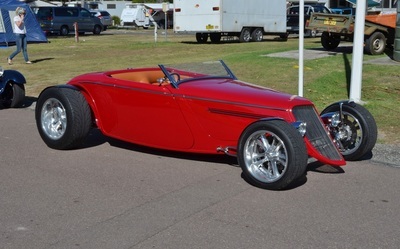 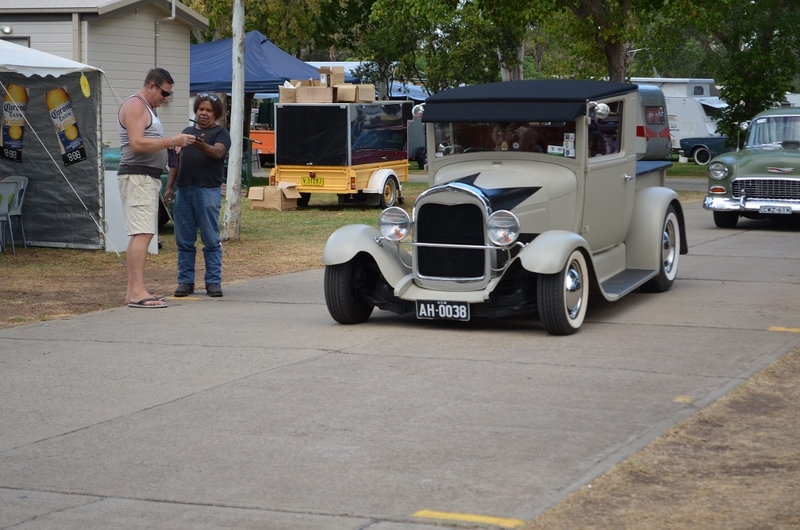 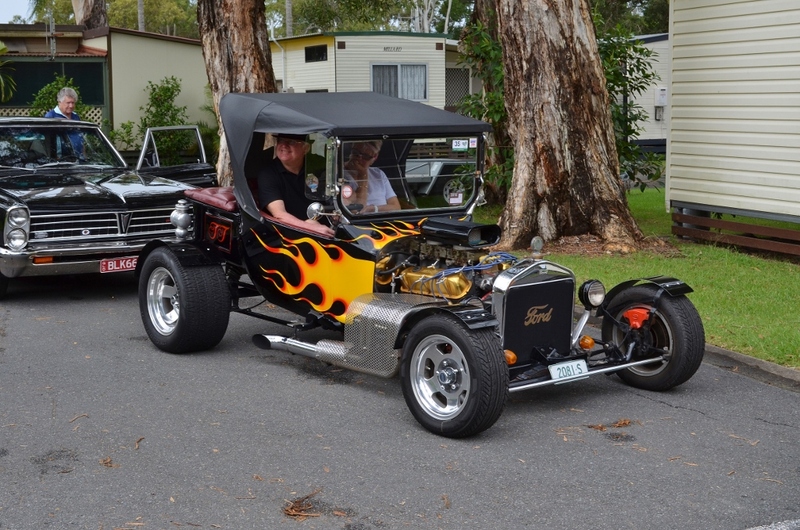 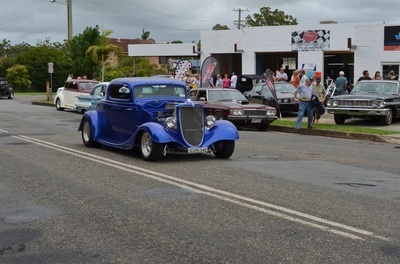 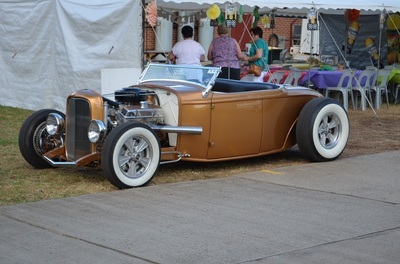 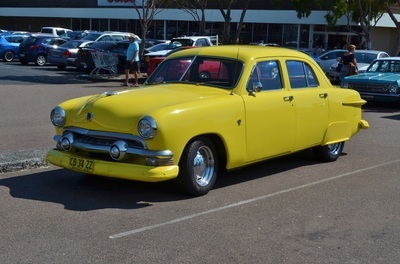 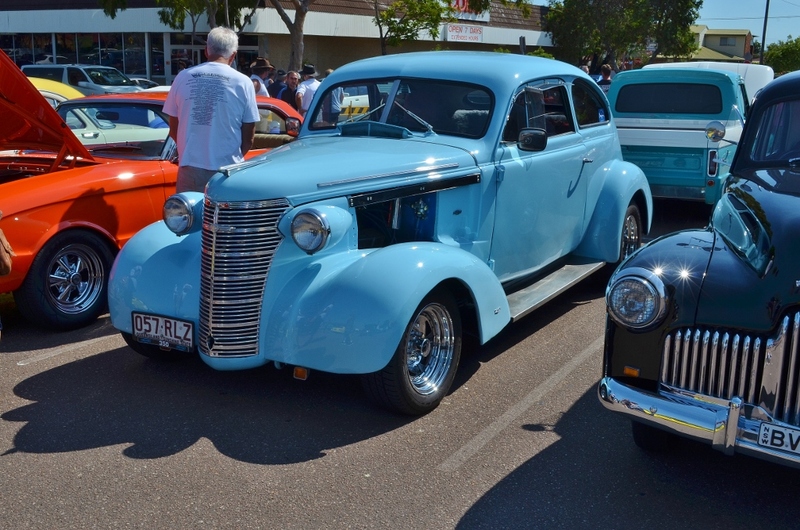 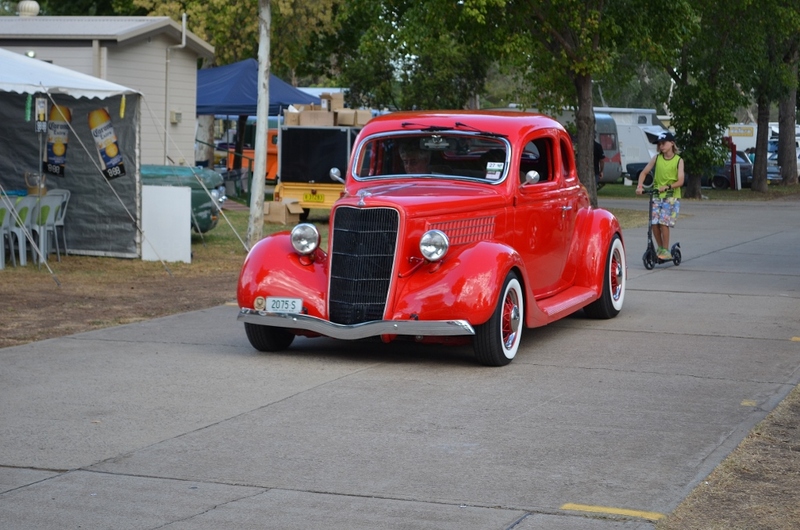 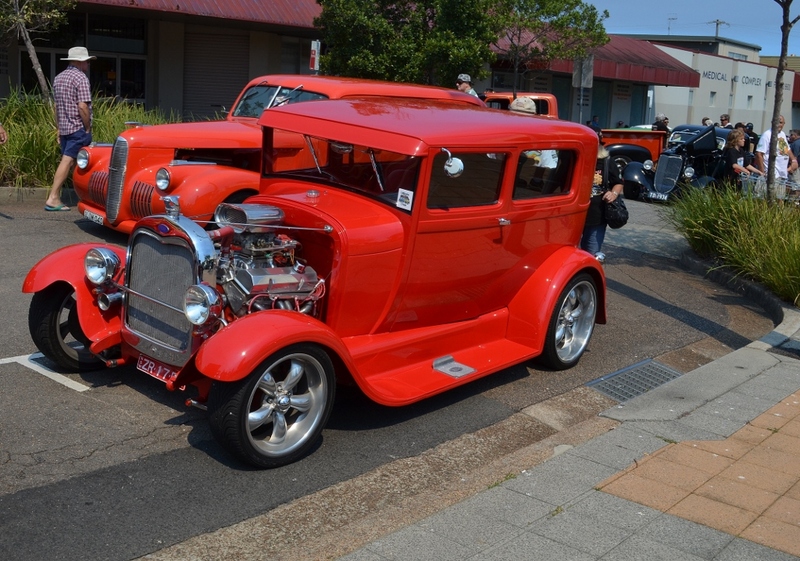 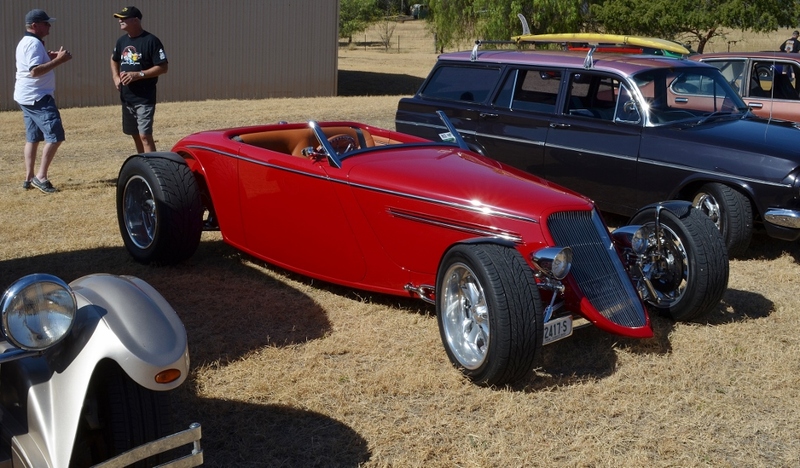 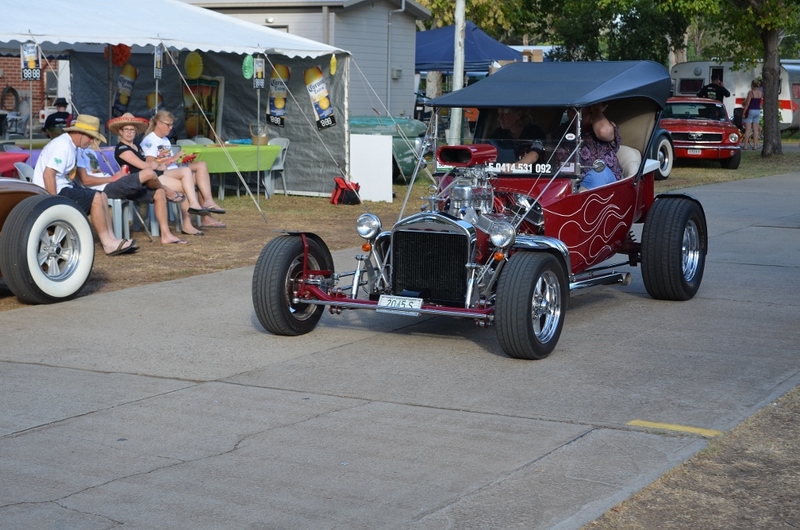 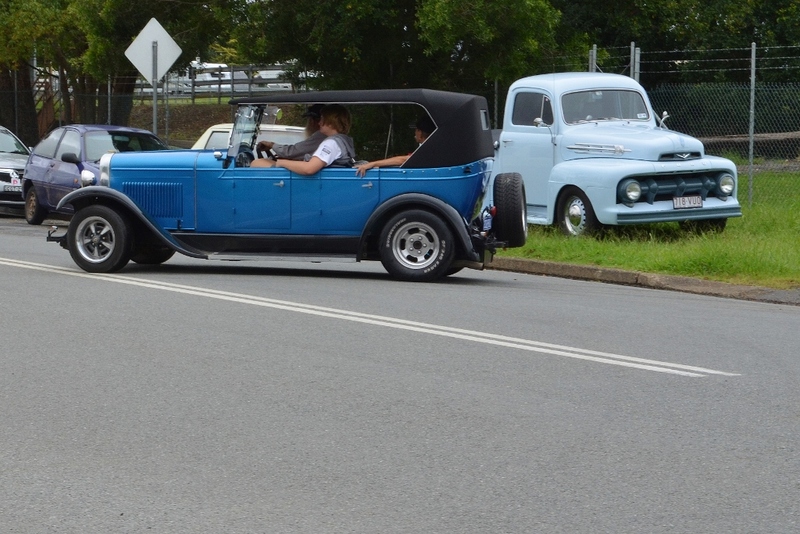 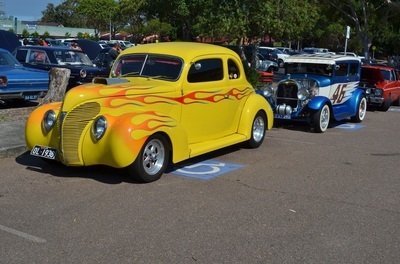 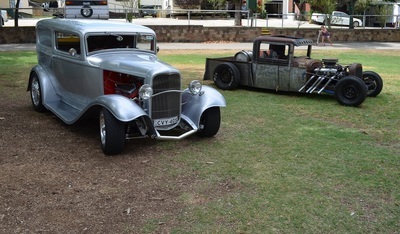 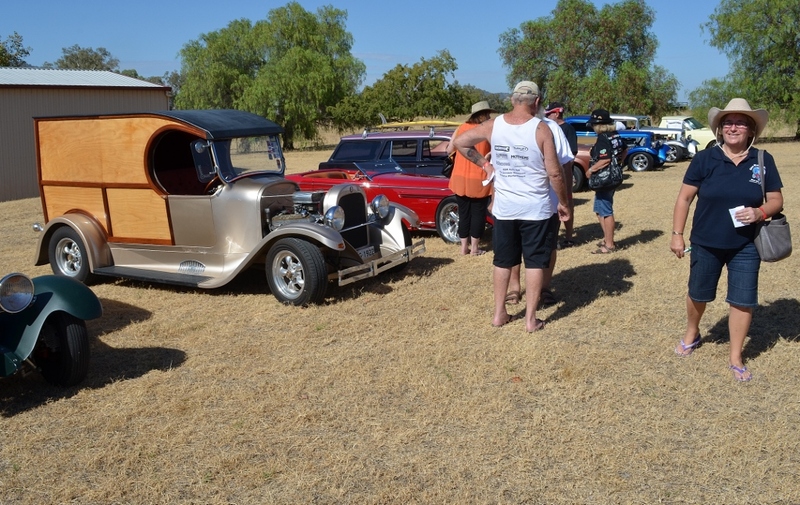 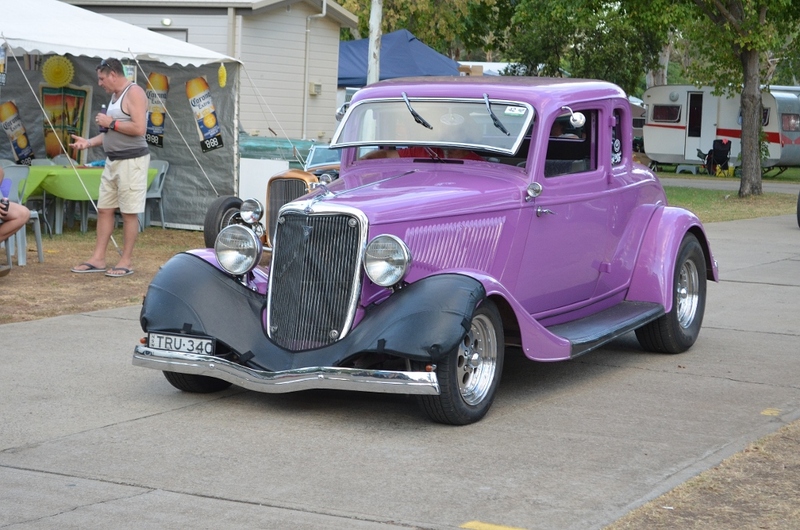 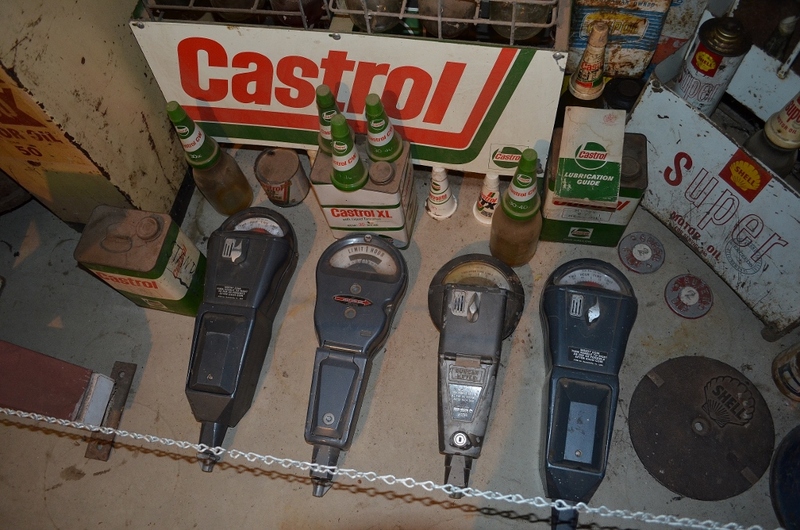 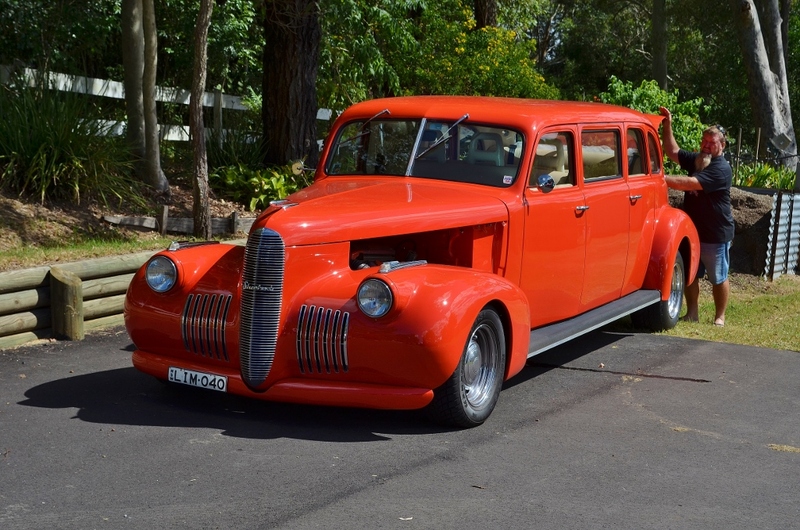 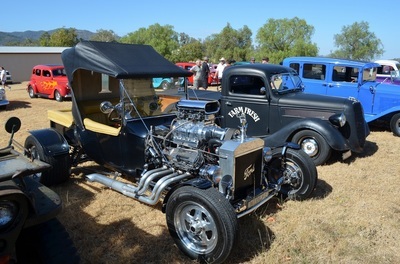 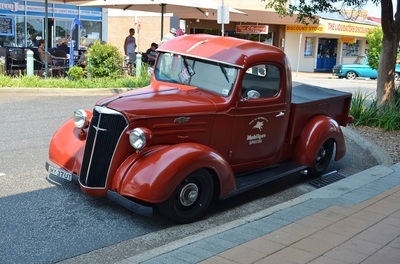 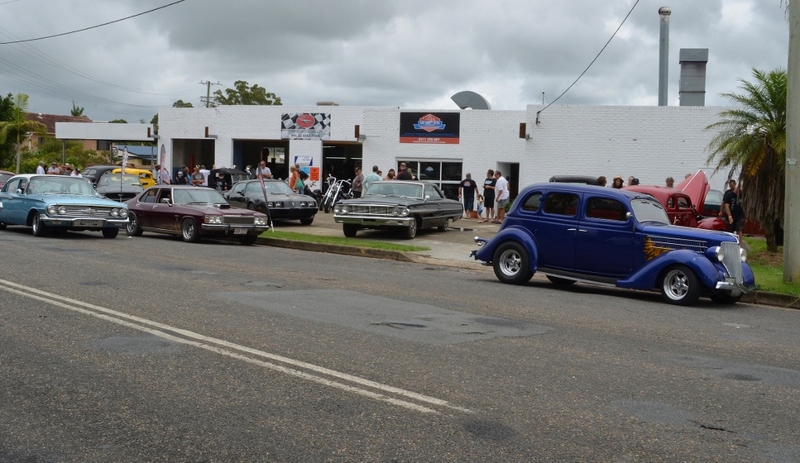 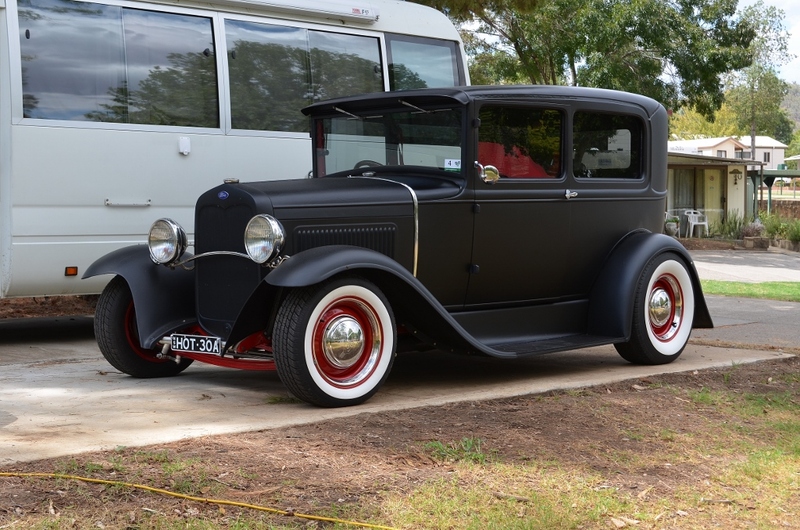 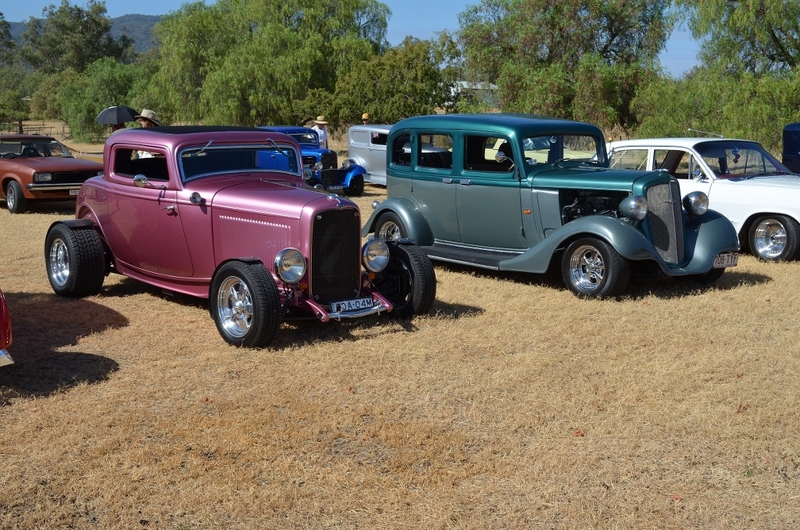 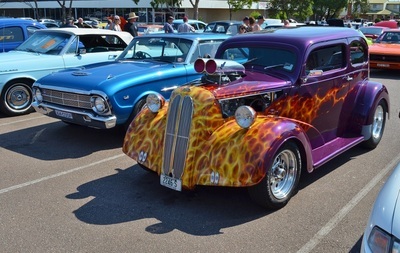 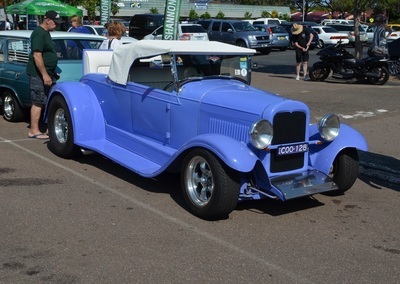 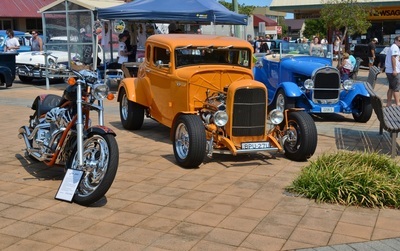 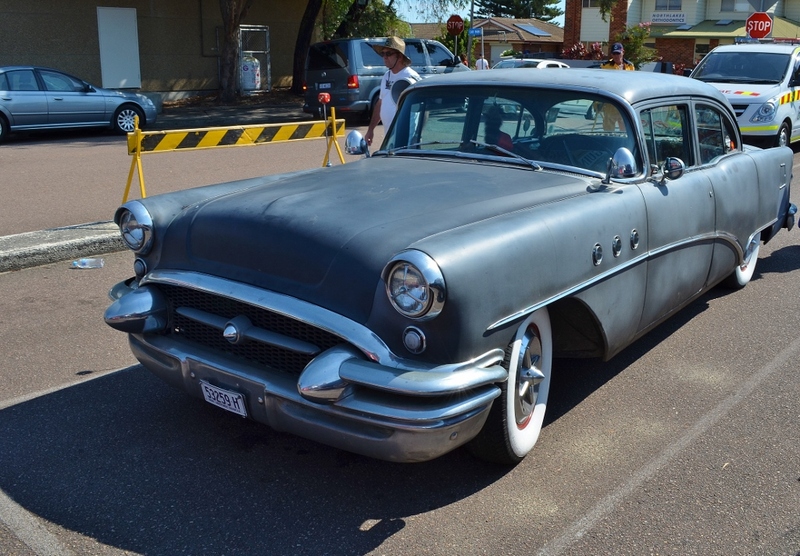 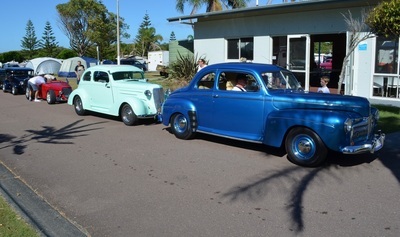 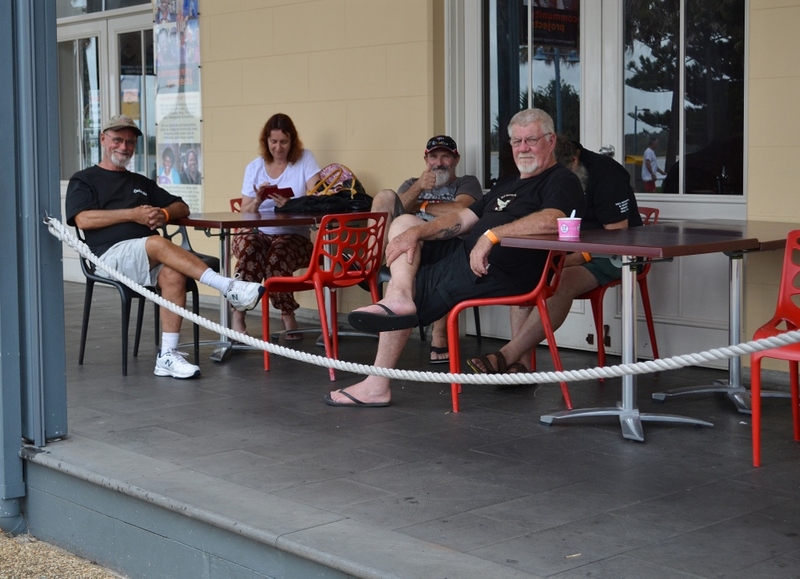 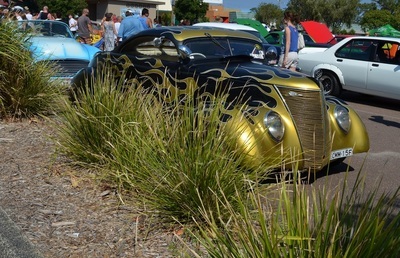 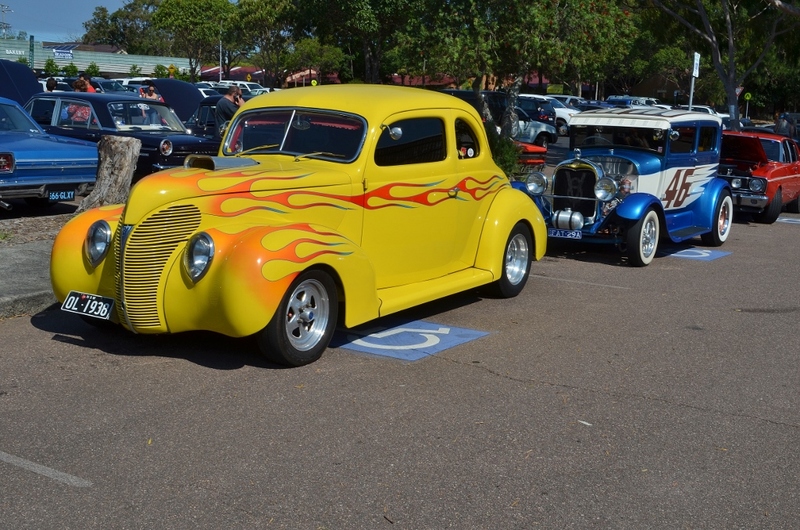 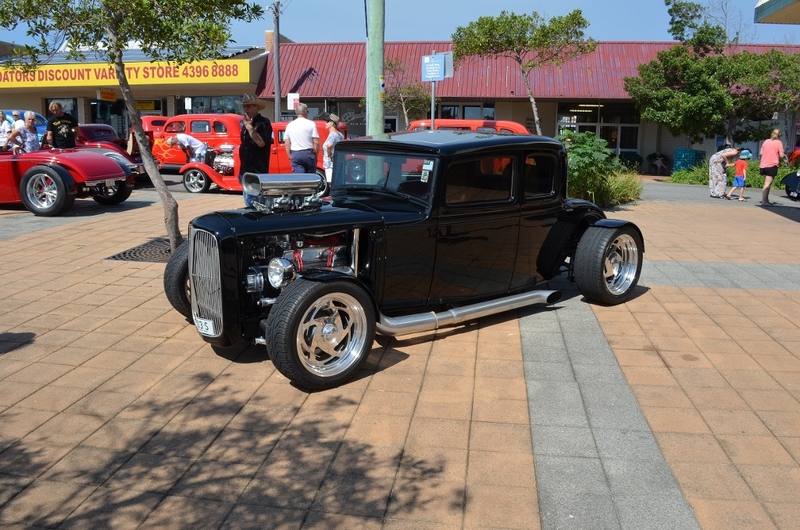 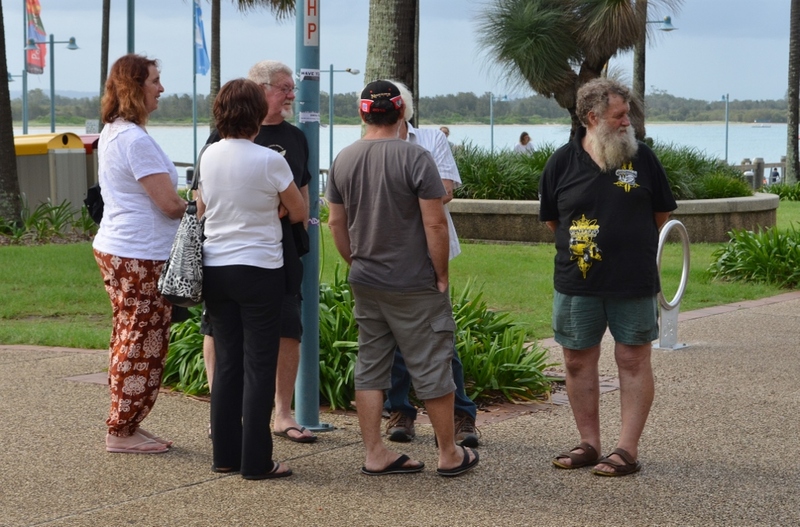 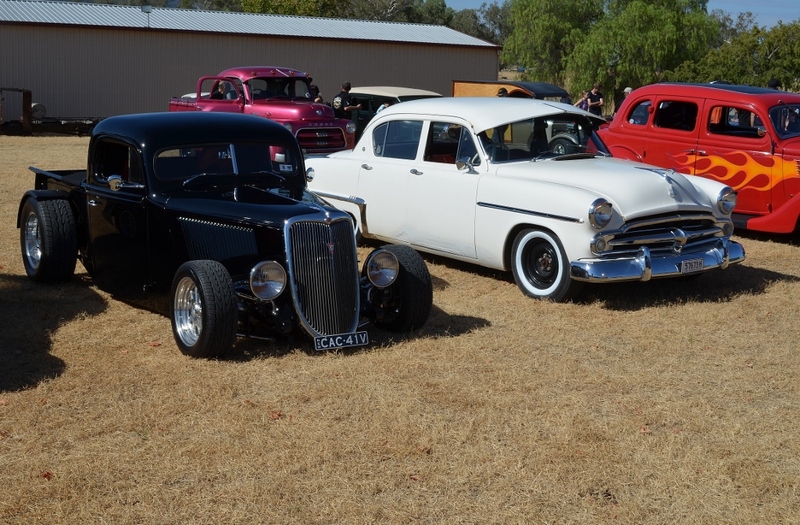 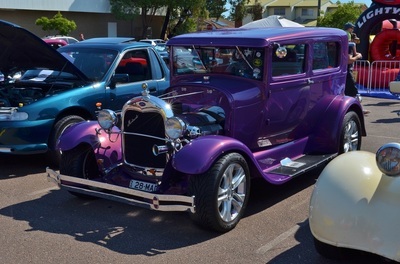 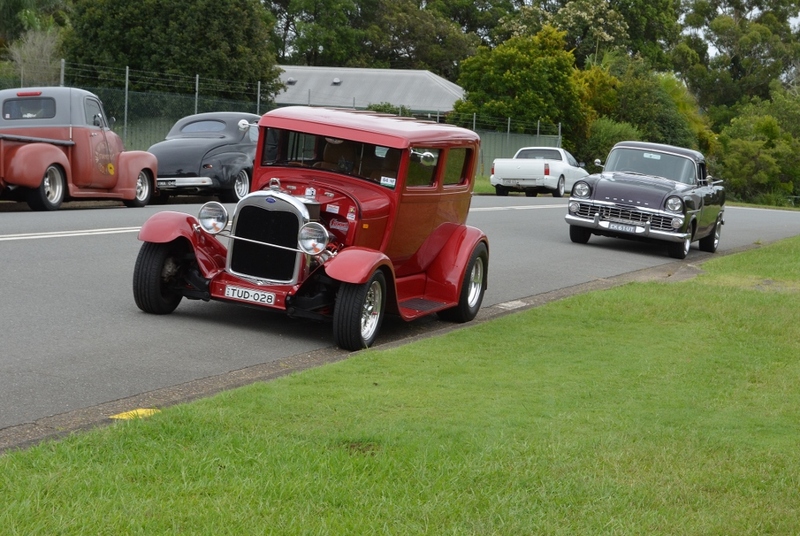 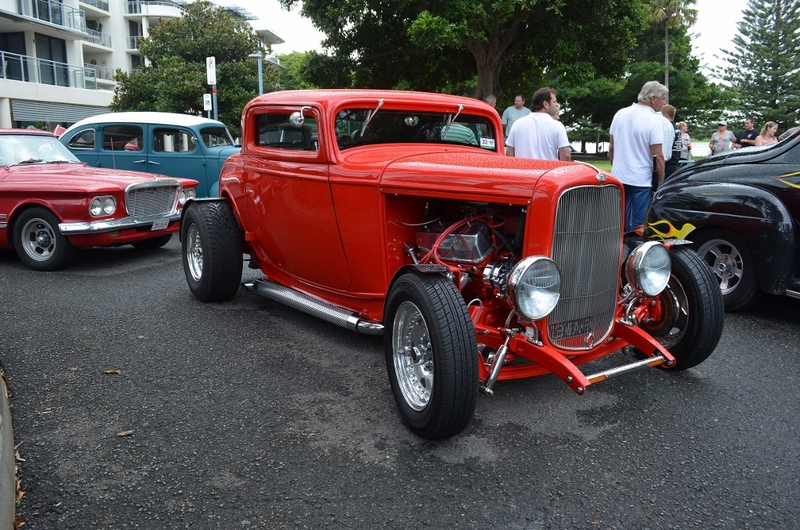 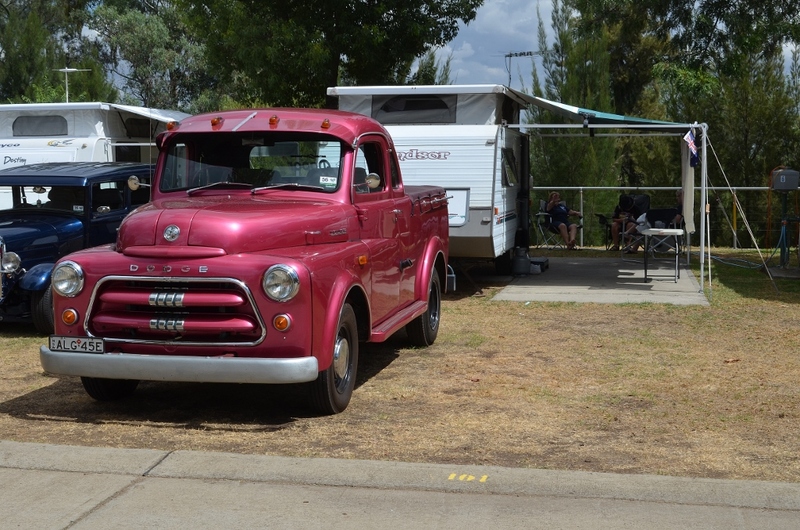 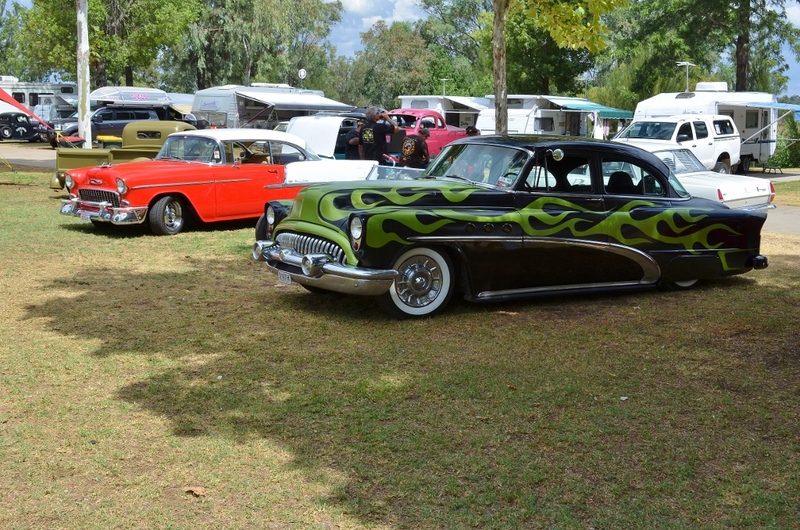 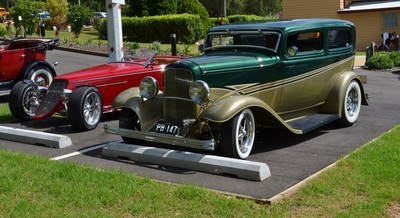 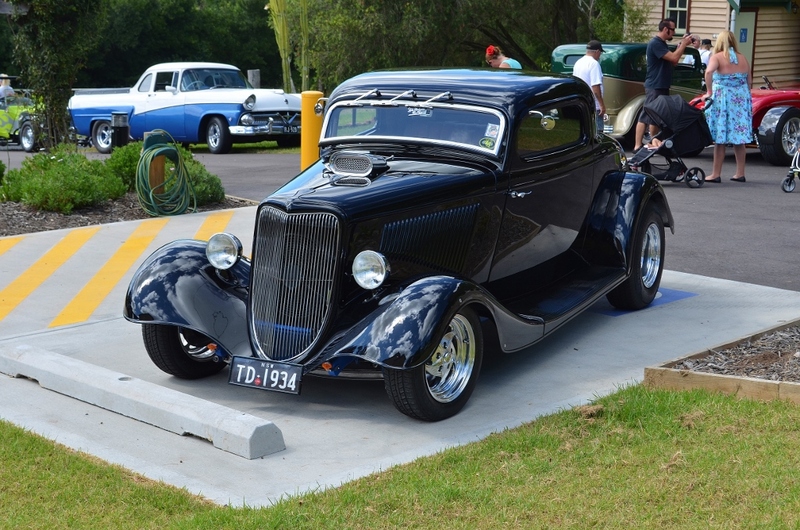 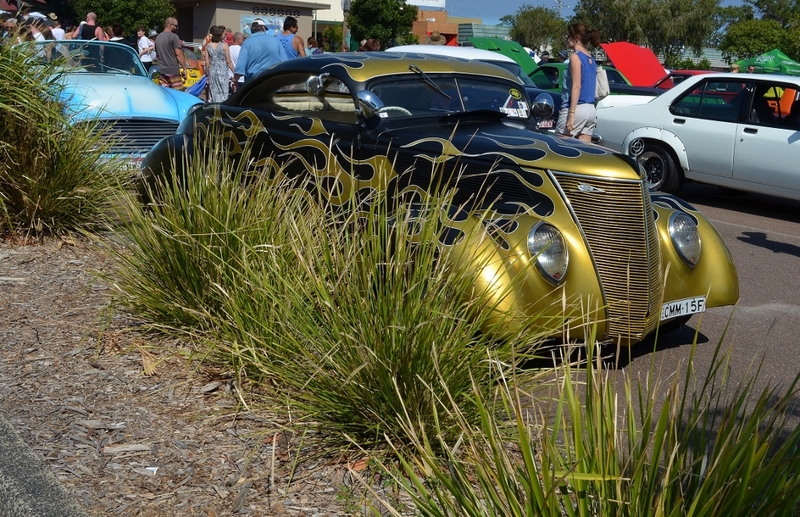 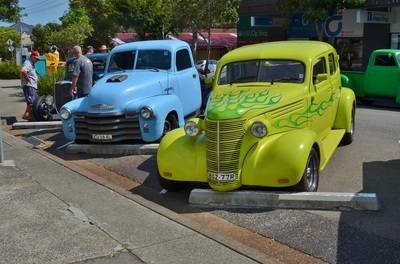 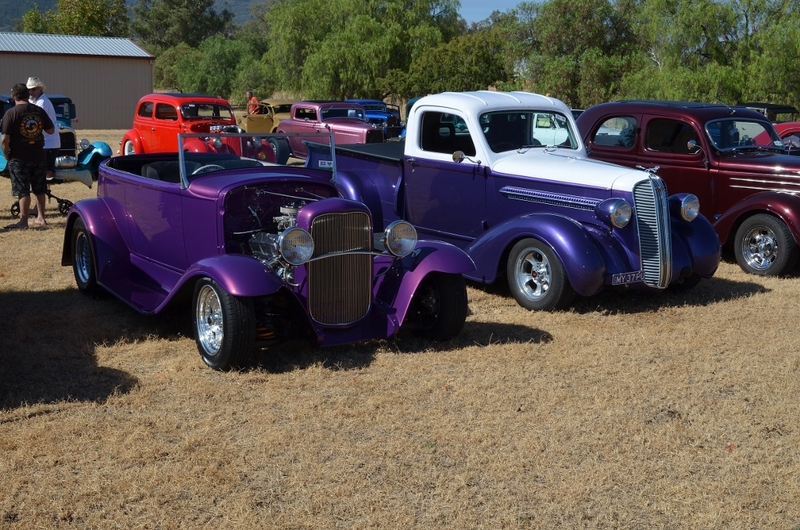 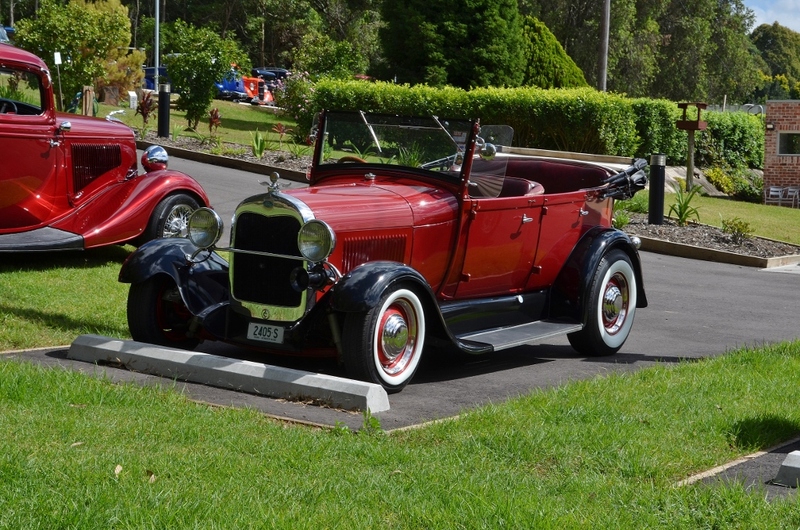 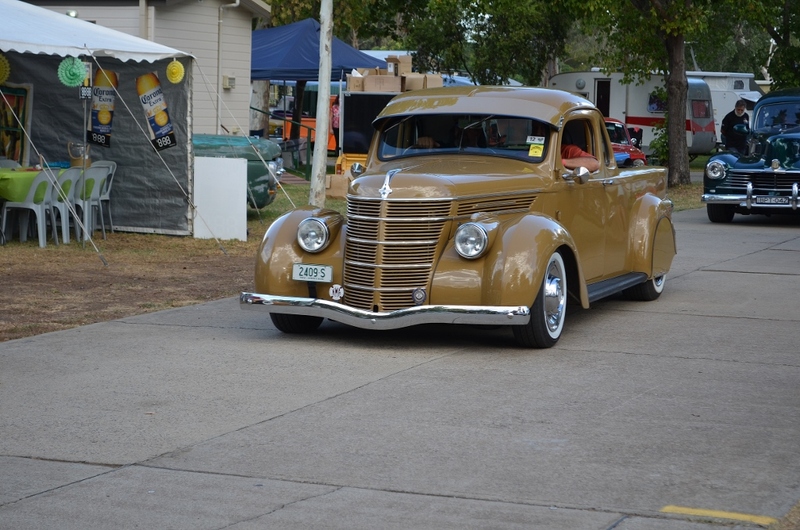 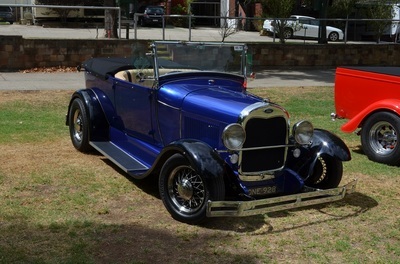 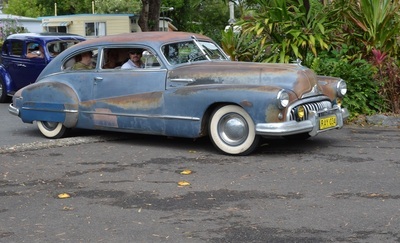 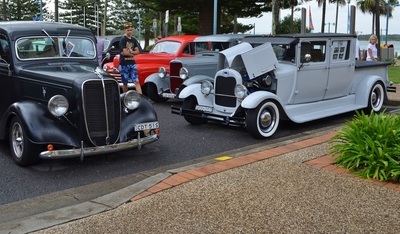 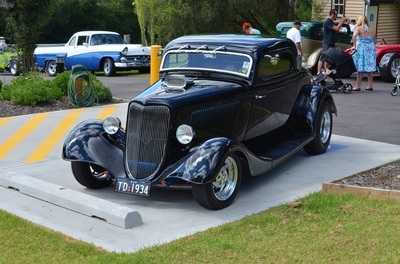 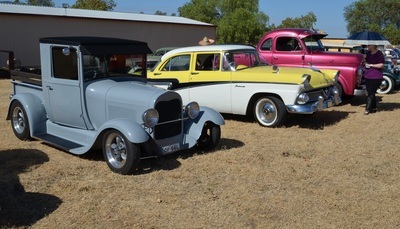 The Coasters Hot Rod Club put on their annual Port Macquarie run in February which attracted about 112 entries. The weather was a bit on the unsettled side but it did not stop any of the planned events from happening and actually would have kept the temperature down, making it very pleasant. The format was the same as previous years and it is such a winning formula that there is no need to change. 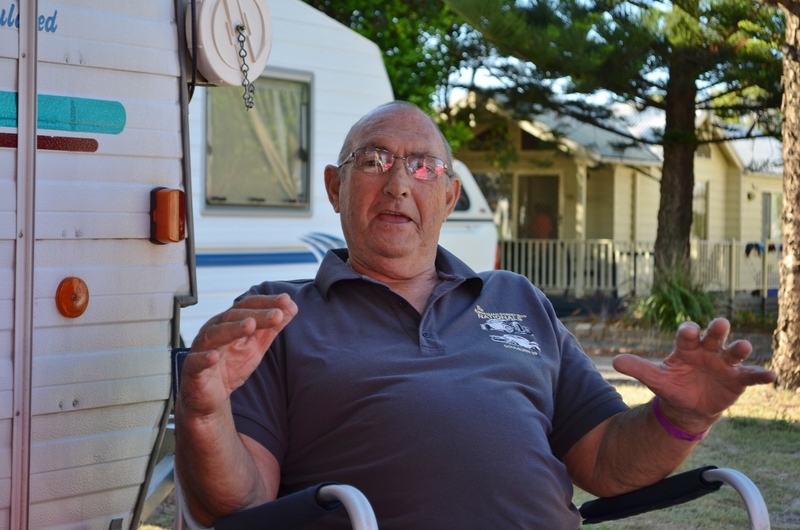 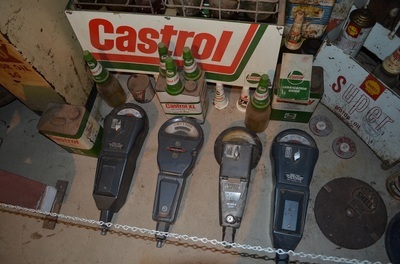 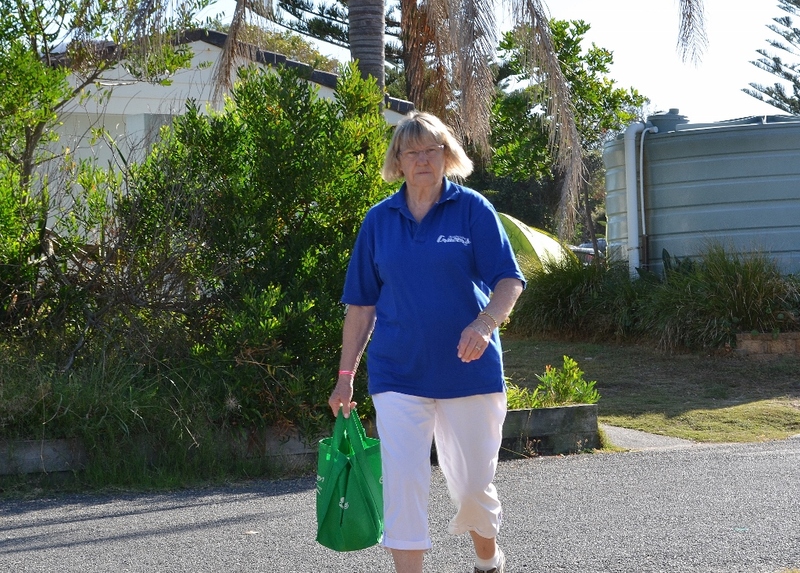 A meet and greet on the wharf of the caravan park on Friday night followed by a big day on Saturday. 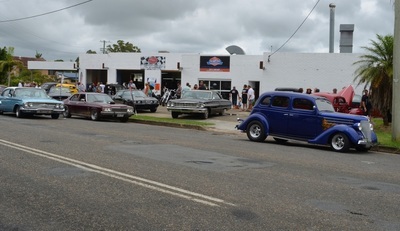 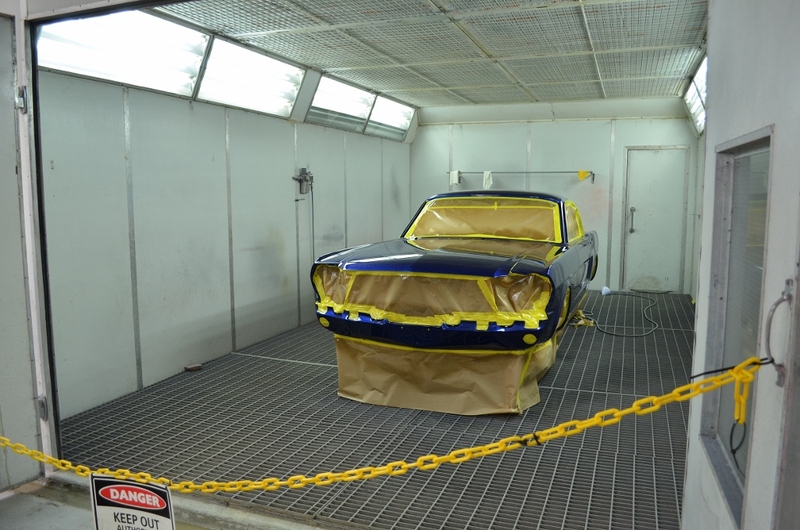 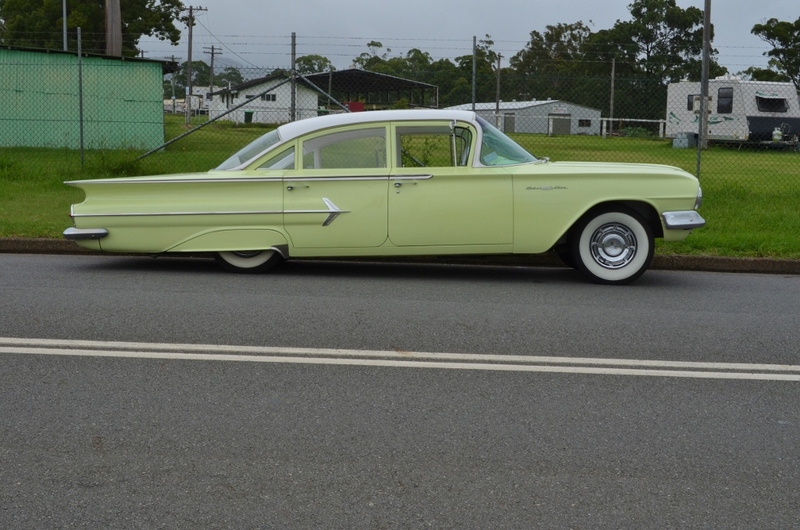 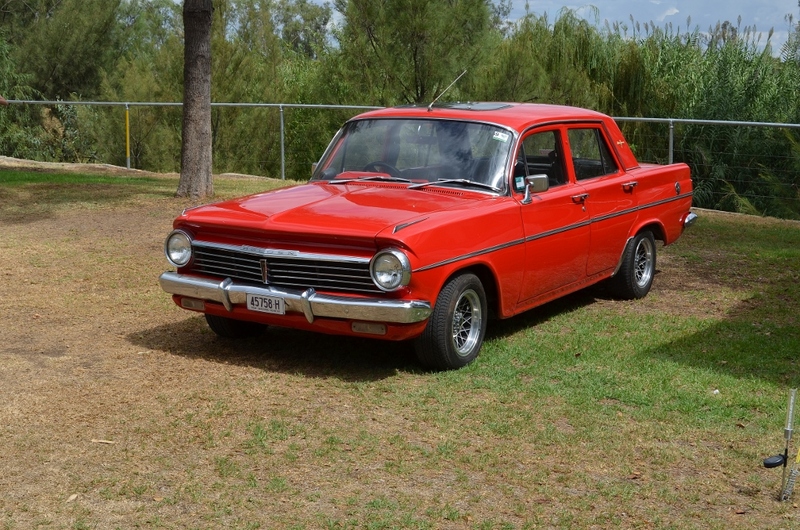 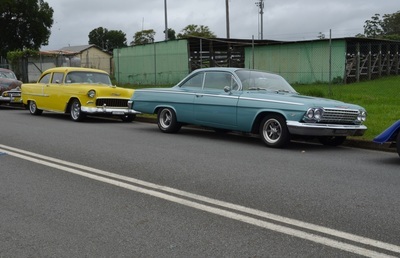 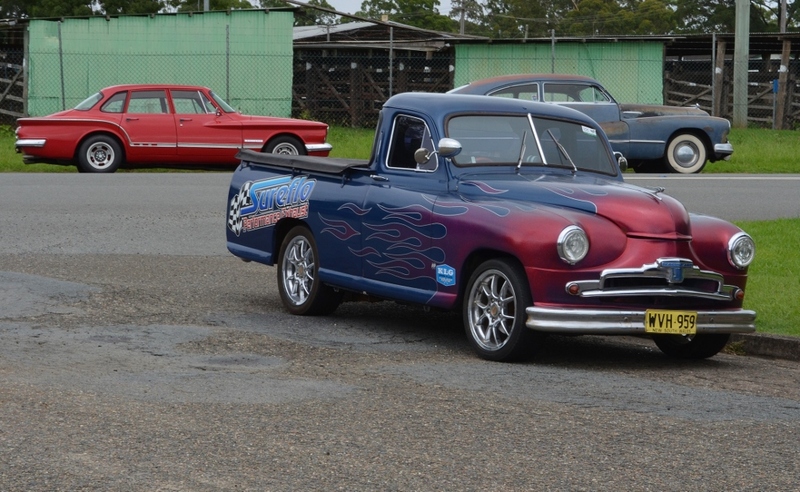 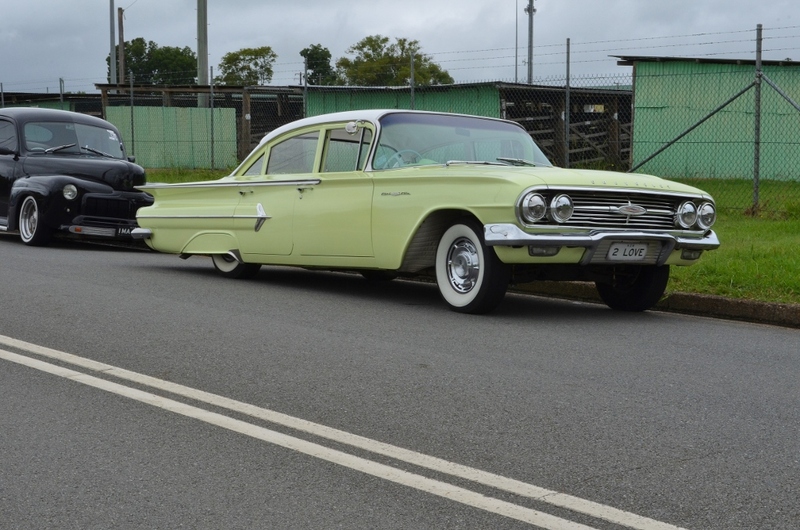 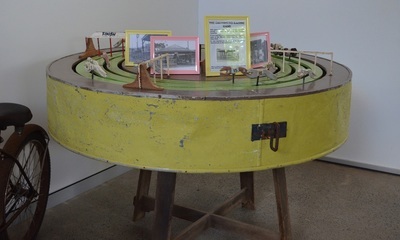 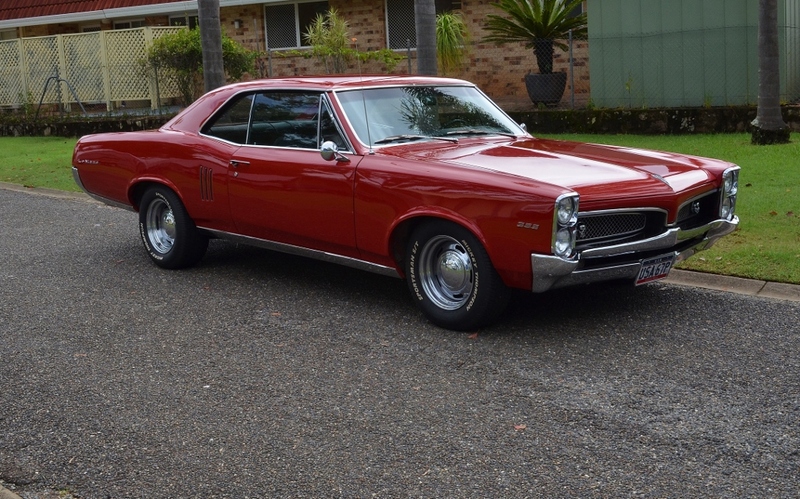 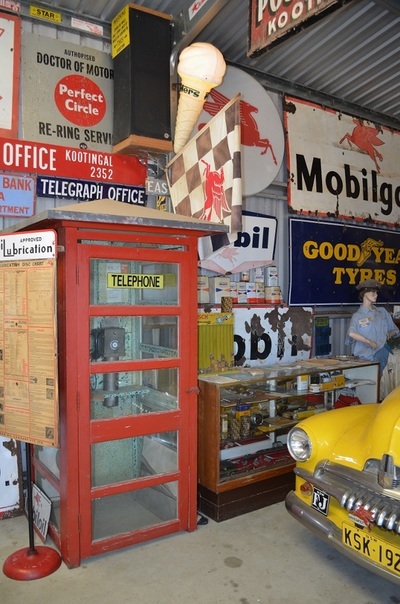 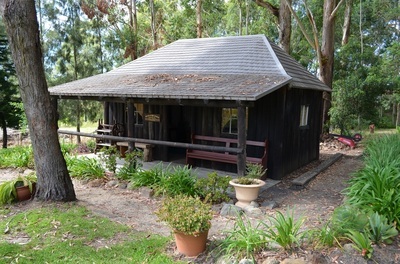 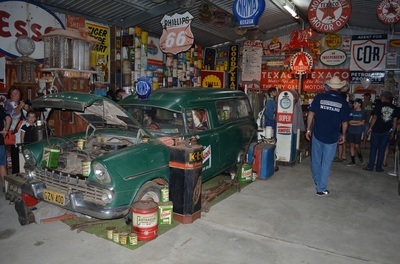 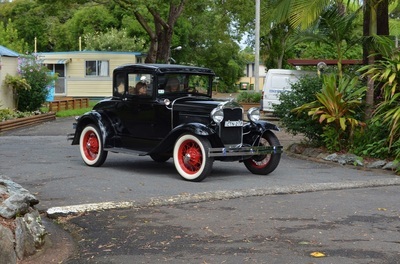 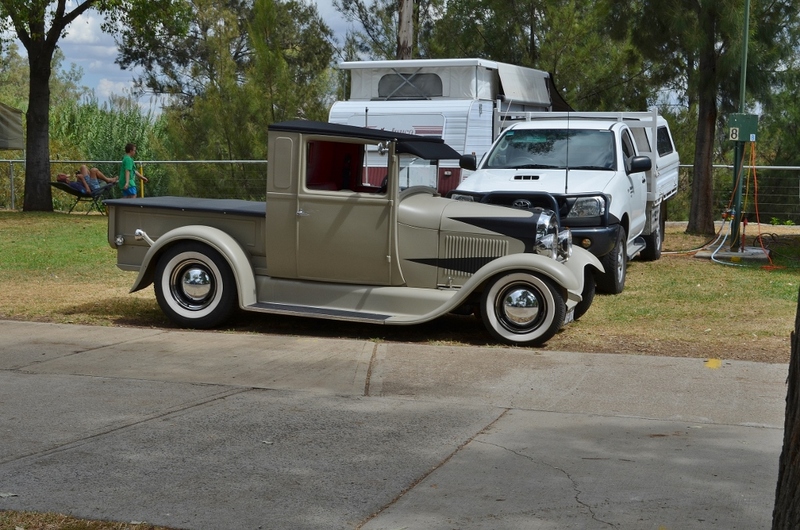 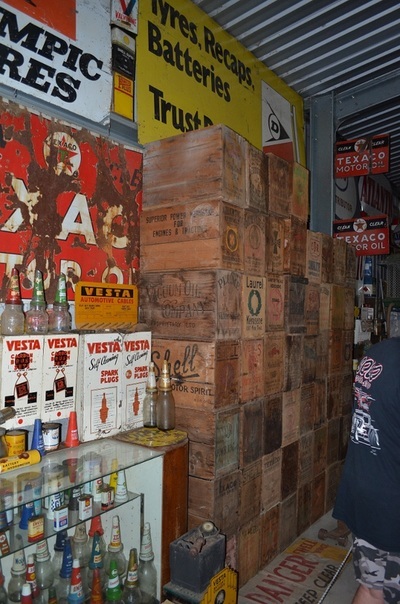 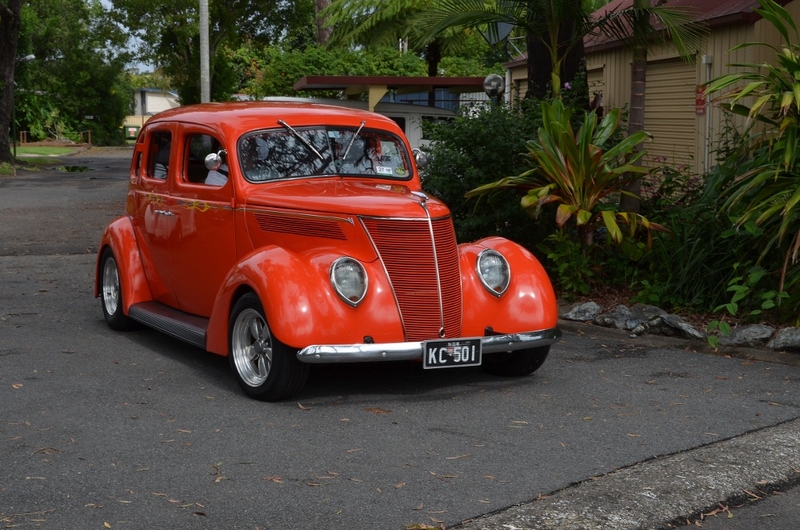 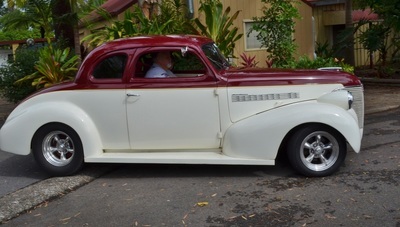 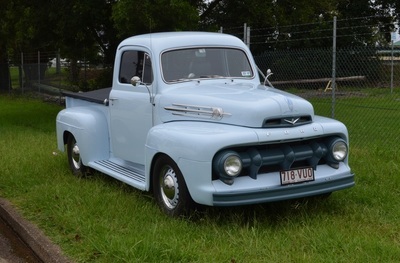 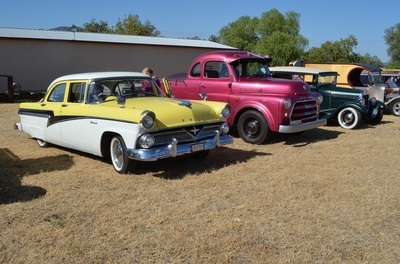 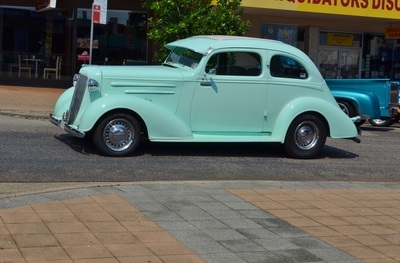 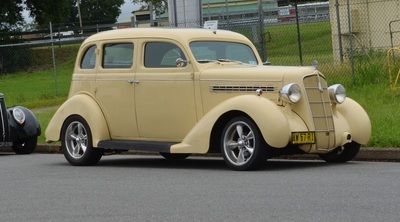 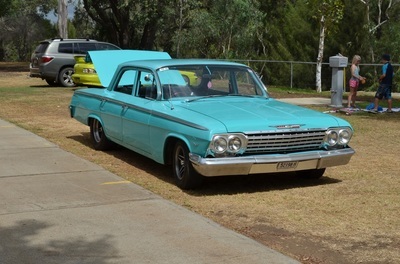 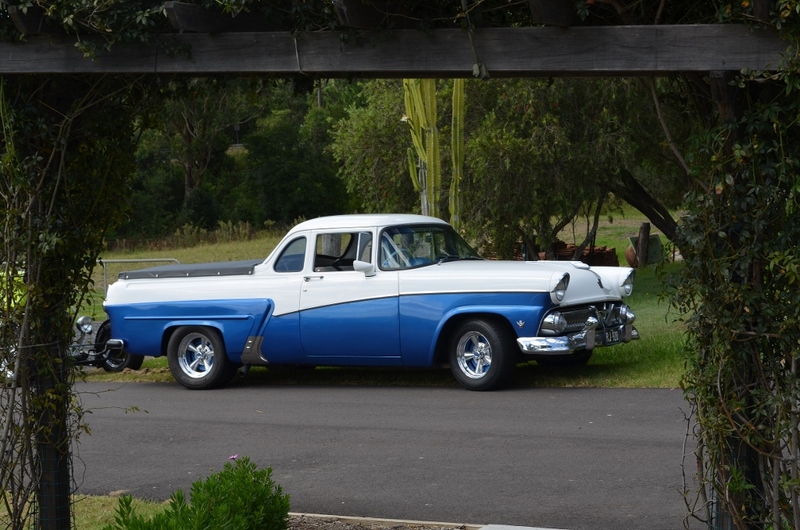 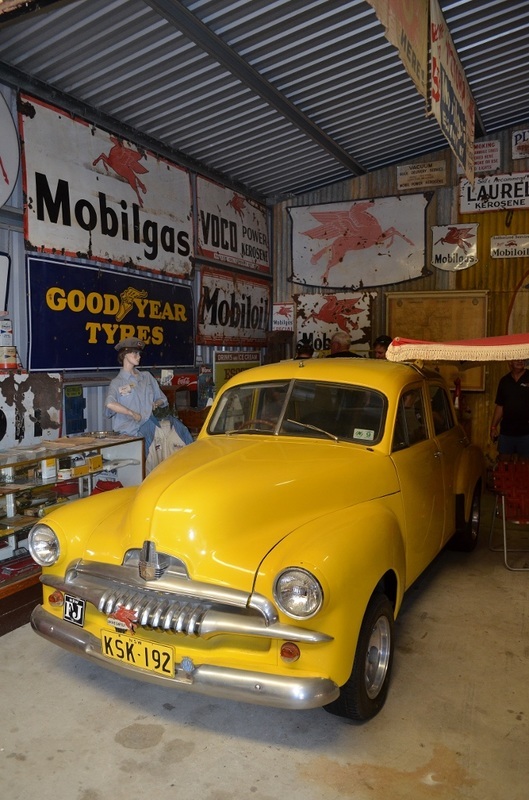 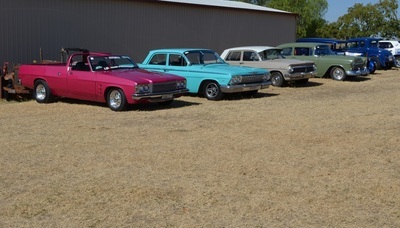 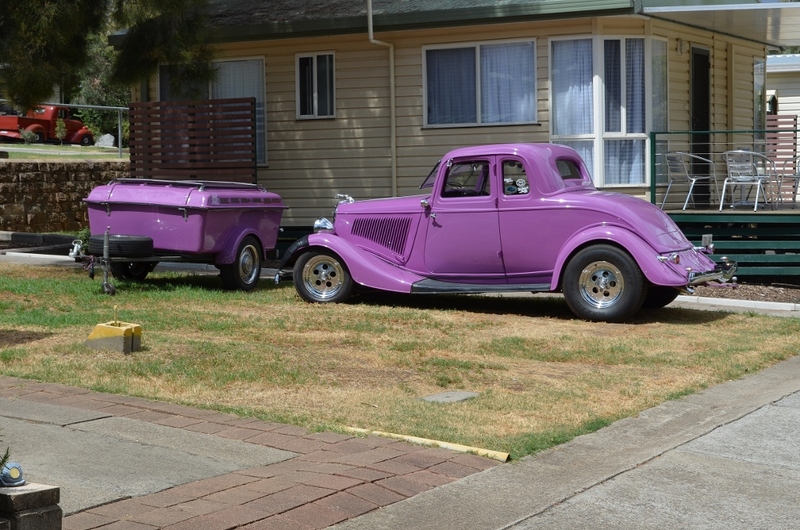 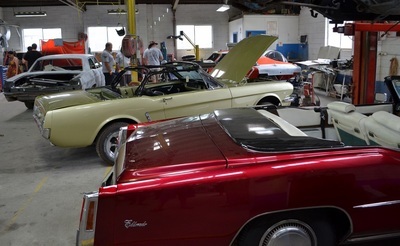 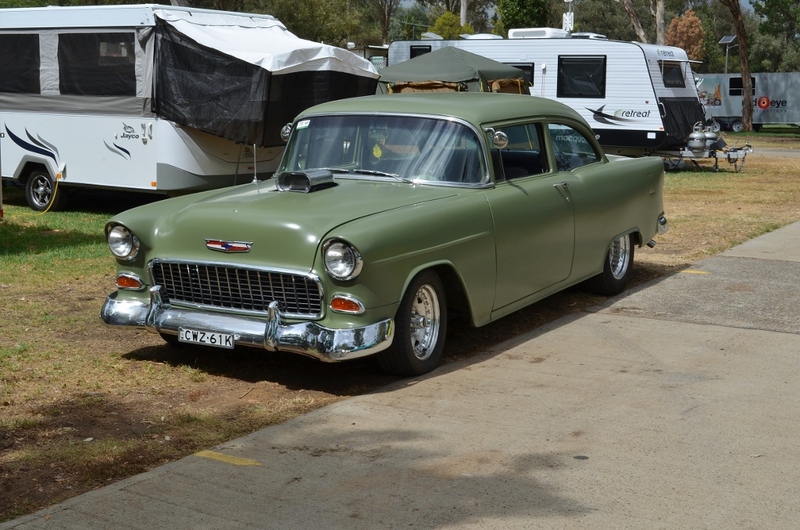 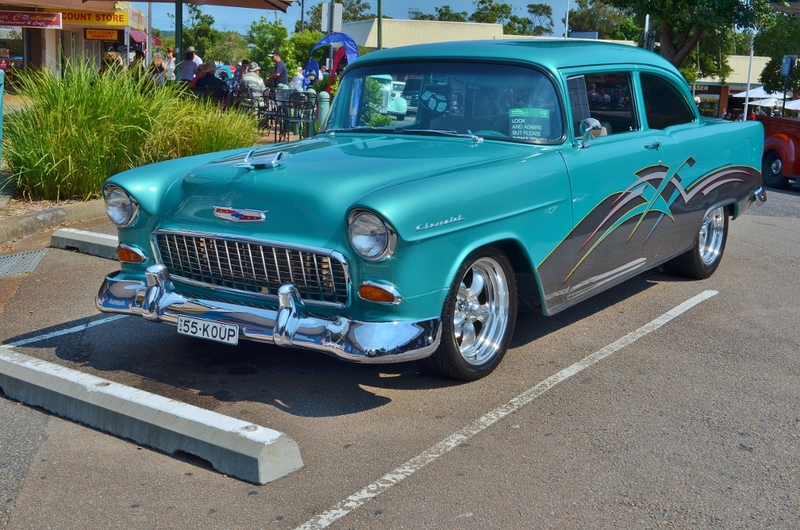 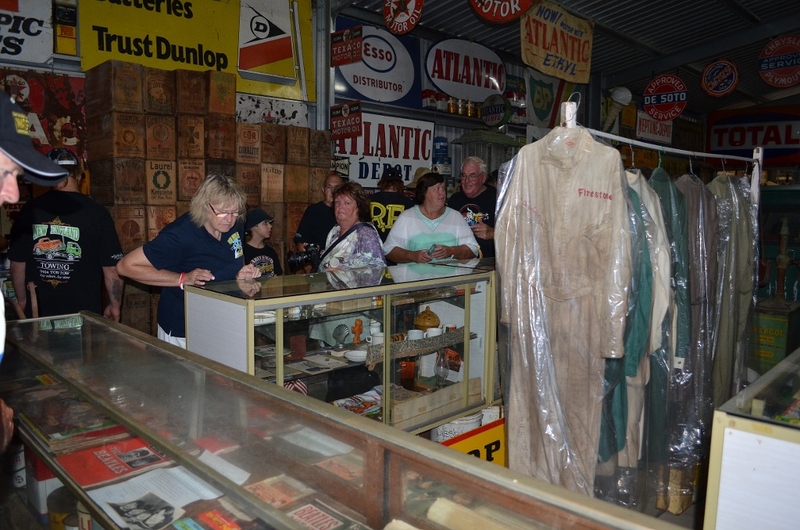 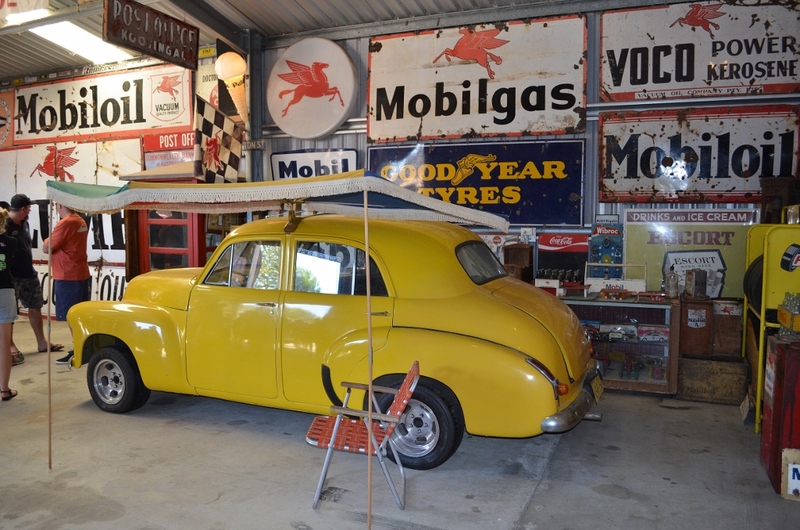 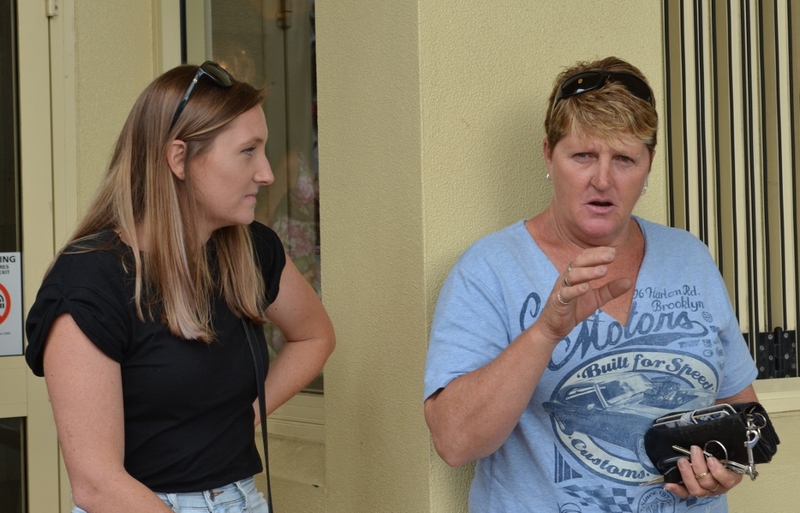 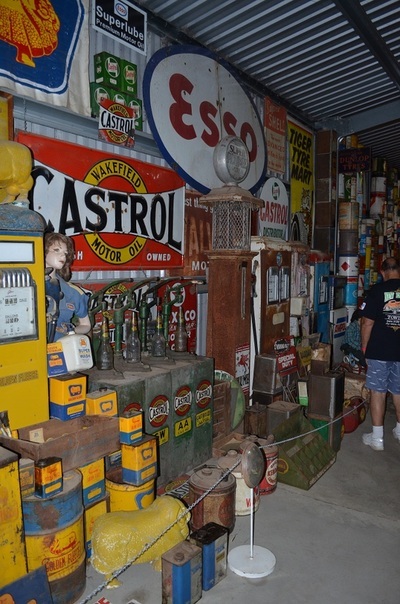 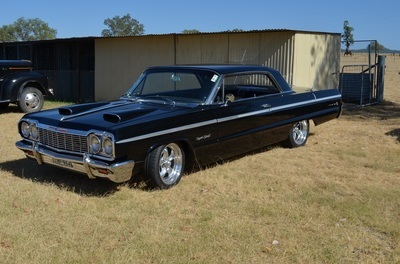 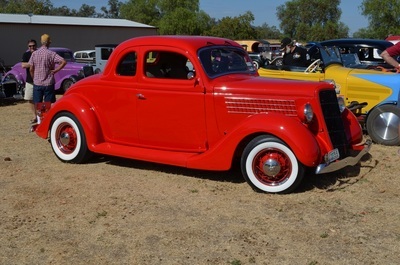 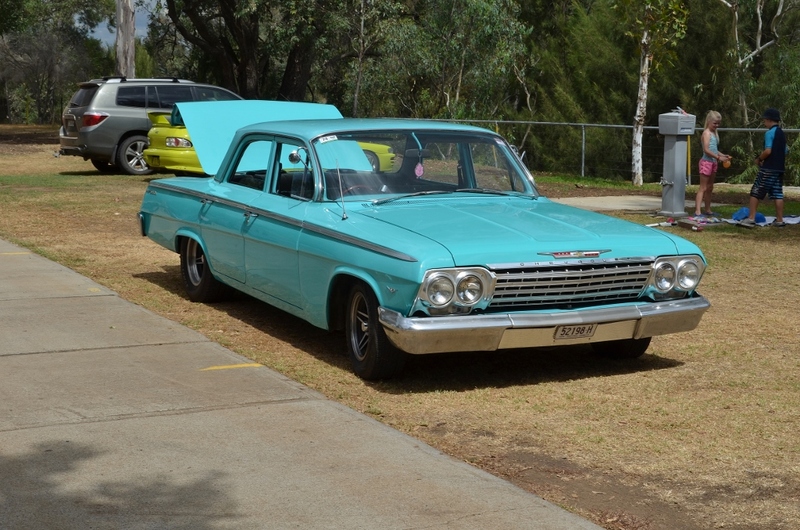 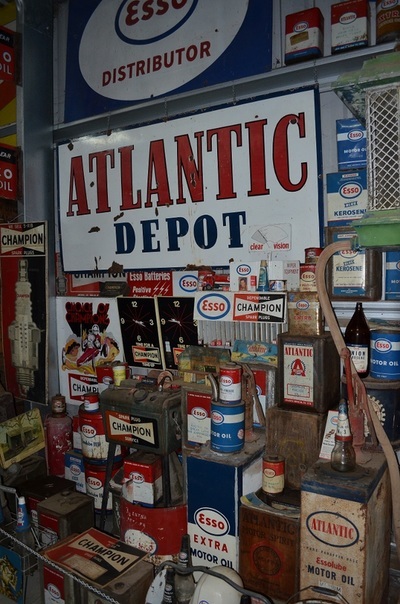 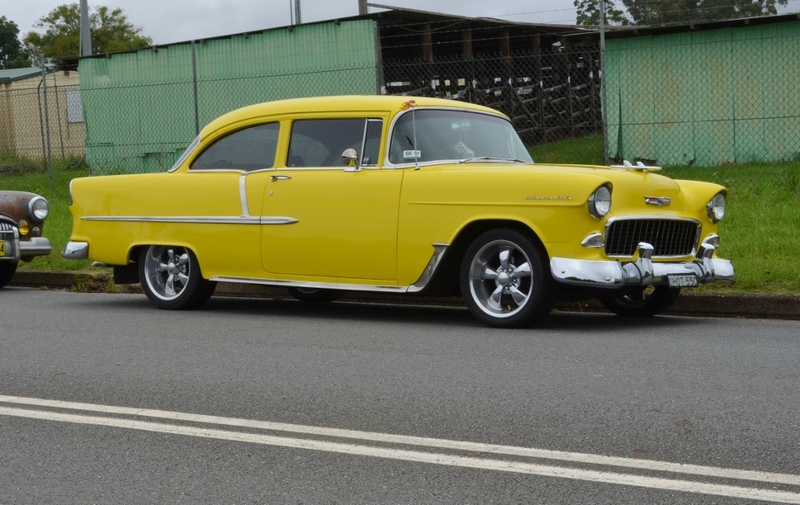 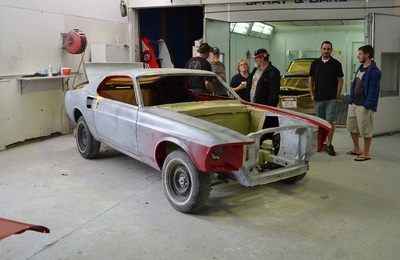 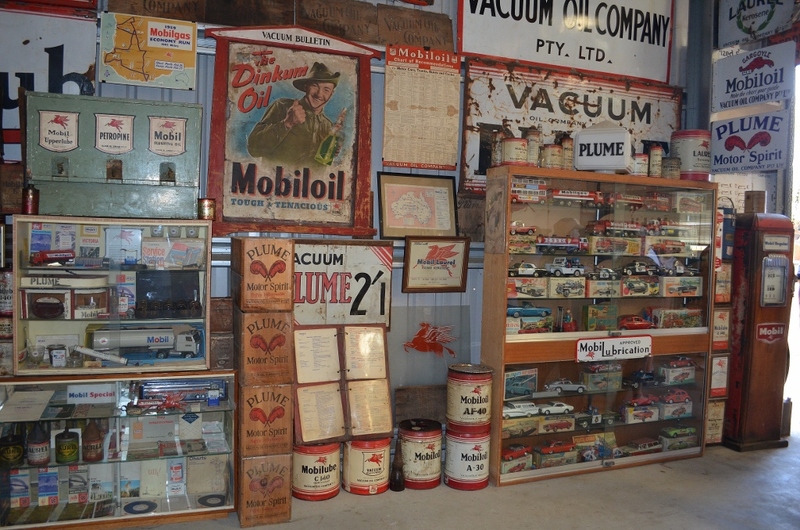 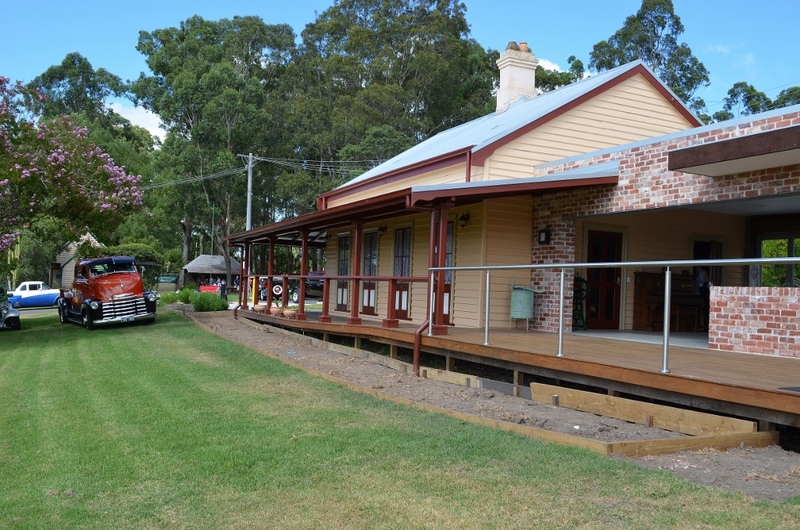 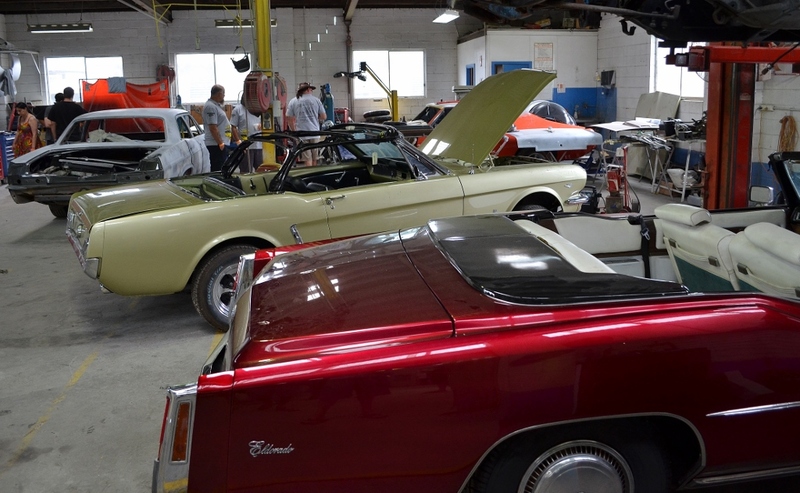 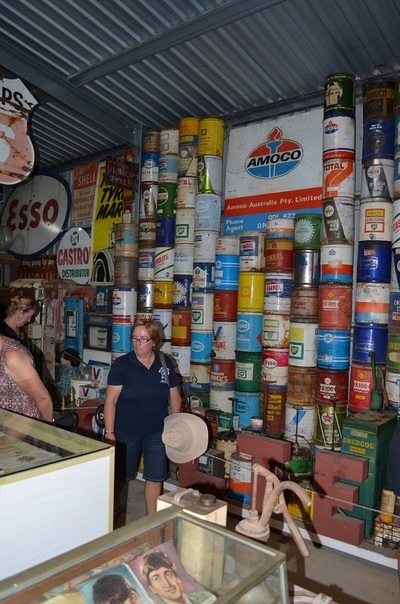 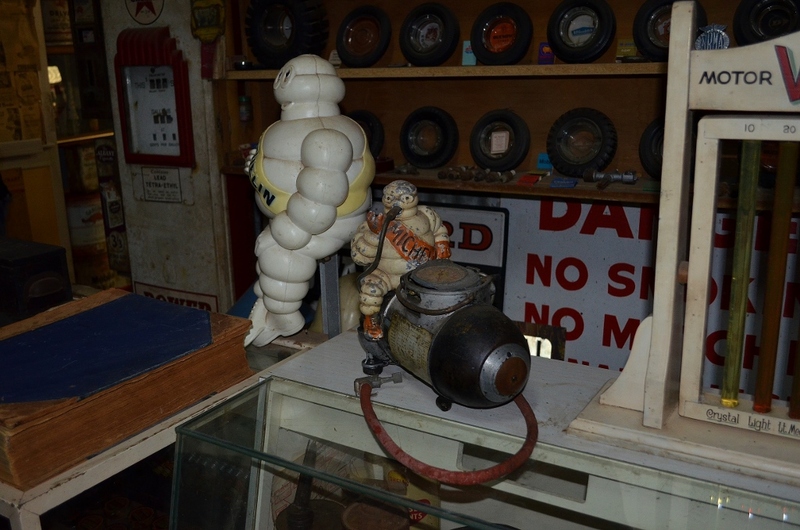 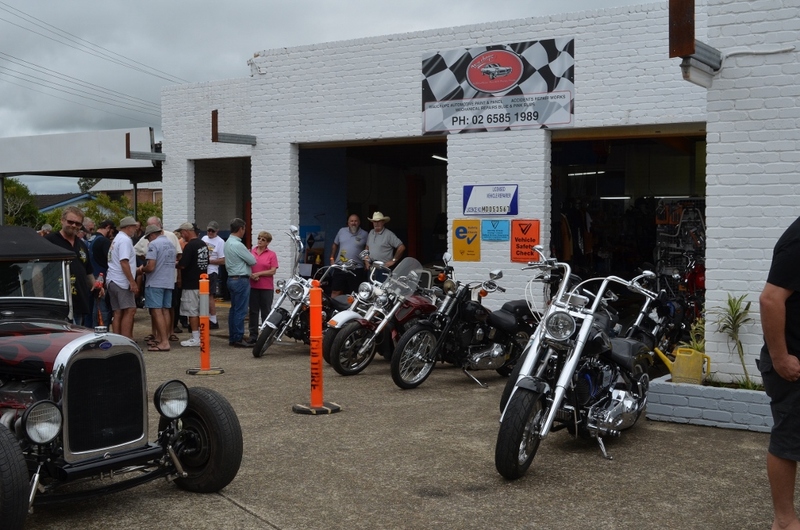 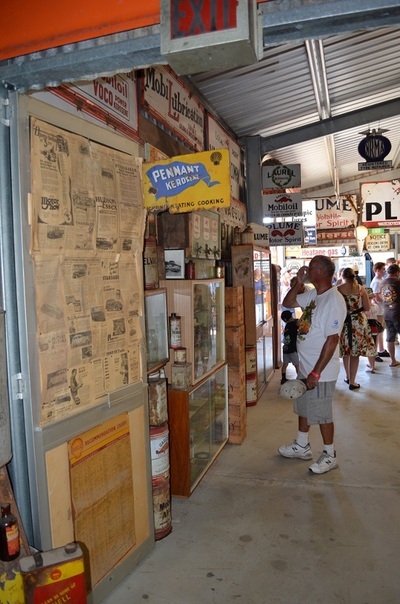 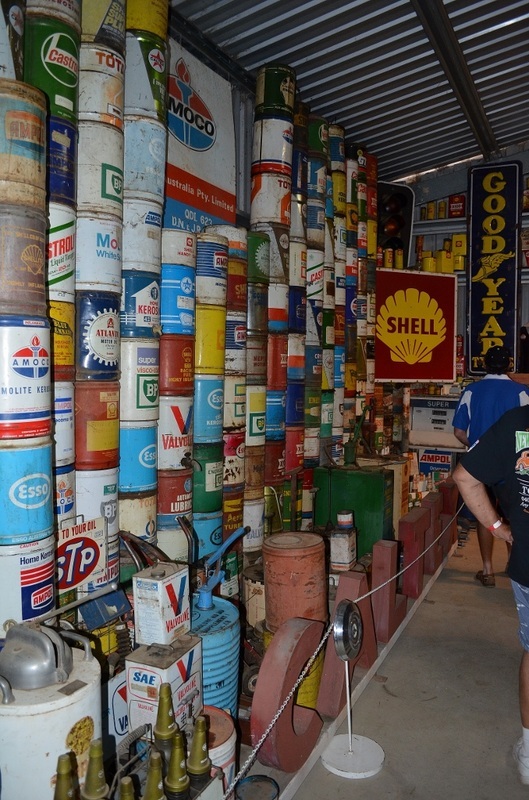 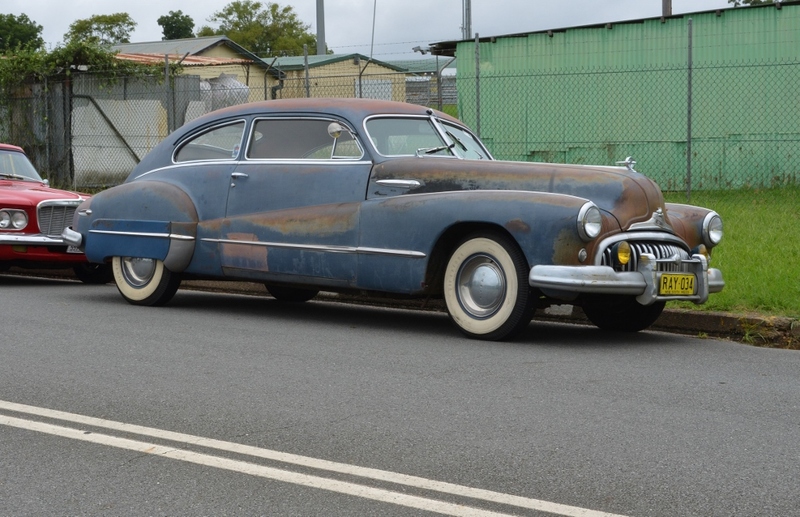 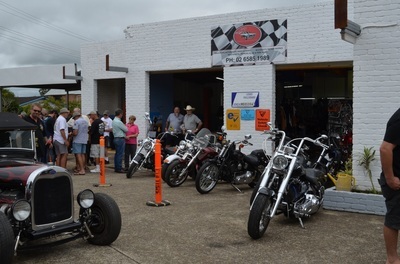 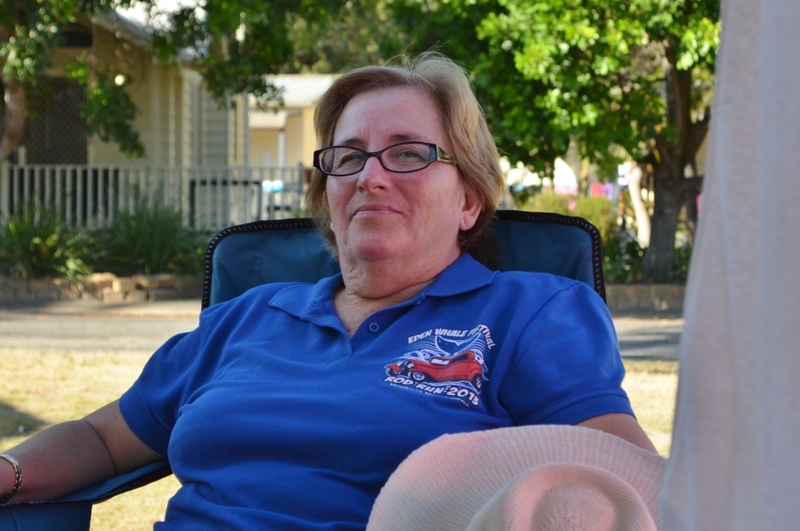 On the Saturday this year, after breakfast, we had a poker run to Wauchope where we were given morning tea and a tour of a paint and panel shop who specialize in American Cars. 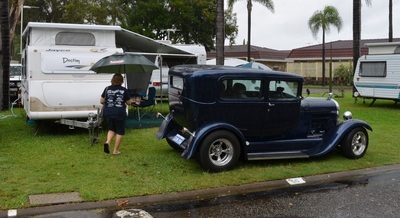 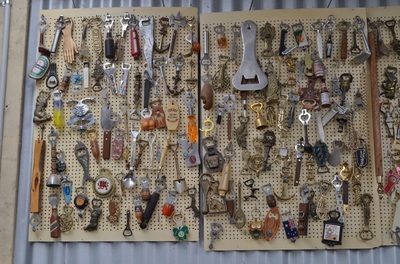 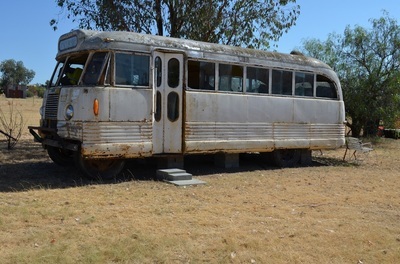 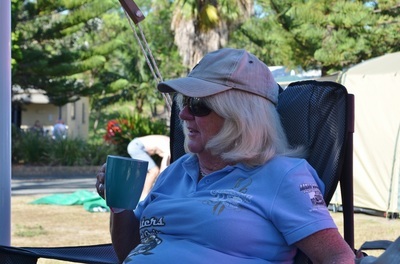 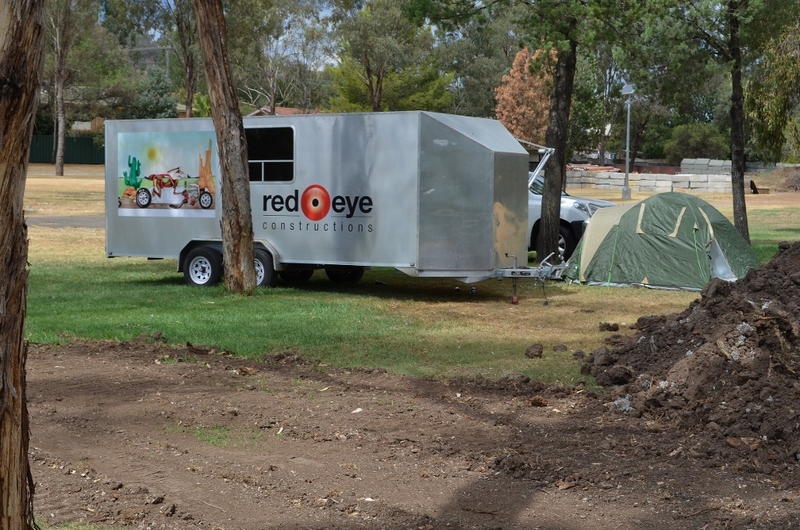 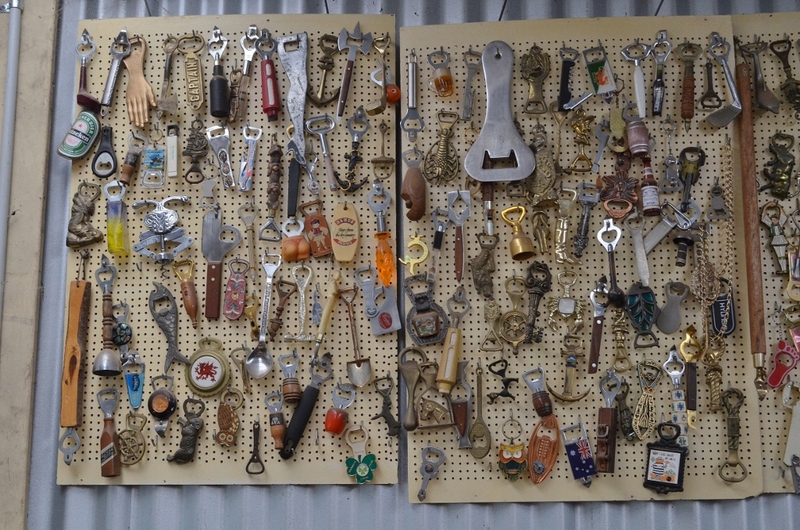 It was then back to the Caravan Park for lunch before heading to the Show and Shine. That night it was a movie or drinks, or both on the wharf. 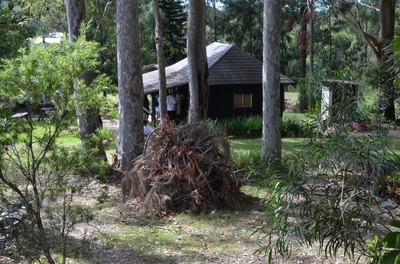 Sunday we were given breakfast before the presentation. 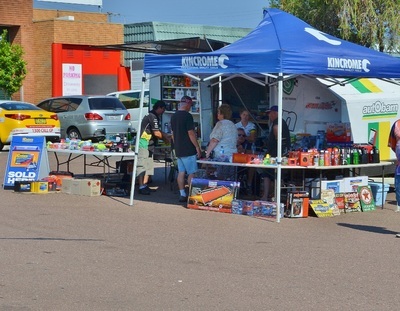 At the presentation Ray was luck enough to win a trophy and Col won the raffle which was a great tool box filled with tools. 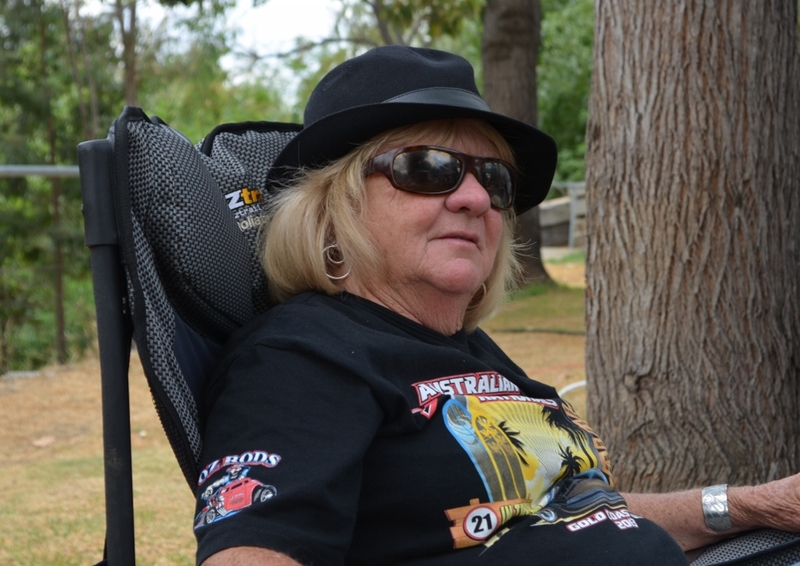 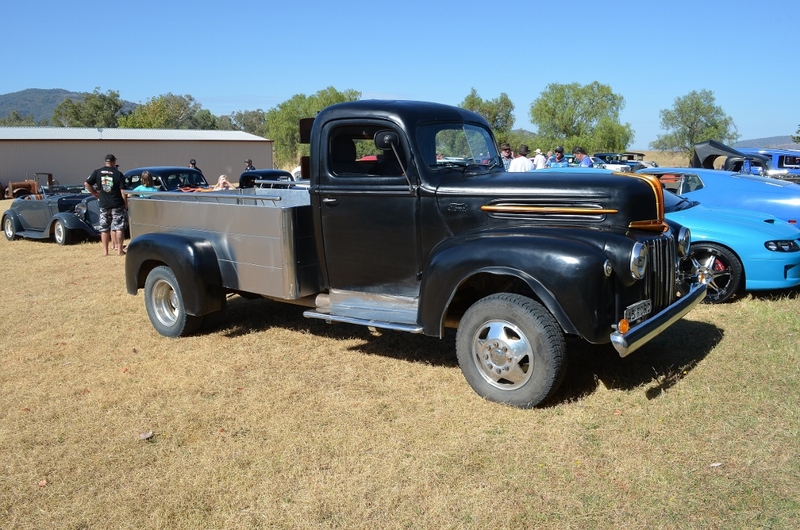 The only mishap was that Glenda's rod would not return to idol just before the poker run so we jumped in the back of Ross's 28 dual cab pickup and when we returned to the park he fixed Glenda's rod, thanks Ross. 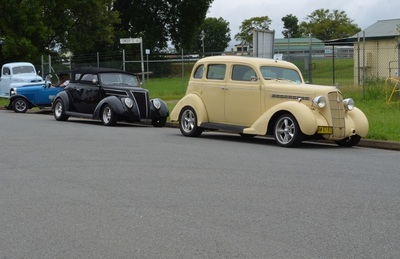 Another fantastic week away with the rods and nine other members of our club and their partners, all of who add to make it a great event. Easy Street Rod and Custom Club's Norah Head run attracted about 70 entrants and as usual we were looked after well by the club. This year we had the meet and greet on Friday night, Saturday morning breakfast was supplied followed by a run to a local museum. 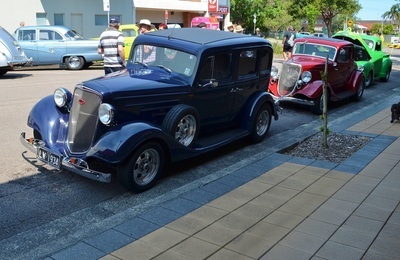 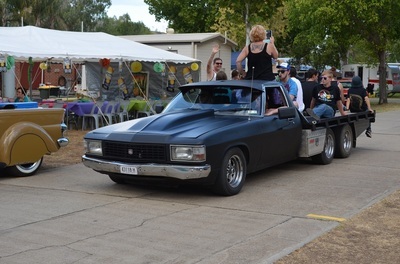 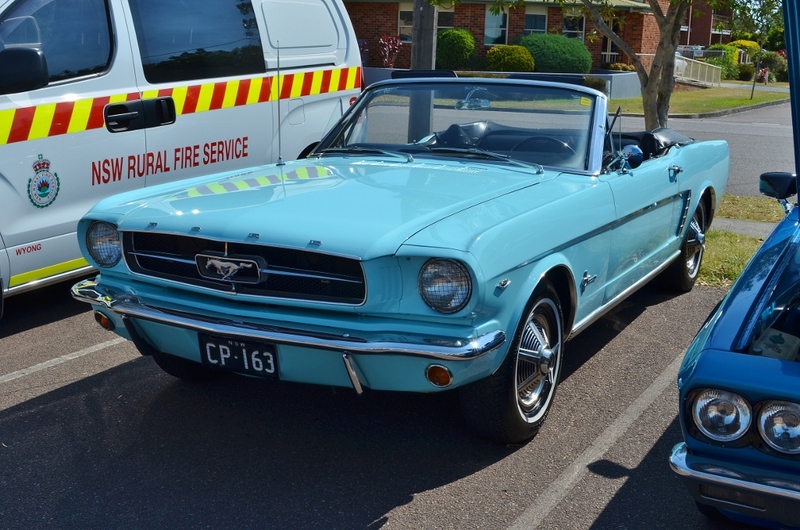 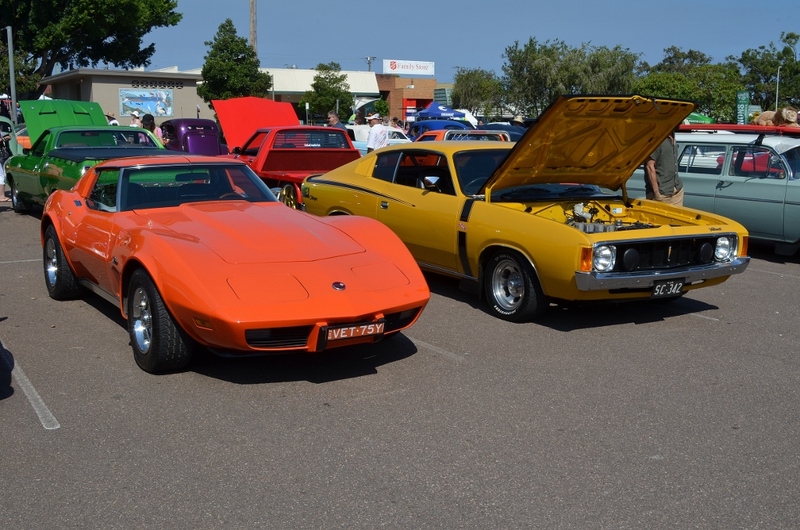 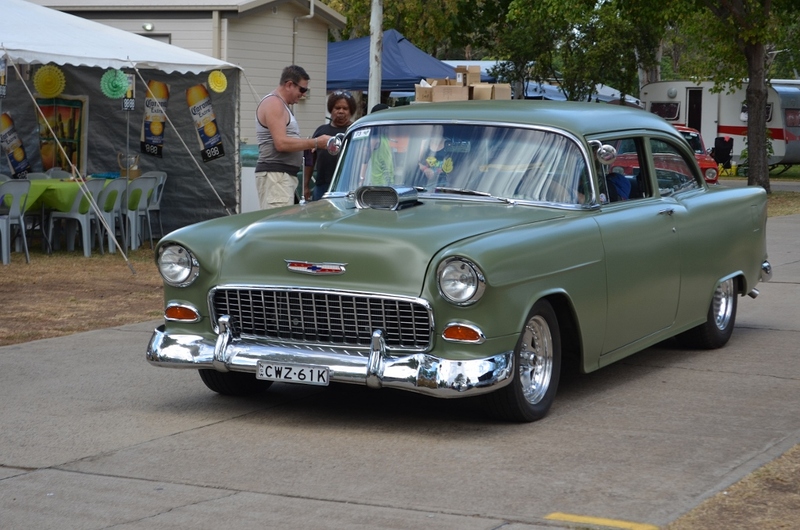 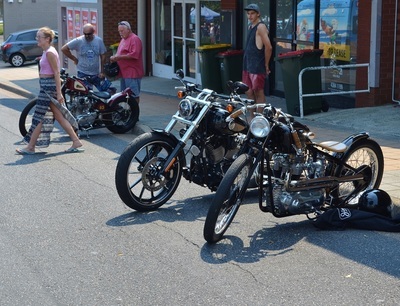 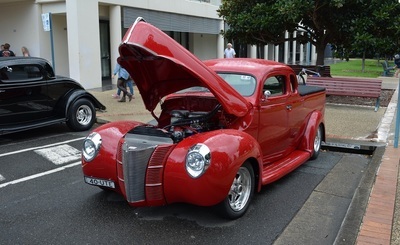 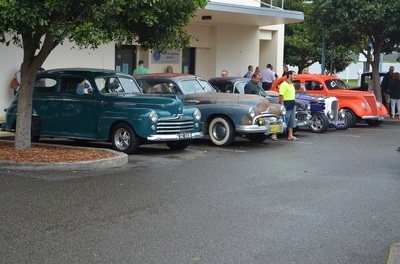 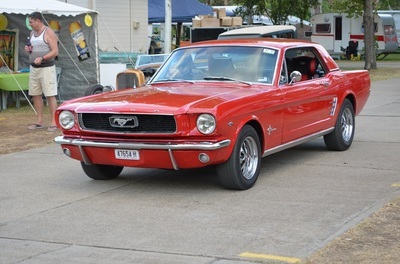 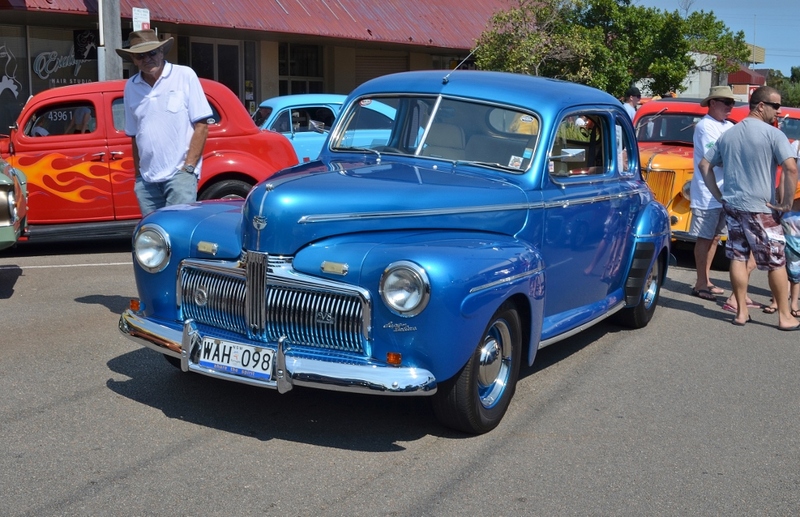 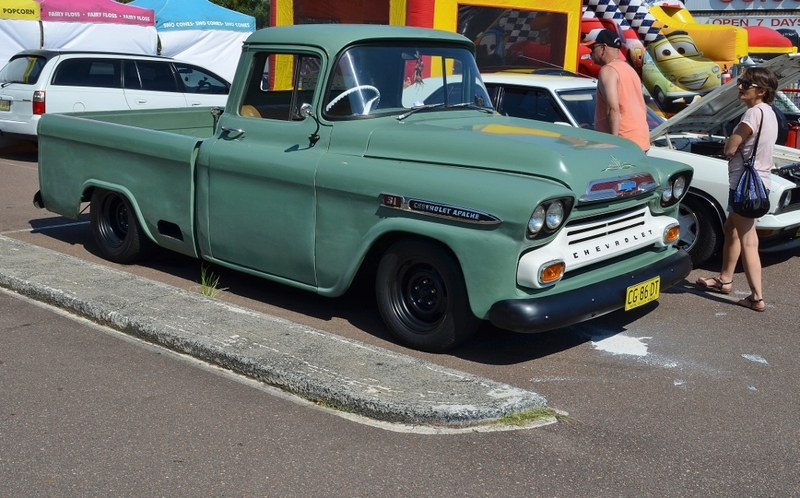 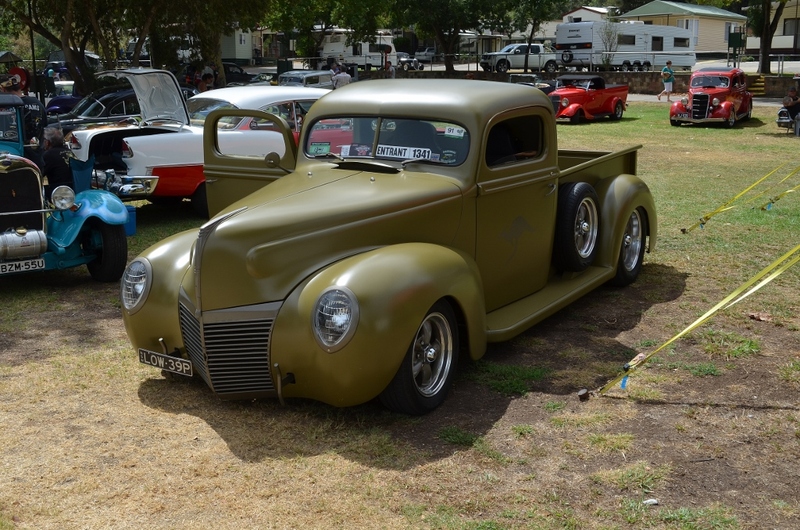 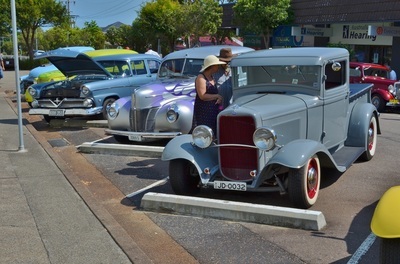 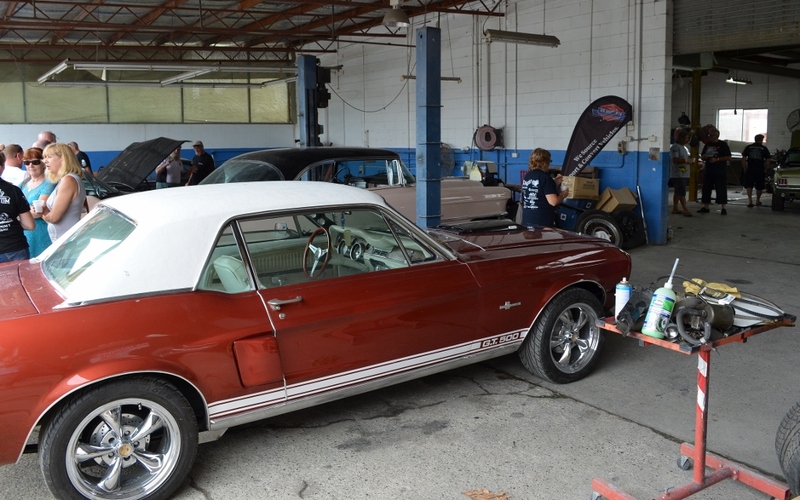 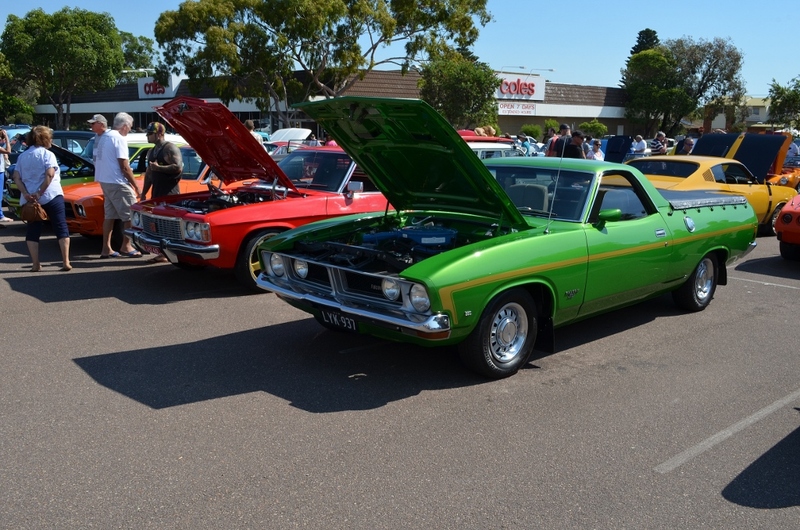 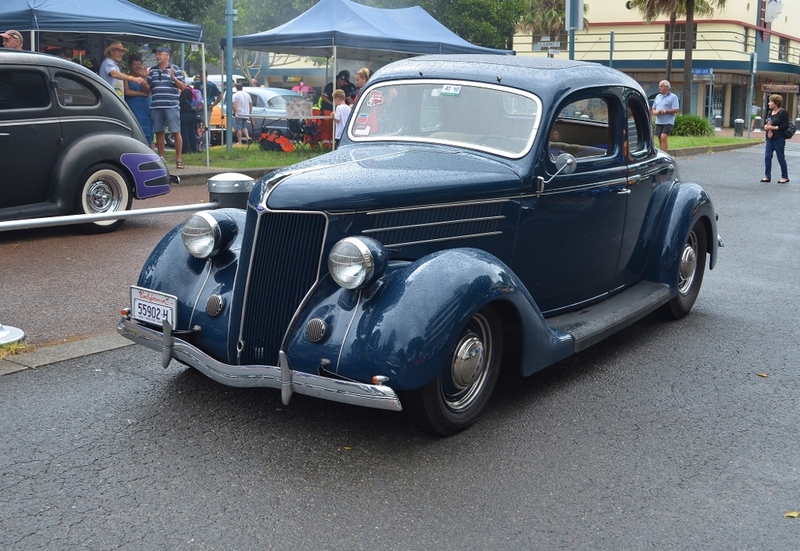 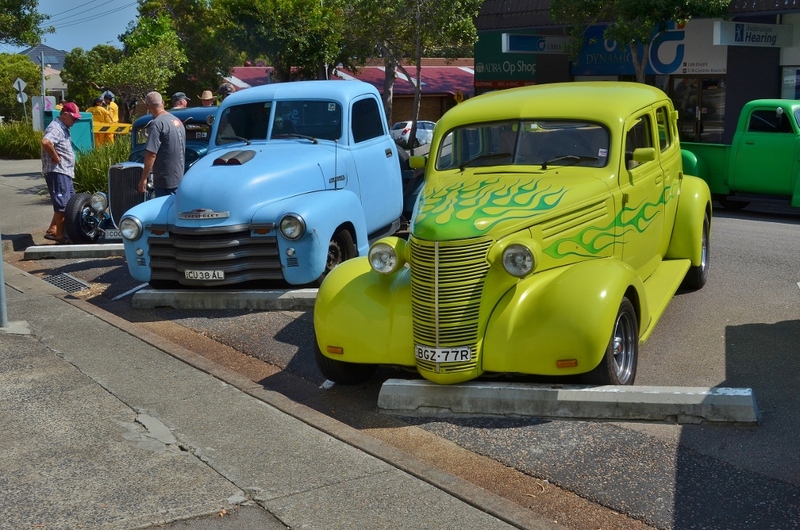 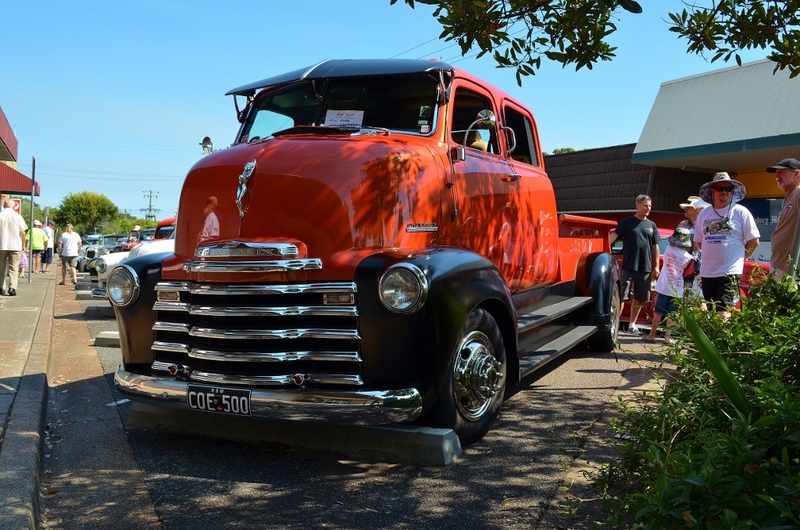 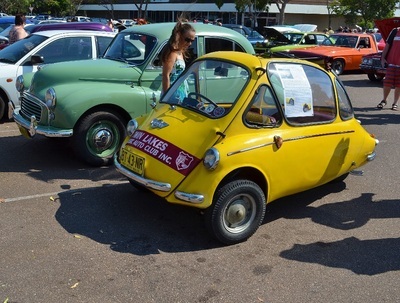 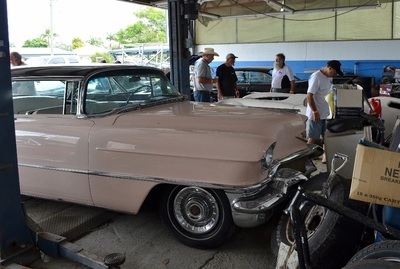 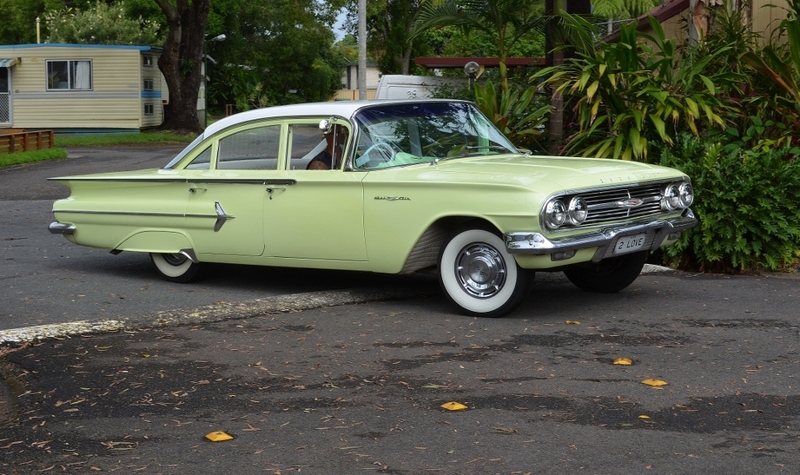 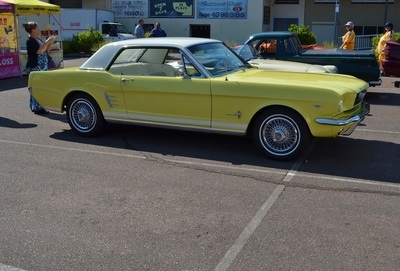 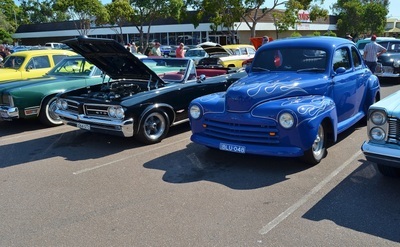 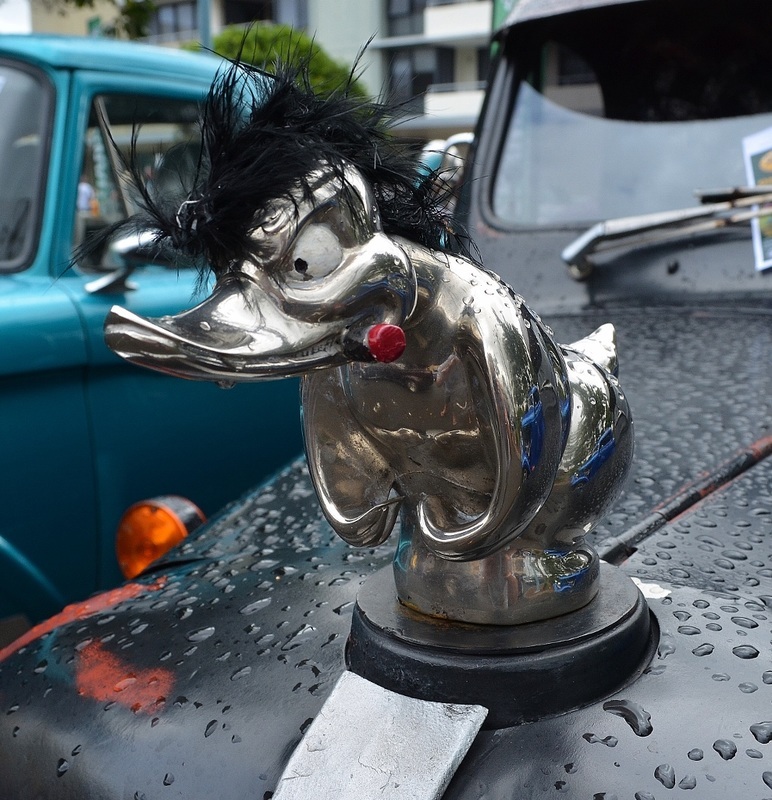 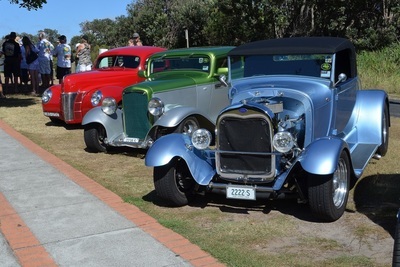 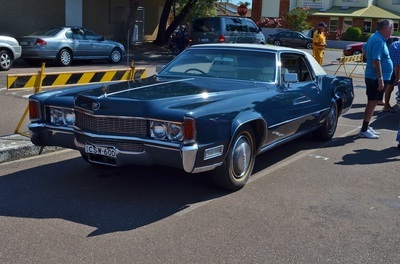 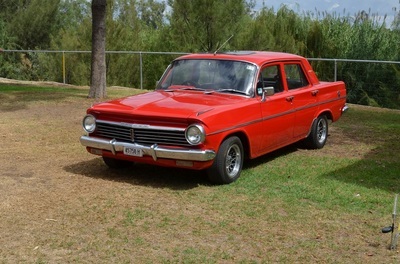 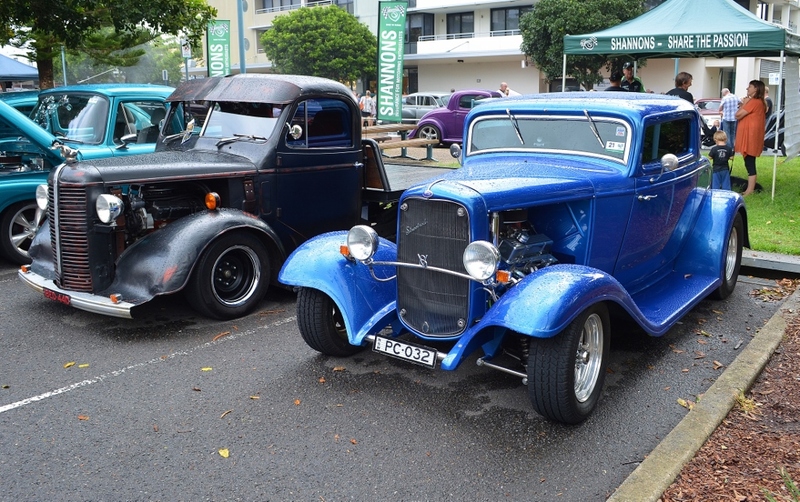 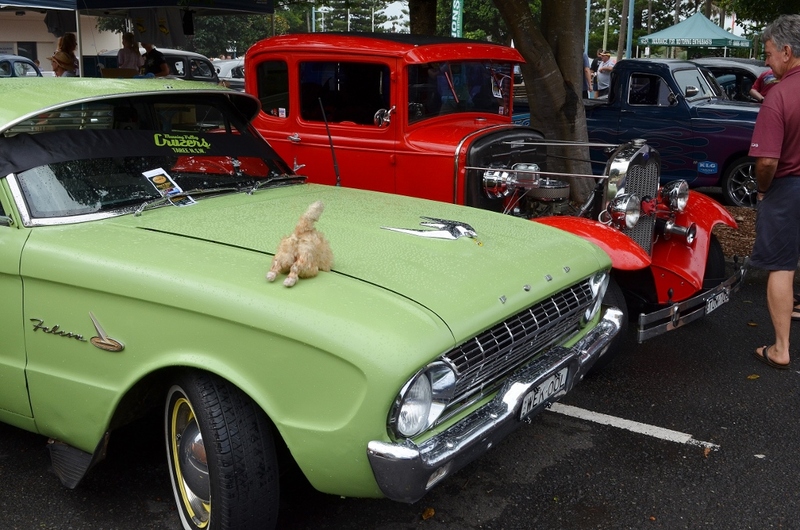 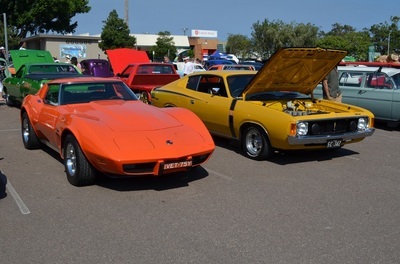 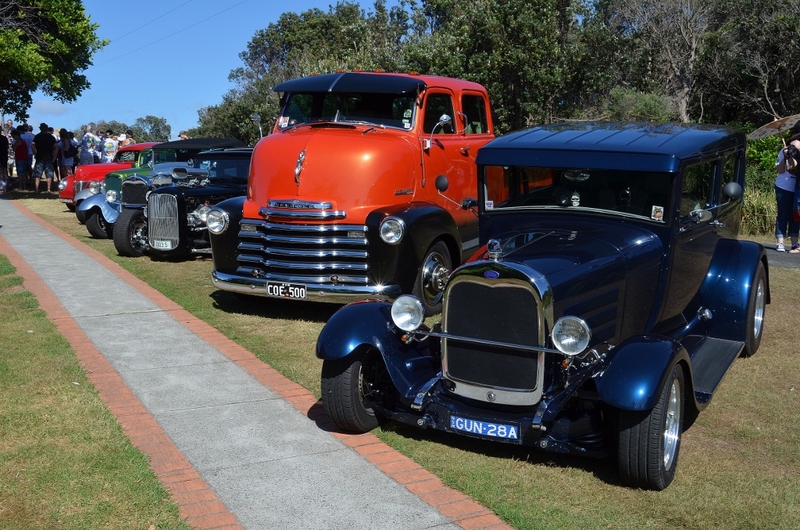 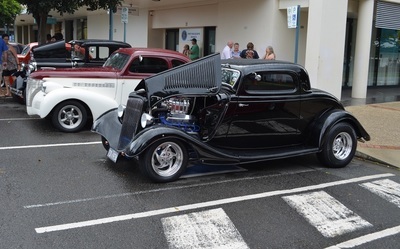 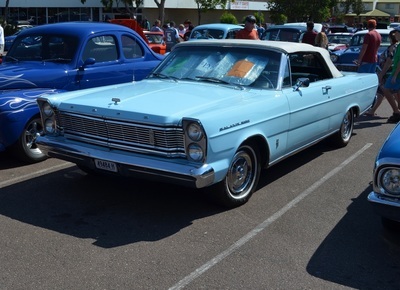 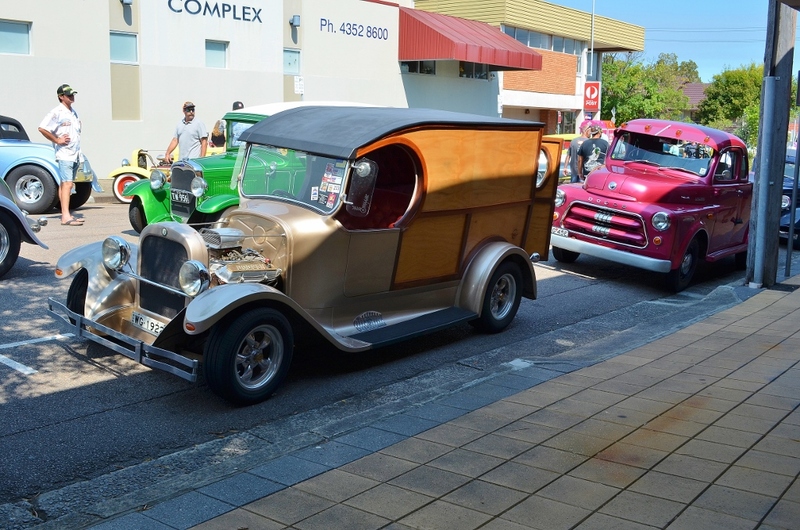 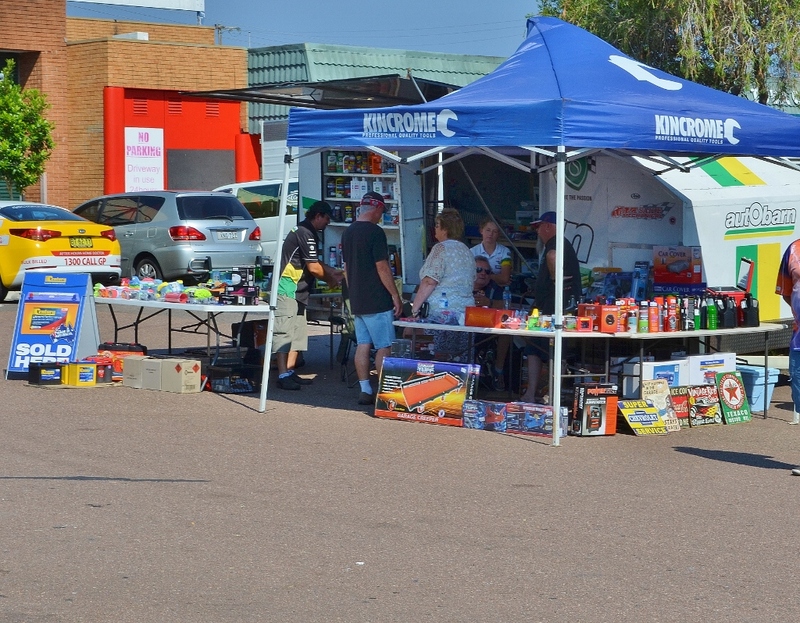 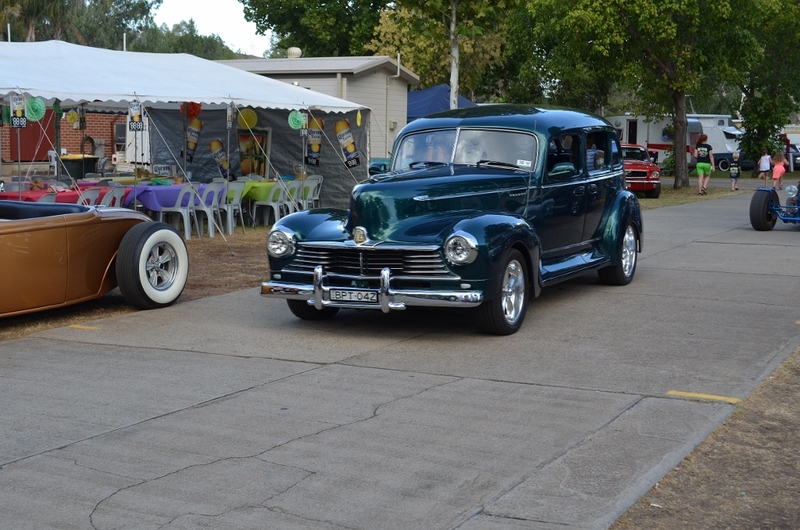 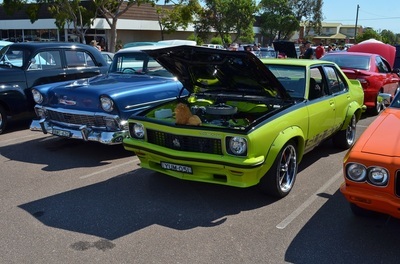 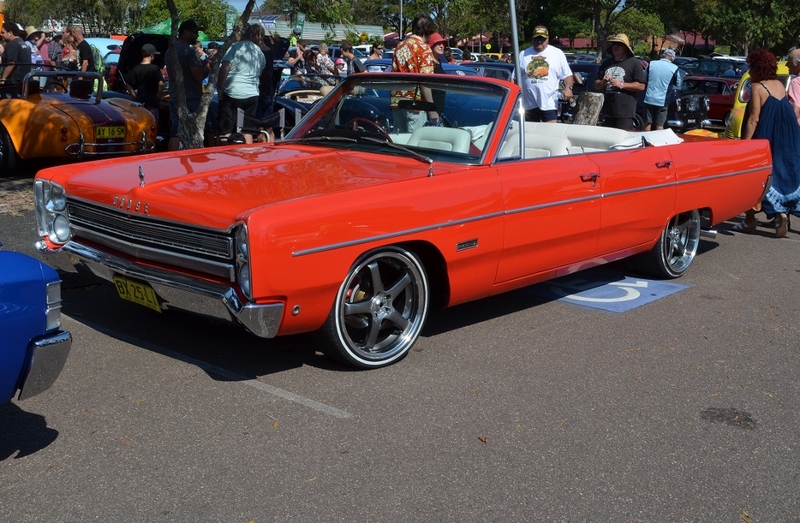 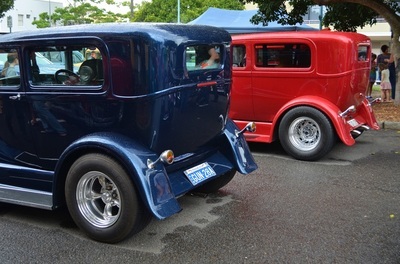 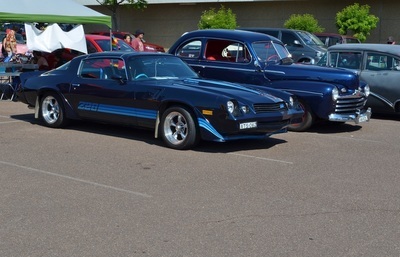 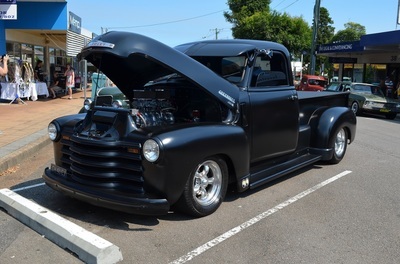 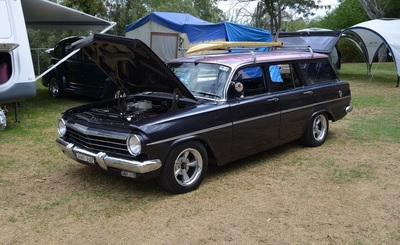 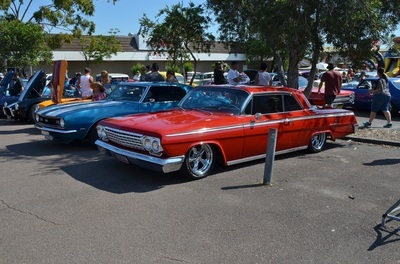 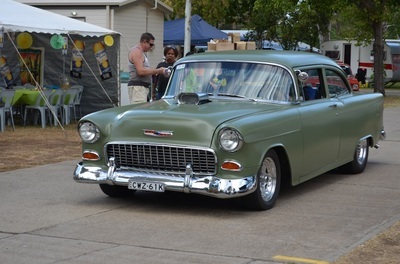 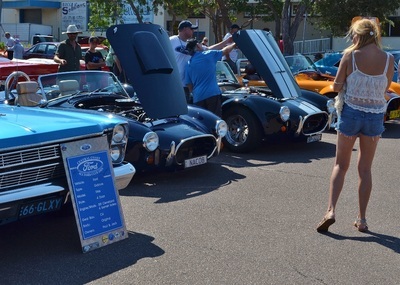 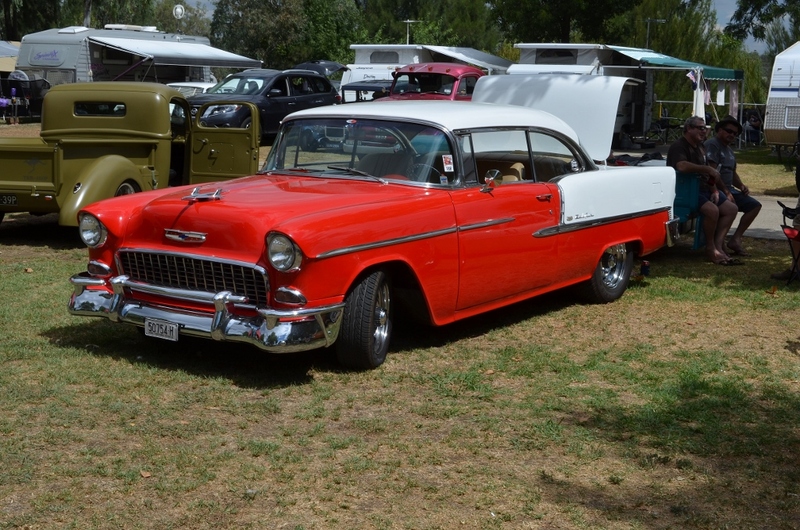 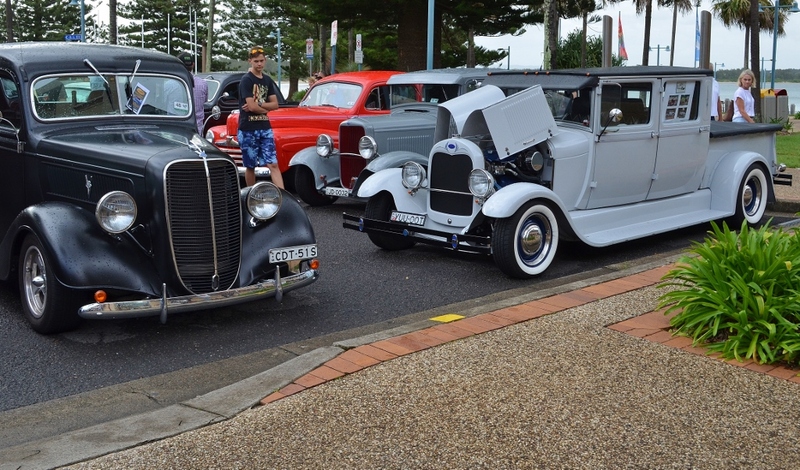 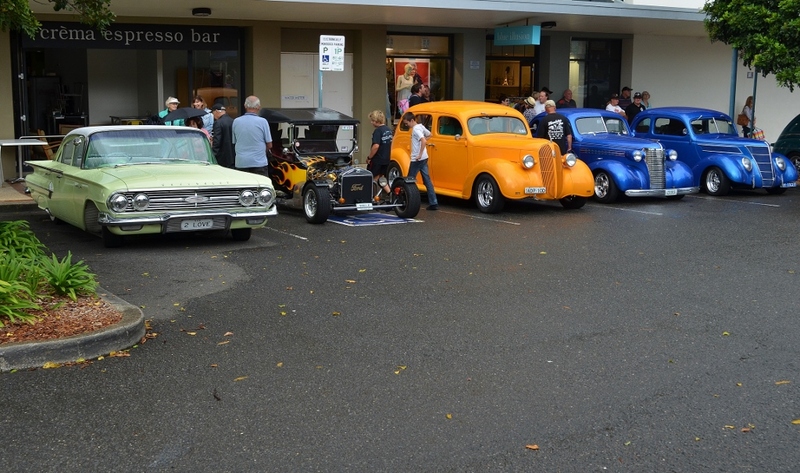 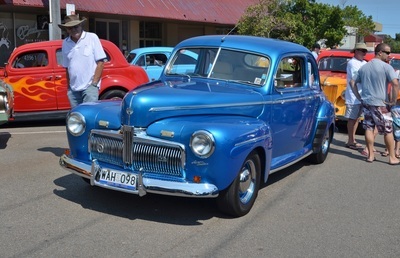 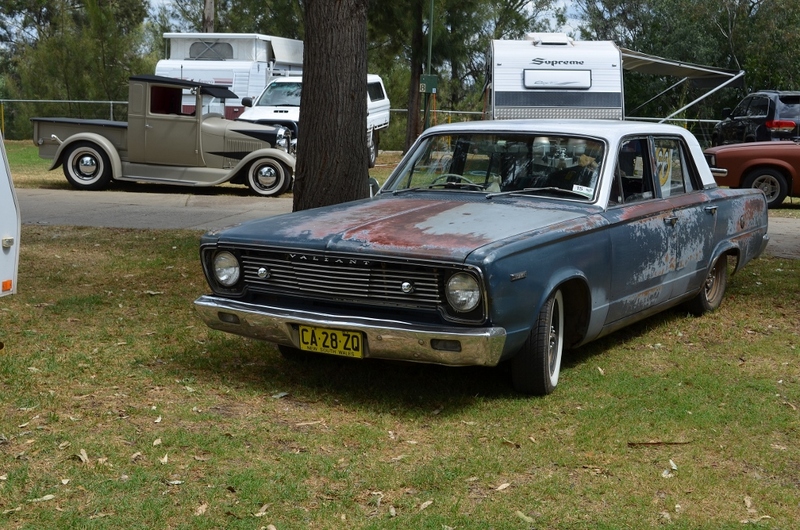 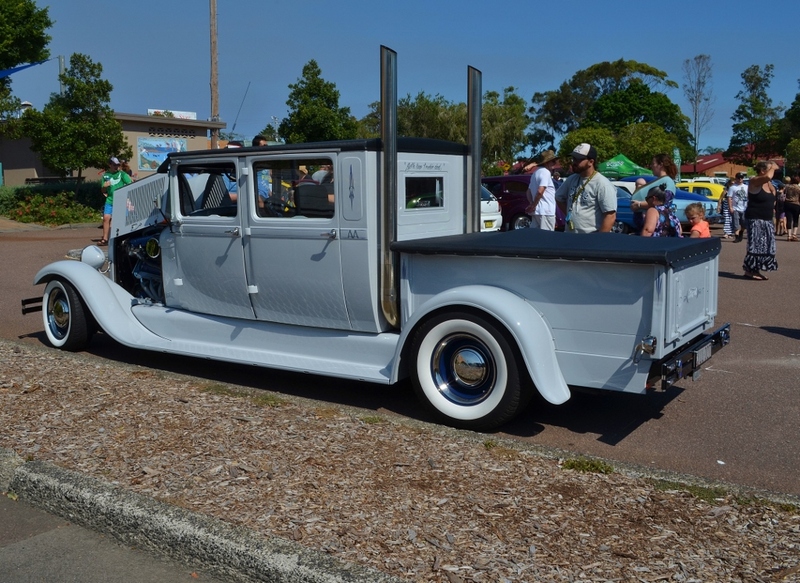 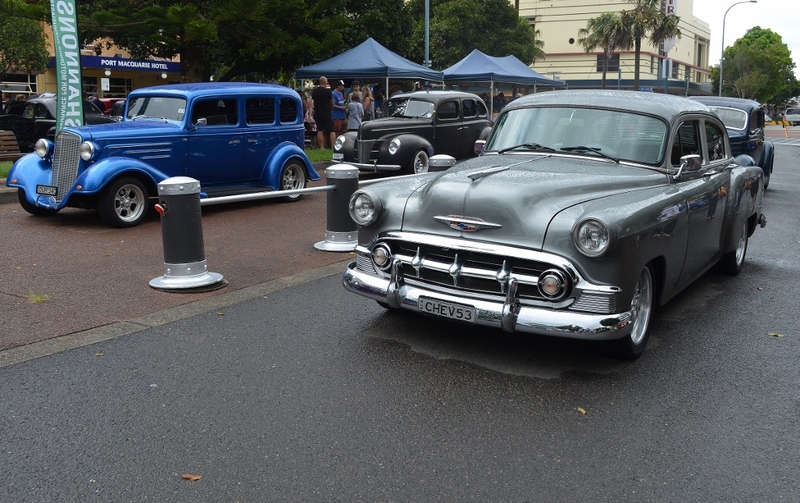 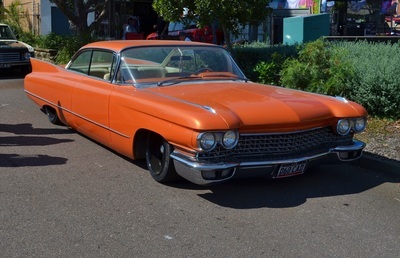 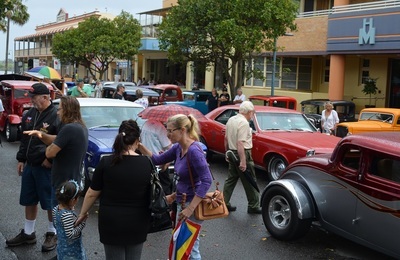 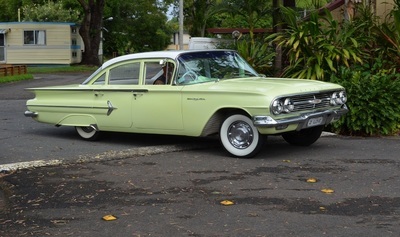 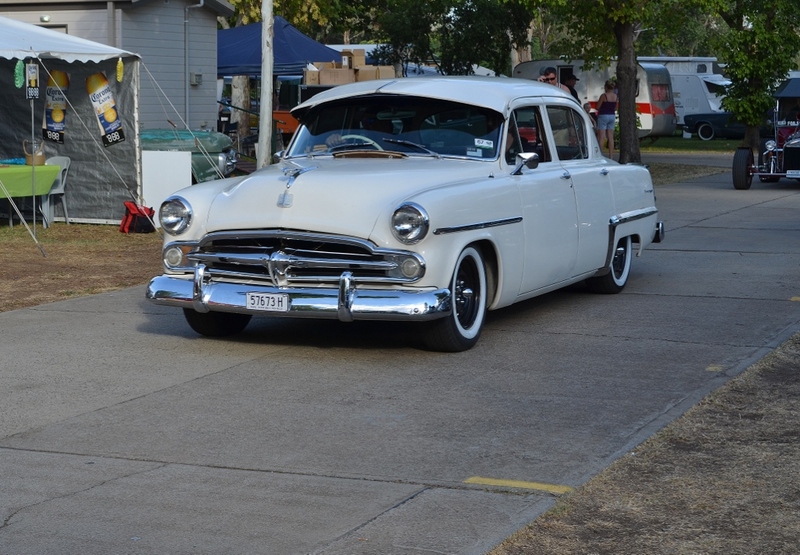 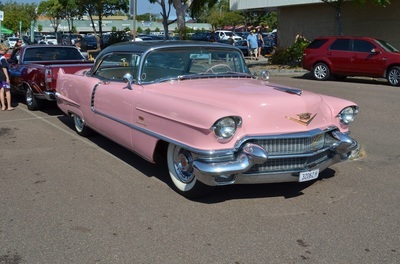 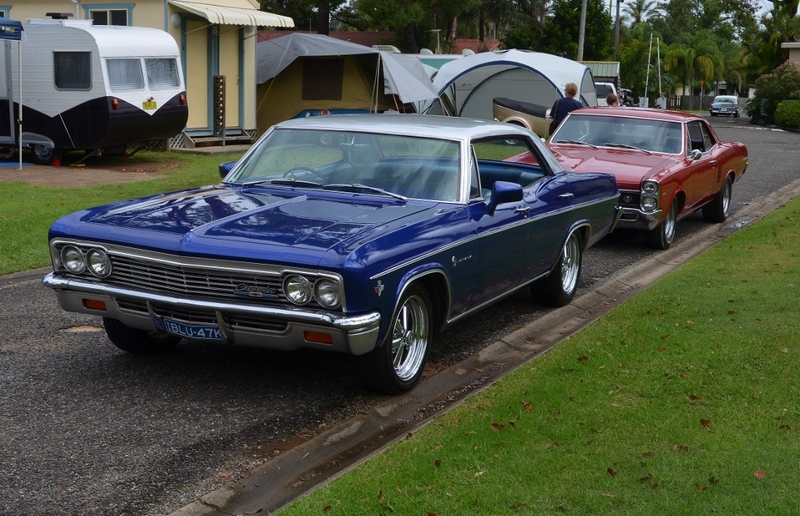 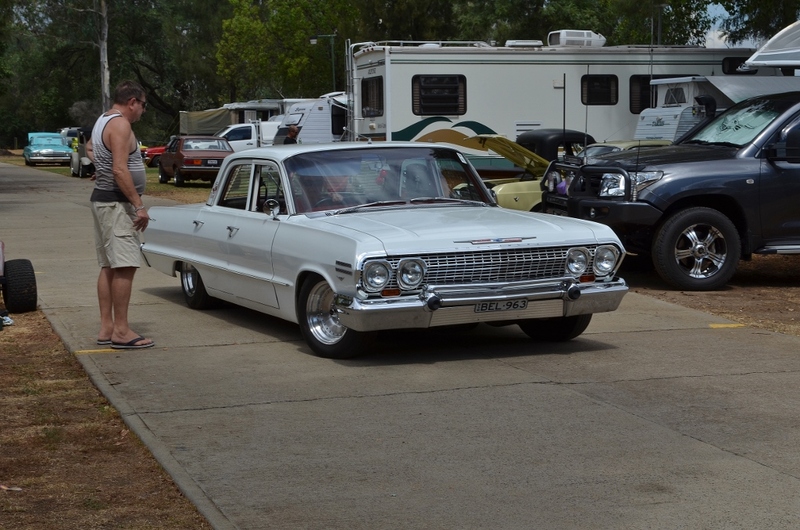 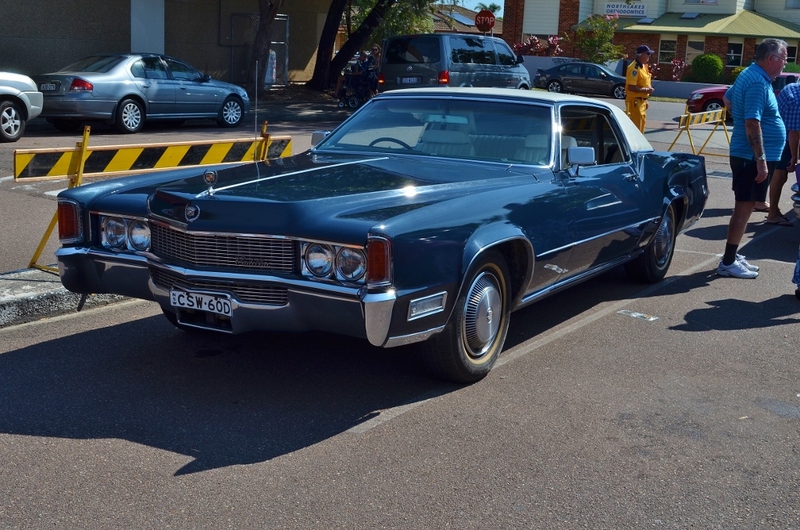 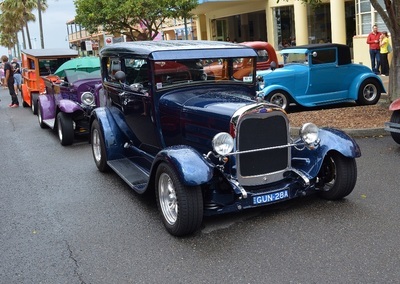 On Saturday afternoon the Show and Shine in Toukley attracted over 200 cars. A band played rock and roll in the park and the dance floor was alive with young adults who had far more energy than should be allowed. 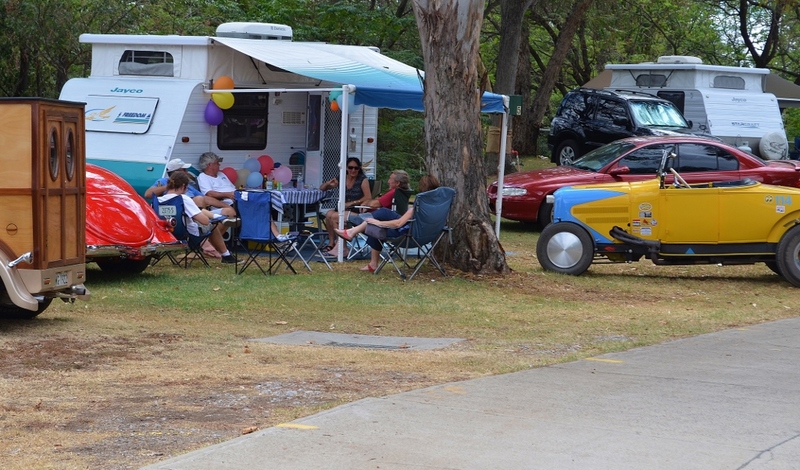 Back at the Caravan Park that night we had games and music and a good time was had by those who attended. 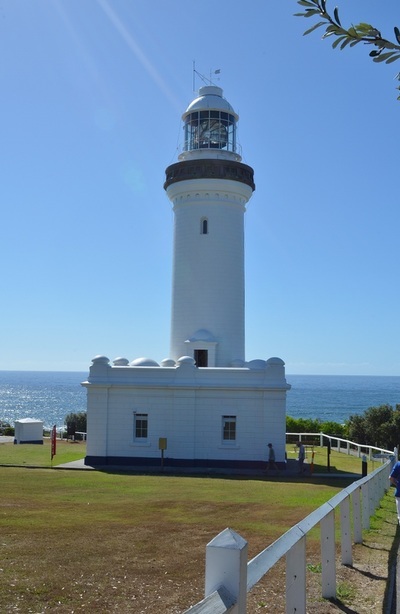 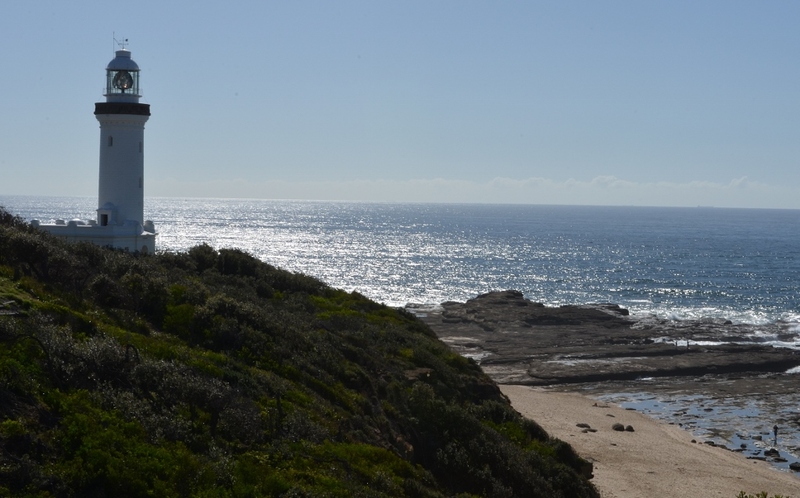 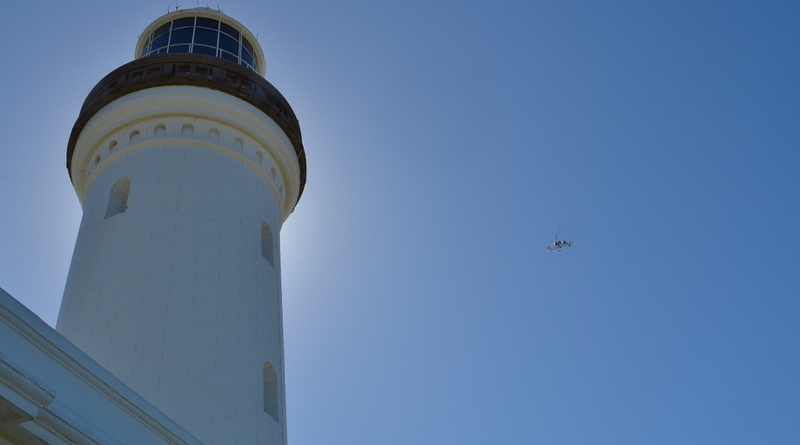 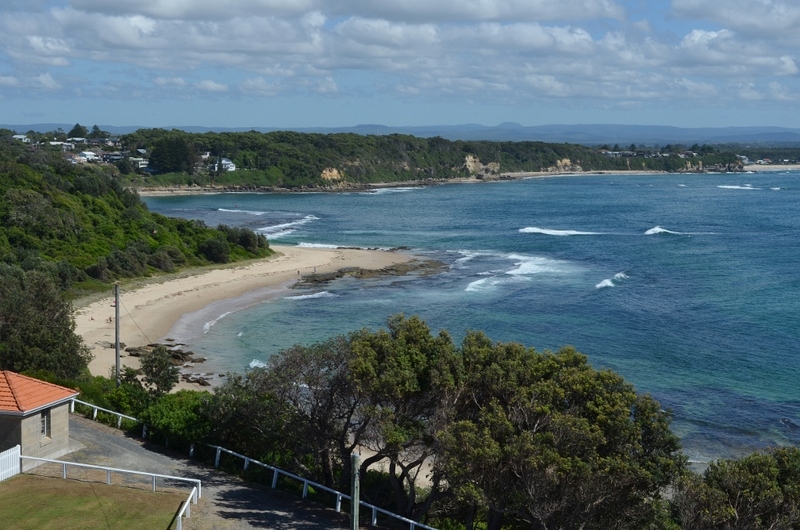 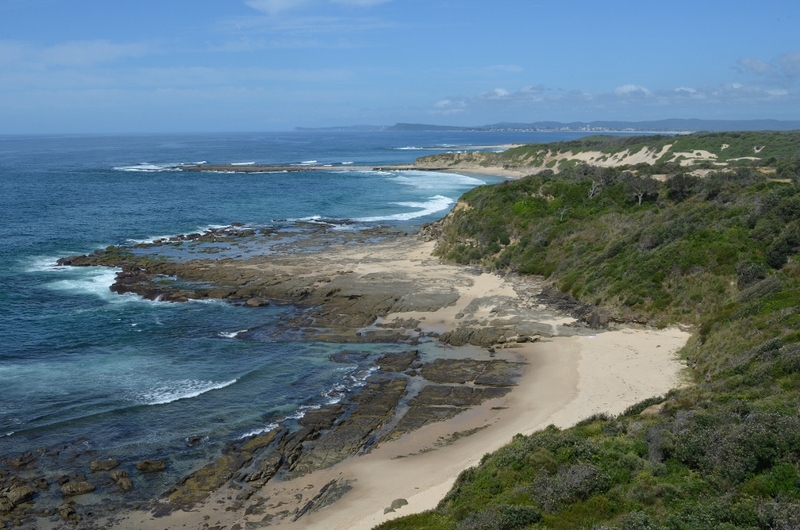 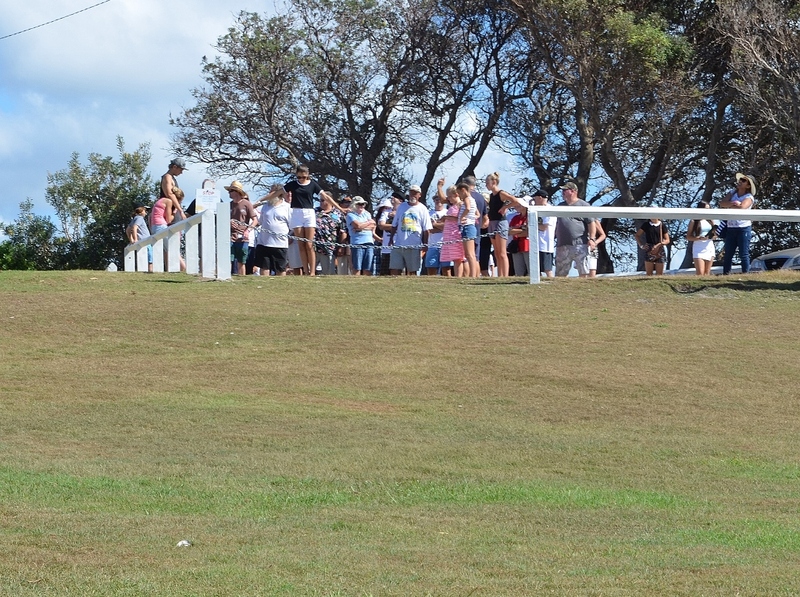 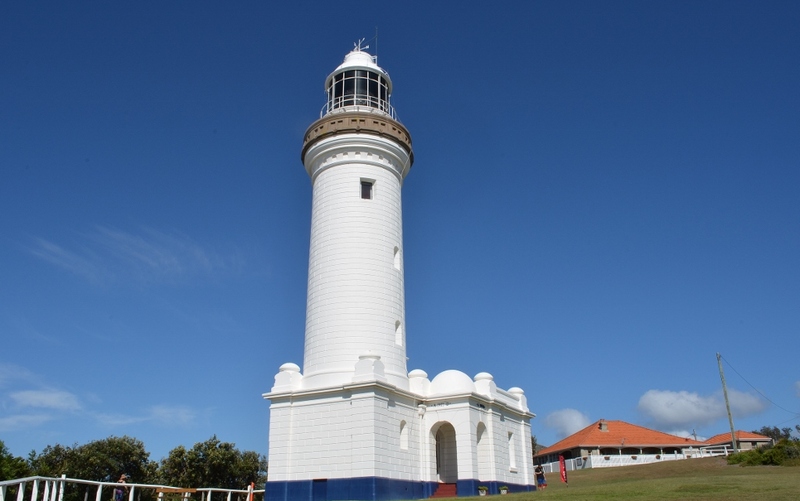 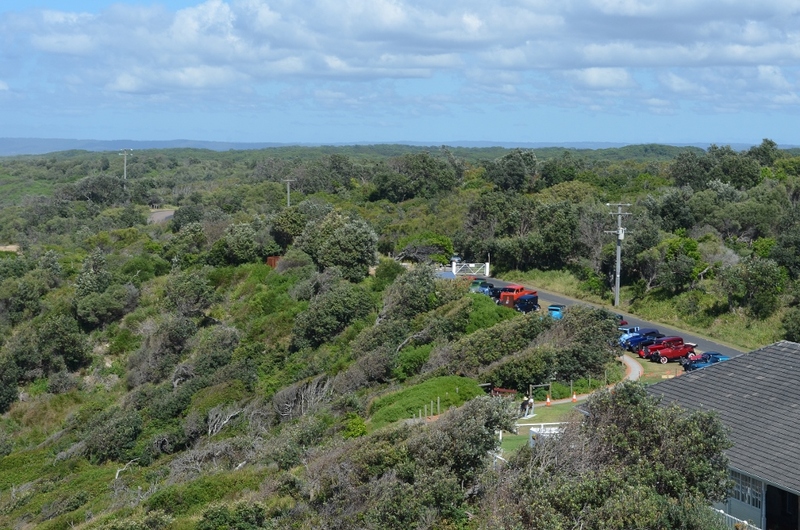 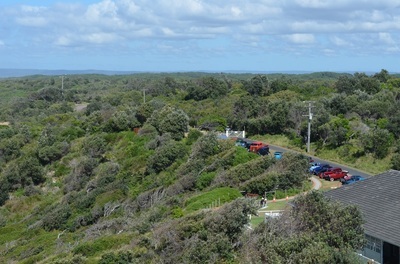 After breakfast on Sunday morning we went to the Norah Head Lighthouse and had a guided tour before heading back to the Caravan Park for lunch and the presentation. Another great weekend, thanks to Easy Street members. 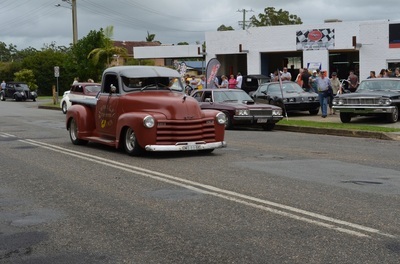 Outlaws Hot Rod Club held their annual Rods on the Peel run in March with 93 entrants, this being one of their largest runs. 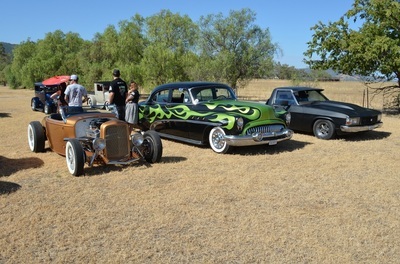 The weather was hot but everyone still managed to have a great time. 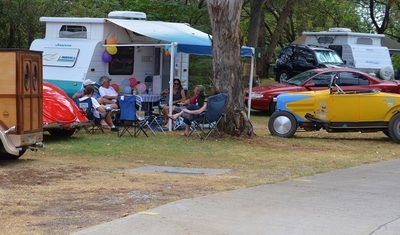 On the Friday night they had Tacos to go with their Mexican theme and a terrific band kept us entertained until 11pm. 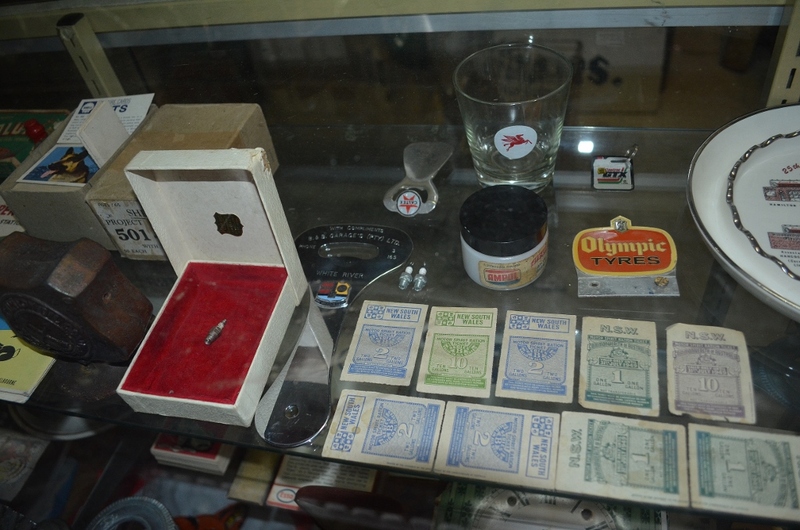 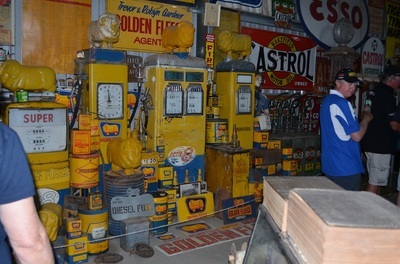 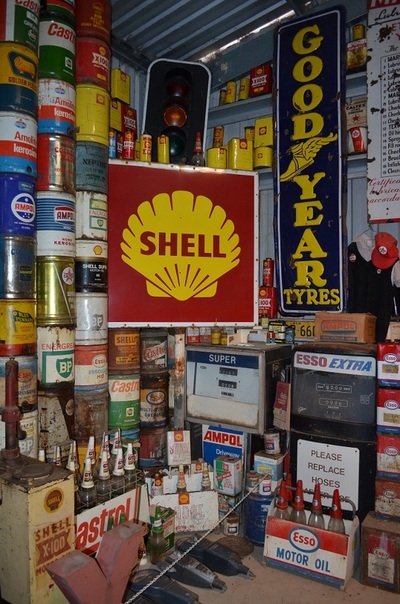 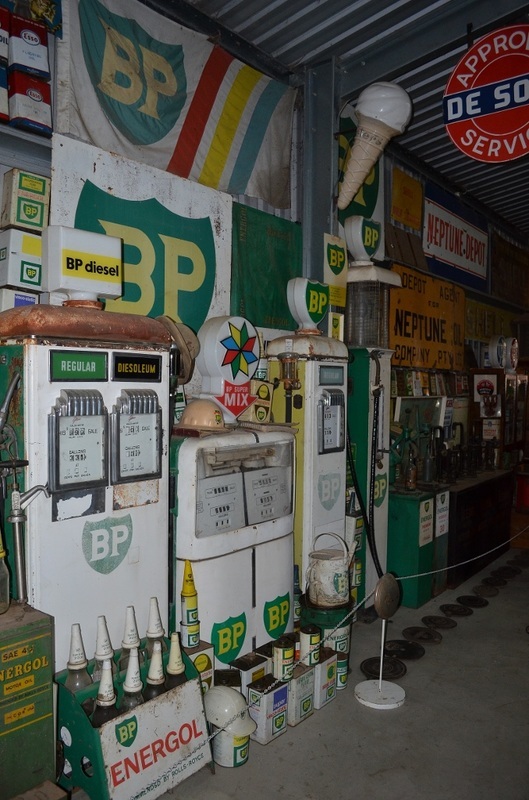 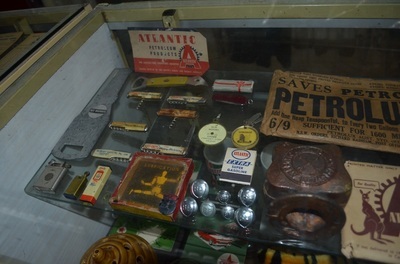 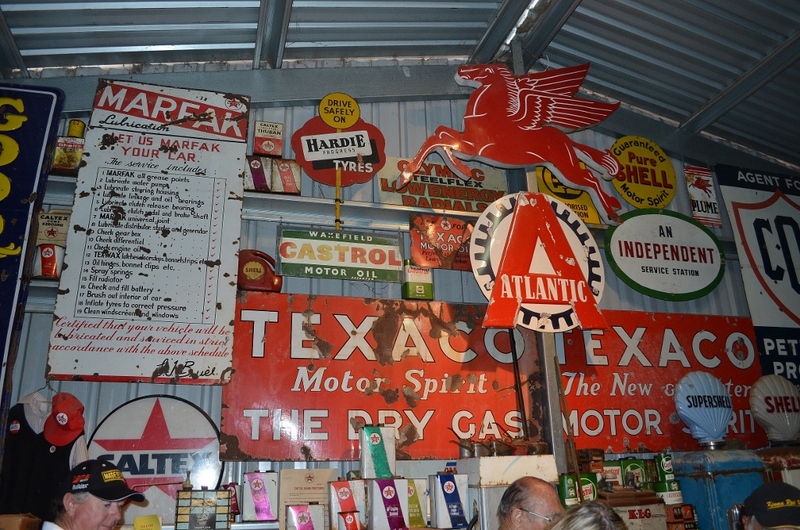 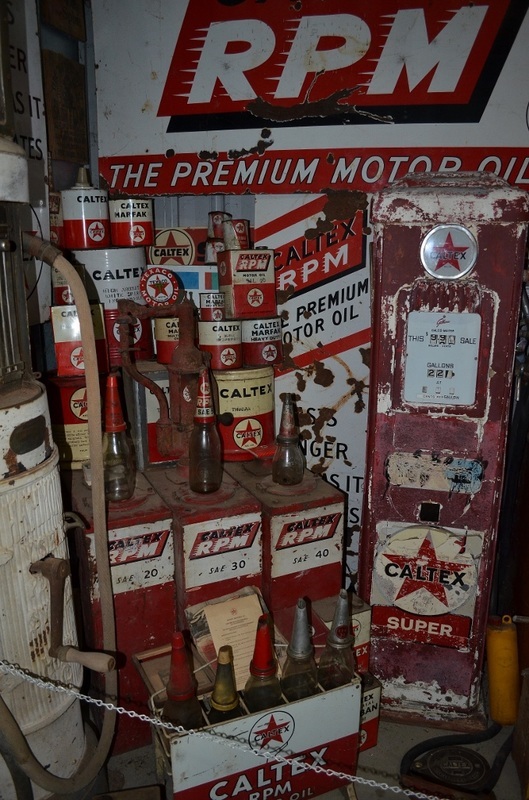 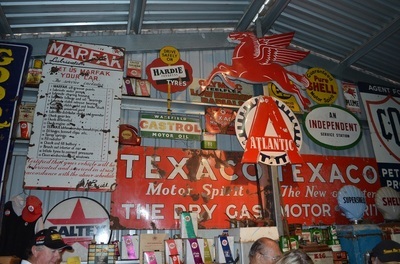 Saturday morning we went to a Gas Museum enjoying a poker run on the way. 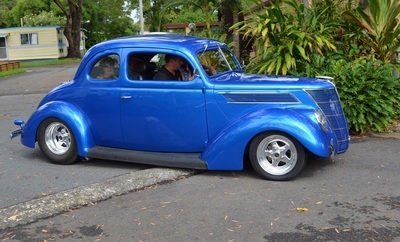 Lunch was at a local pub and we cruised the Park late in the afternoon before being fed a good meal and sitting down to watch a movie. 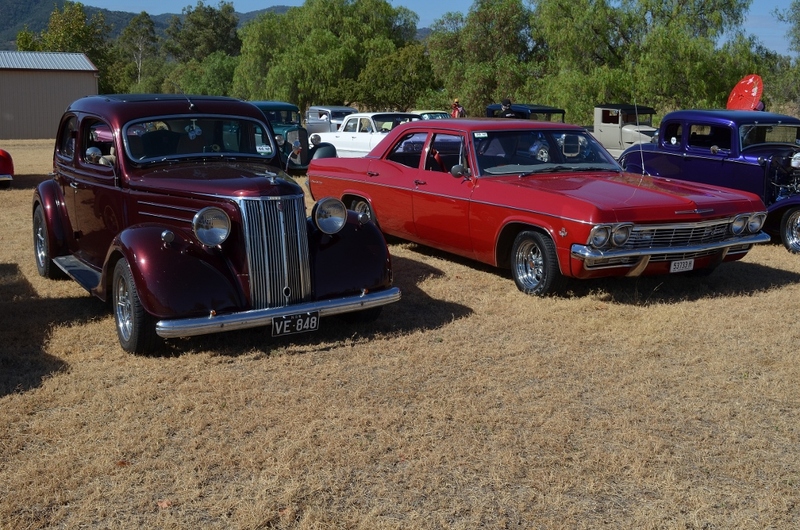 The presentation was after breakfast on the Sunday and by the end of the day the Alexander's were the only rodders left in the Park. 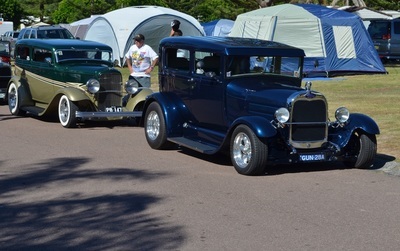 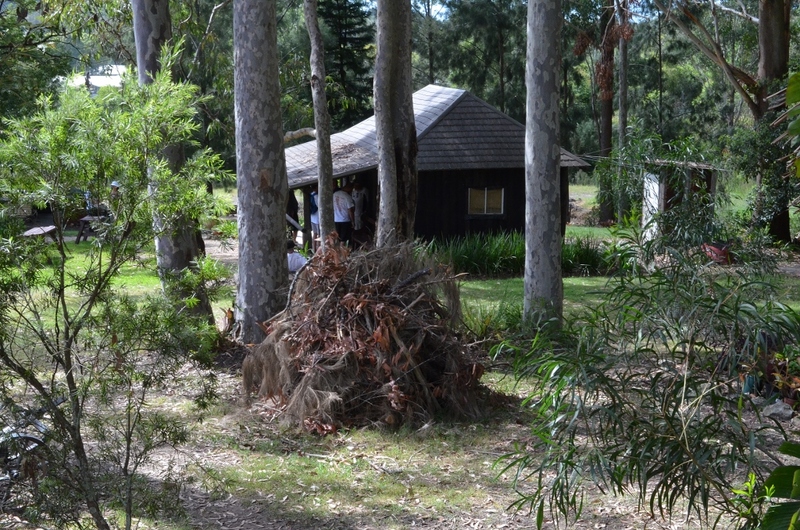 It was again a terrific weekend that went far to fast and saw 7 of our members and families have a great time.